Question: Who do you want to be in the next update? 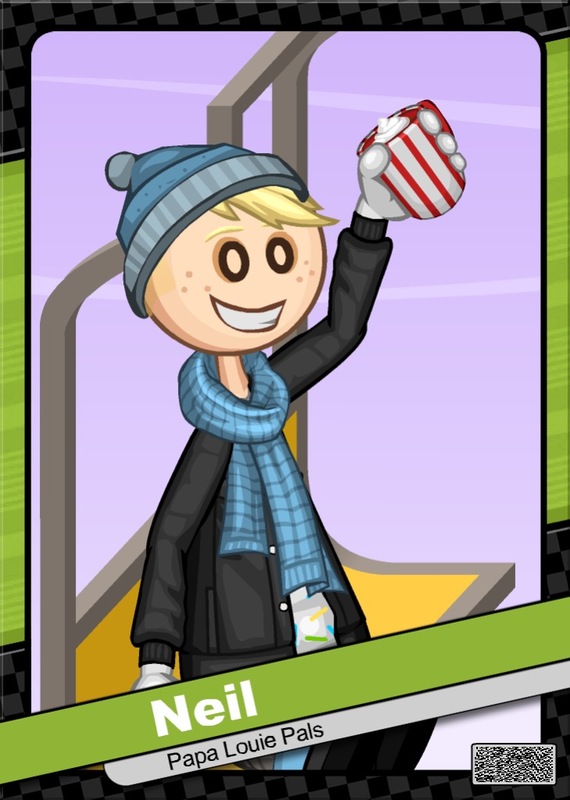 Here's the post for all my FCs, including names, Flipdeck info, favorite holiday, character relationships, and etc. Under construction of course. Green means fully complete, orange means in-progress, and red means not started. S - My favorite characters, and the ones that I consider to be perfect. A - Characters that I like but not too strongly. B - Characters that are good but not great, and those that I consider to be underrated. C - Decent characters that are just okay in my opinion. D - They're not the best, and they could have been executed better. E - Boring and forgettable. F - I don't know what I was thinking with these three. Flipdeck Info: Jay is a charming young high school student from Tastyville. One of his favorite things of all time is music. He enjoys playing piano (usually by himself), and he composes music as well. 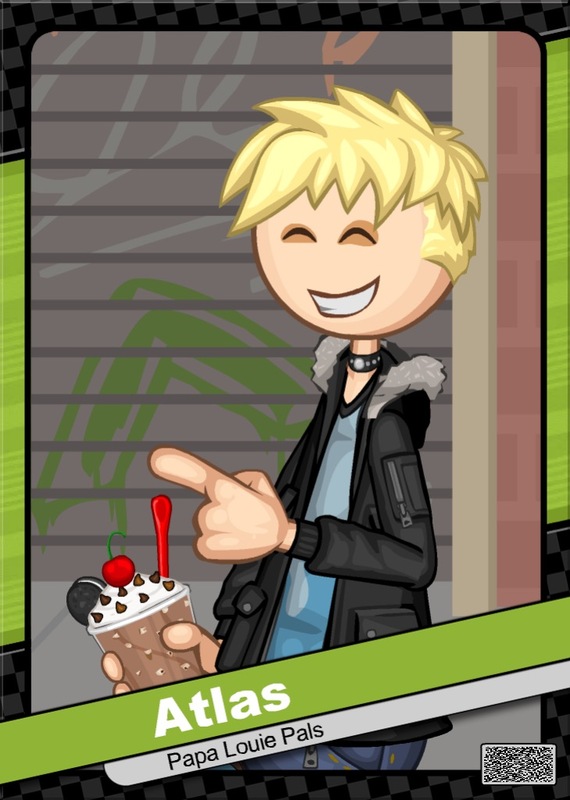 He has quite the sweet tooth, and no matter how hard he tries, can't resist the delicious sweetness of a Creameo. 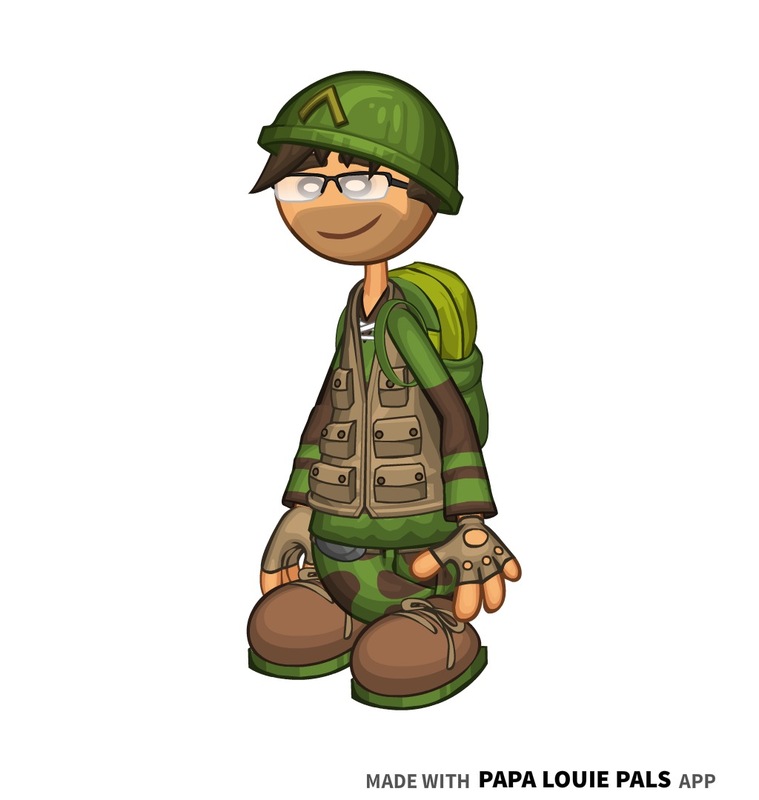 In his free time, he writes stories online, plays tennis, and participates in Tastyville High's marching band. Jay always comes home to grab a bag of chips and watch TV, to forget about his always-stressful day at school. He has a crush on his classmate Vivian. - Jay is actually based off of me, and my likes/dislikes. - His name comes from the letter J, which my name begins with. 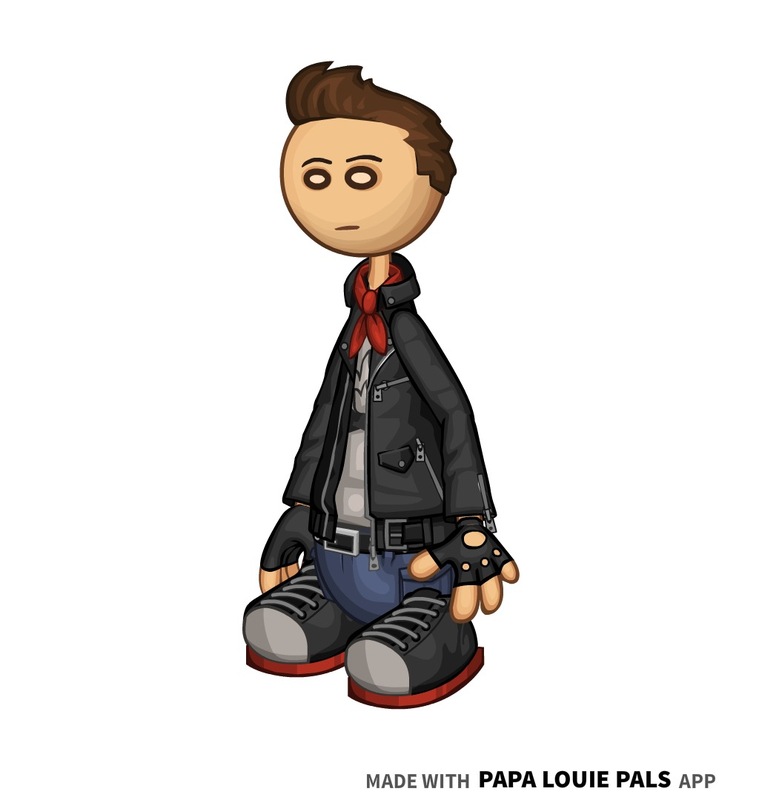 - Jay appeared in my Flipline: Escape the Night comic, as The Biker. 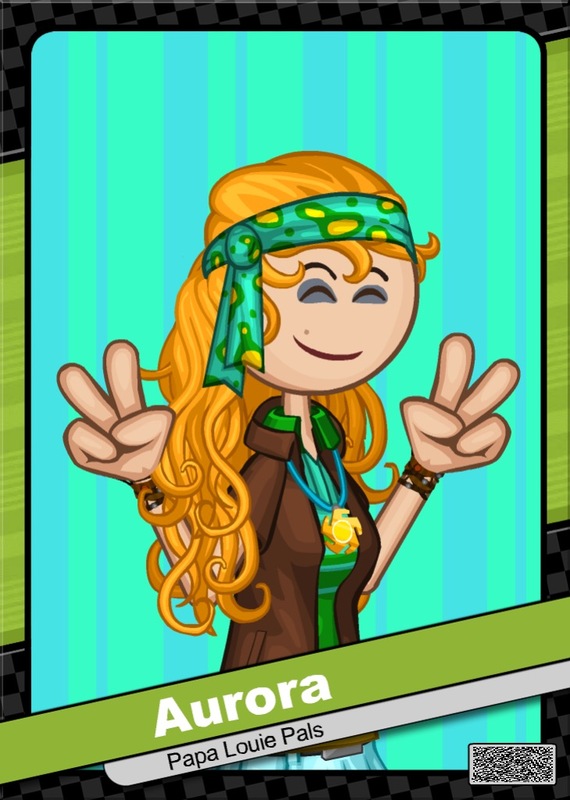 Flipdeck Info: Dakota is a kind, young girl who attends Starlight High. 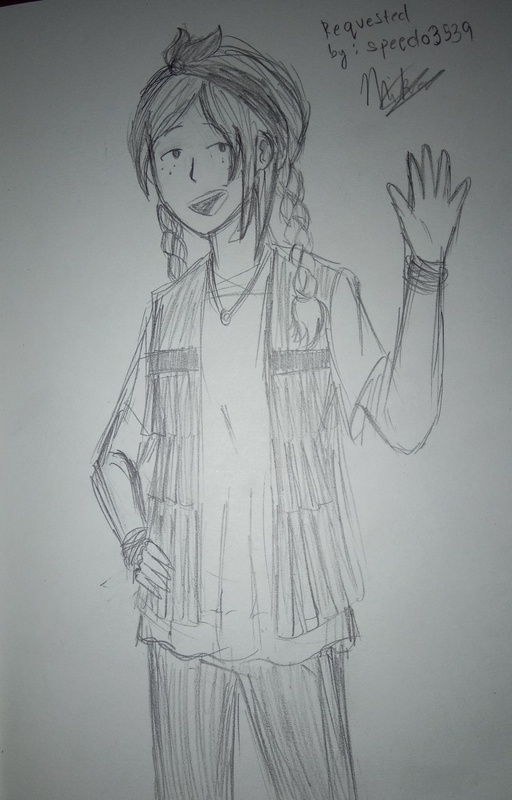 She plays acoustic guitar, and aspires to become a singer in the future. 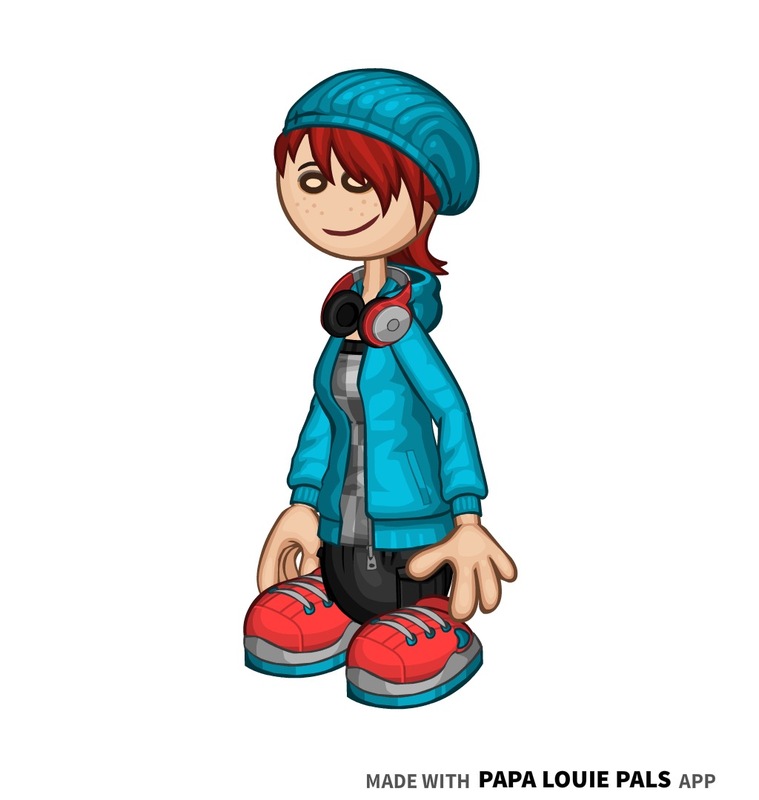 Her favorite music genre is indie rock. She never has a songwriting session without a refreshing cup of Dr. Cherry by her side. 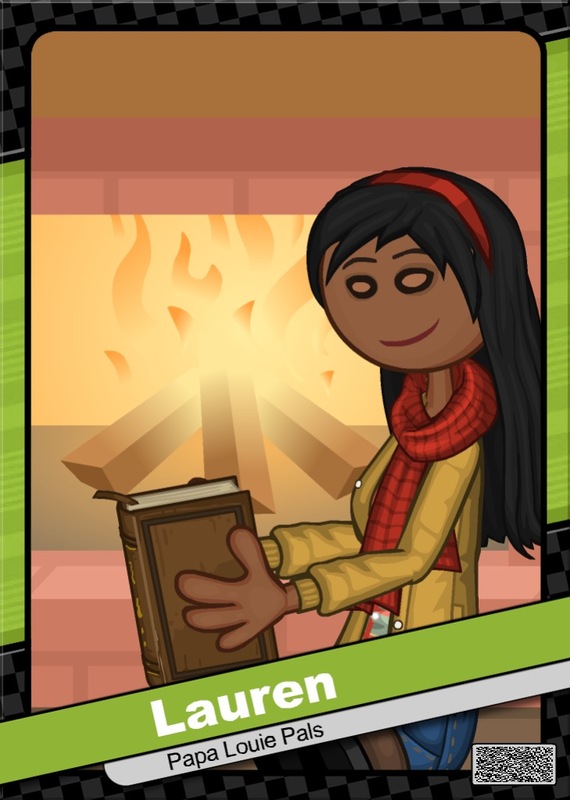 Although she doesn't like to admit it, Dakota loves to read novels in her spare time. - Dakota was entered in KCP2017 and KCP2018. - Dakota's old name was Darcey. Darcey's design had braids and a pink-white color scheme. She was entered in KCP2016. 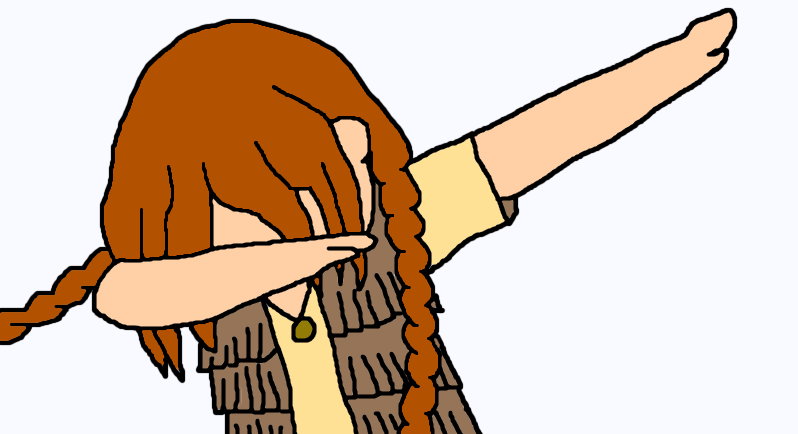 - Dakota's name is a pun on the word "doctor," from Dr. Cherry. 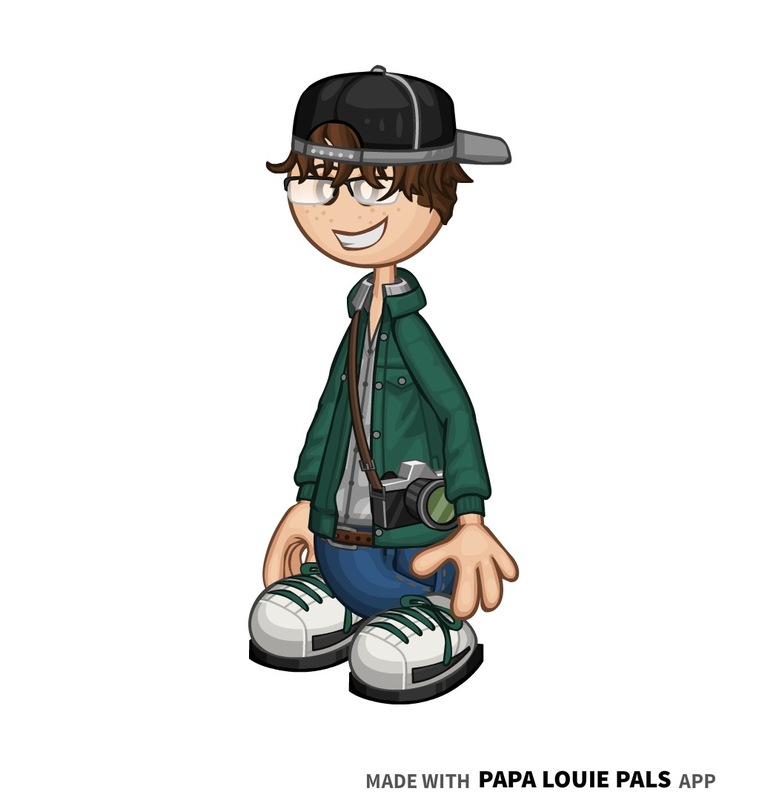 - Dakota was the runner-up of Poison's Customerpalooza: Season 2. 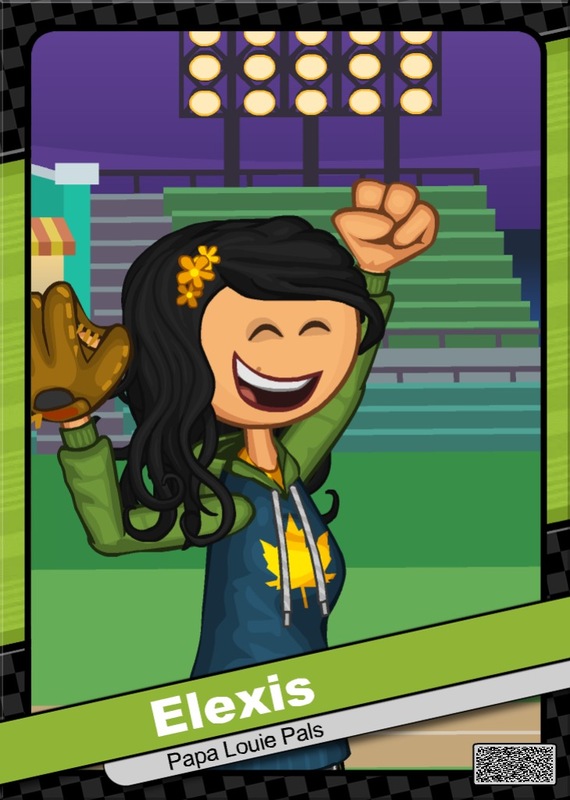 - Dakota appeared in my Flipline: Escape the Night comic, as The Cheerleader. 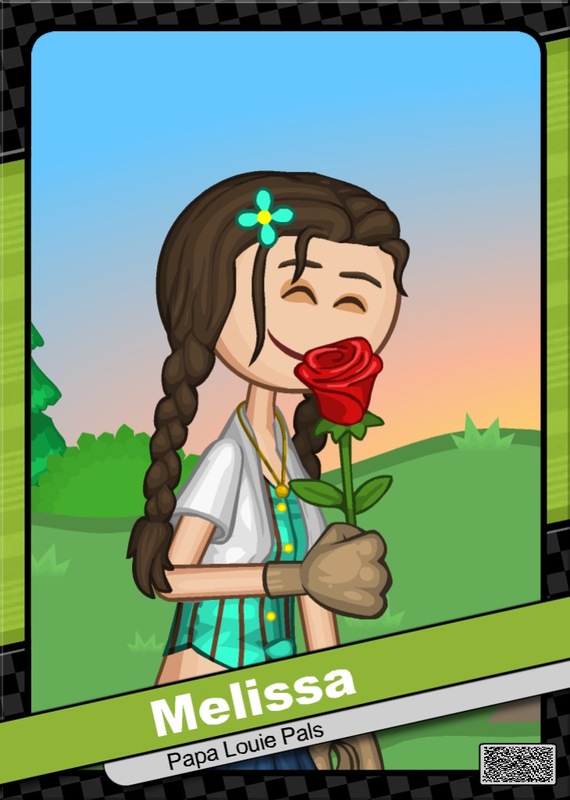 Flipdeck Info: Melissa is an intelligent girl from Scotland, who lived in a small town with her parents and three younger brothers. Her mother taught her how to take care of their garden, and her father taught her how to cook, clean, and take care of her rowdy siblings. She's wanted to visit America for all of her life, and when she finally got the opportunity to become a foreign exchange student, she accepted the offer almost immediately. 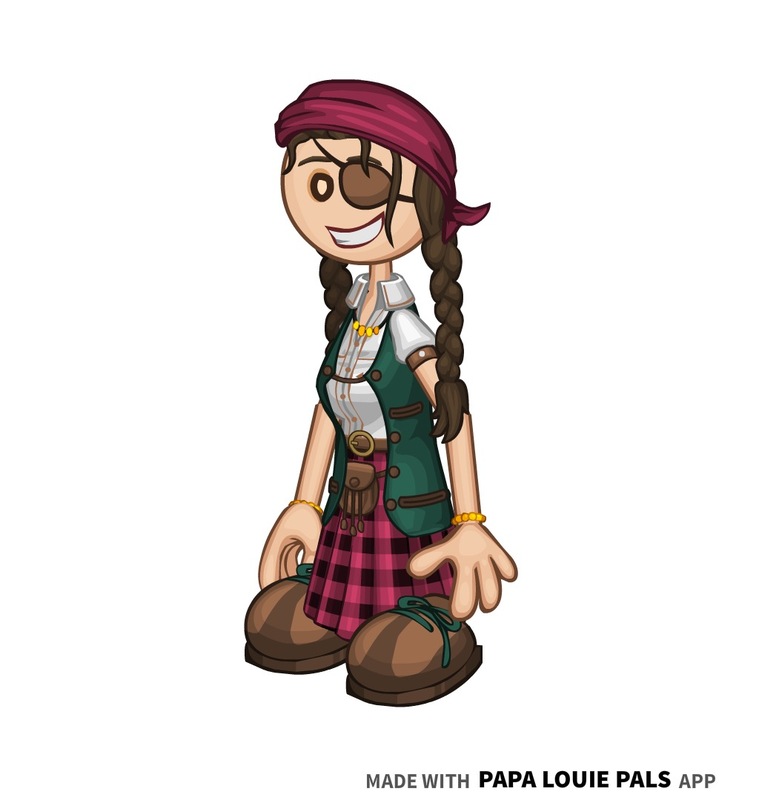 Many people who lived in Tastyville were charmed by her Scottish accent and her caring nature, and she made friends rather quickly. Although she's finally in a town that seems perfect, she misses her parents and brothers dearly, and always keeps them close to her heart. - Melissa was entered in KCP2016 and KCP2017. 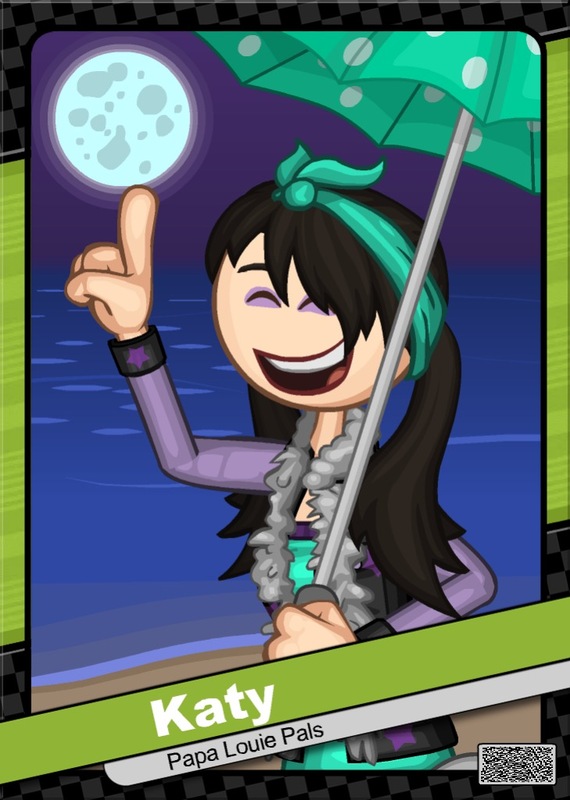 Flipdeck Info: Aurora is an eccentric woman who seems to be obsessed with a peaceful lifestyle. She has been a yoga instructor for almost ten years now. She used to work at the Fit Frenzy Gym, until she was able to rent out an old building in Toastwood. After two years of revamping, Aurora had finally created her dream yoga studio that she calls home; Harmony Yoga Studio. Although she seems calm and serene on the exterior, she can be very stressed when it comes to running her yoga studio all by herself. 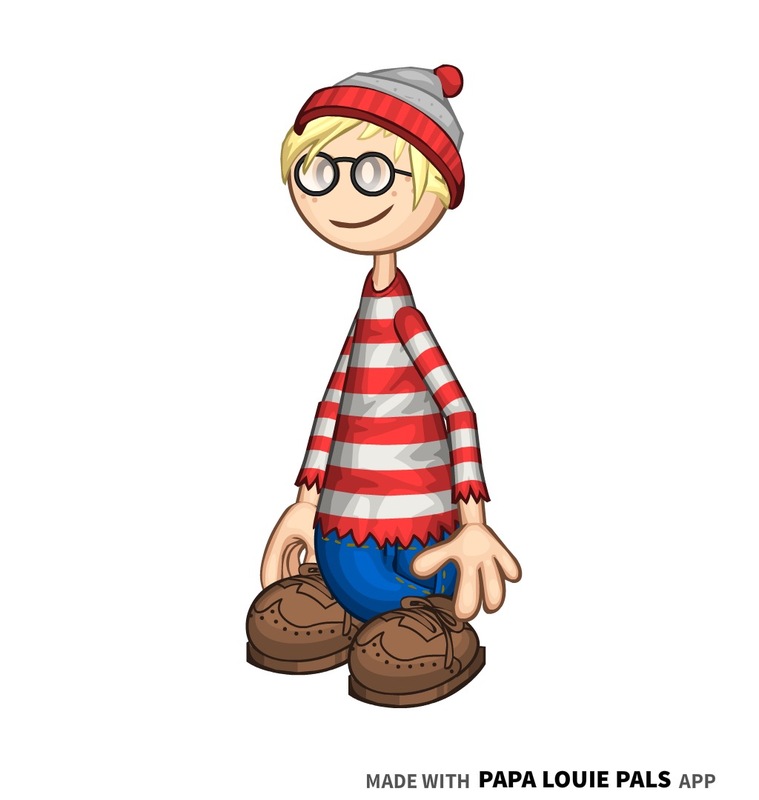 In college, Aurora minored in geography, since she's always wanted to visit Munchmore. 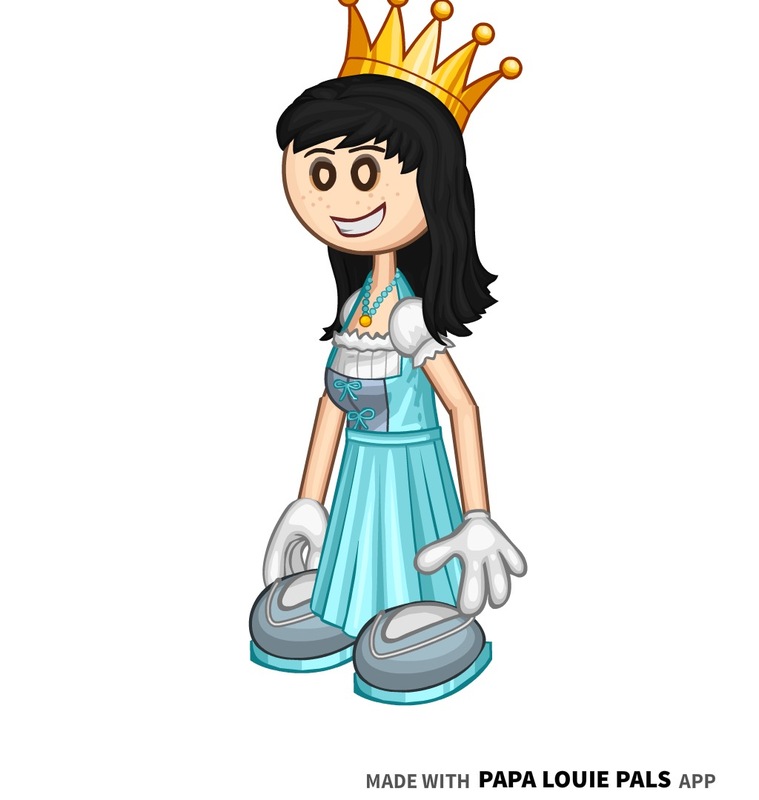 - Aurora's name used to be Aura. 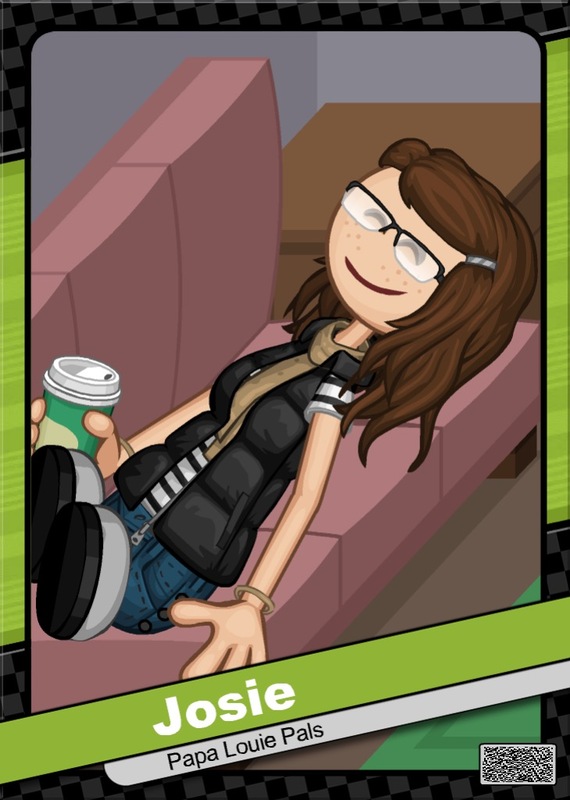 Flipdeck Info: Callisto has never been the most social person growing up. She rarely had any friends, and spent most of her time writing stories. 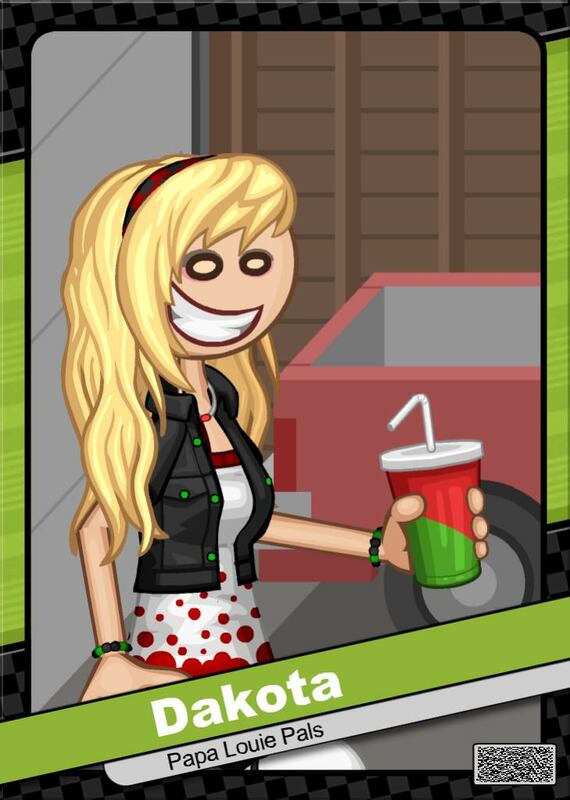 When she entered her teen years, Callisto was put in classrooms full of rude, immature classmates who treated her awfully every day just because of her reputation as "that ugly emo." Her anxiety grew and grew, until she decided to express her emotions through poetry; specifically, freeverse. After surviving high school, Callisto went to Truffleton U for college to study literature, which is where she met Blaise. The two were social outcasts, but luckily, they were able to be social outcasts together. They eventually became a couple. Callisto enjoys watching nature, listening to Blaise's poems at local poetry slams, and hiking up the eerie woods of Maple Mountain at night. - Callisto is featured in my Valentine's Day 2019 art. 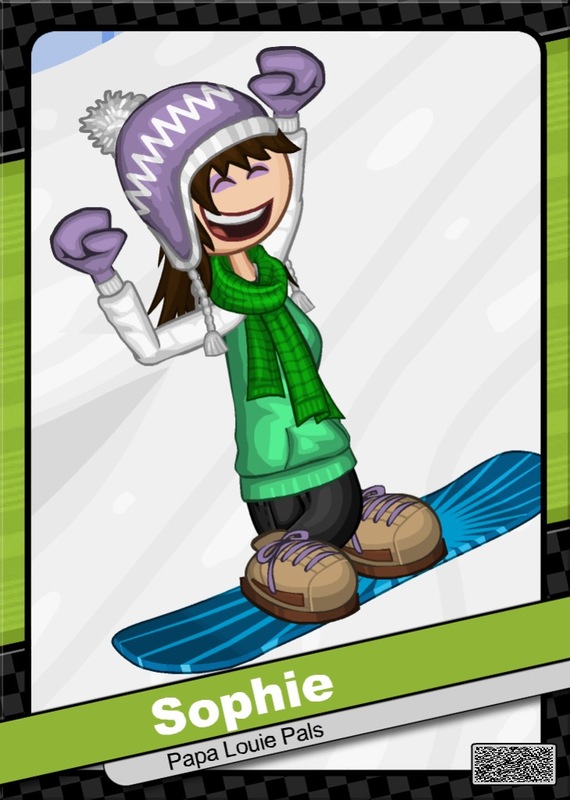 Flipdeck Info: Sophie is a normal middle school student, with an abnormal love for snow, skating, and all things winter. She's at her best emotion-wise when she's at home, but she's usually very quiet and anxious when she goes to middle school. As optimistic as she can be, she isn't very social. 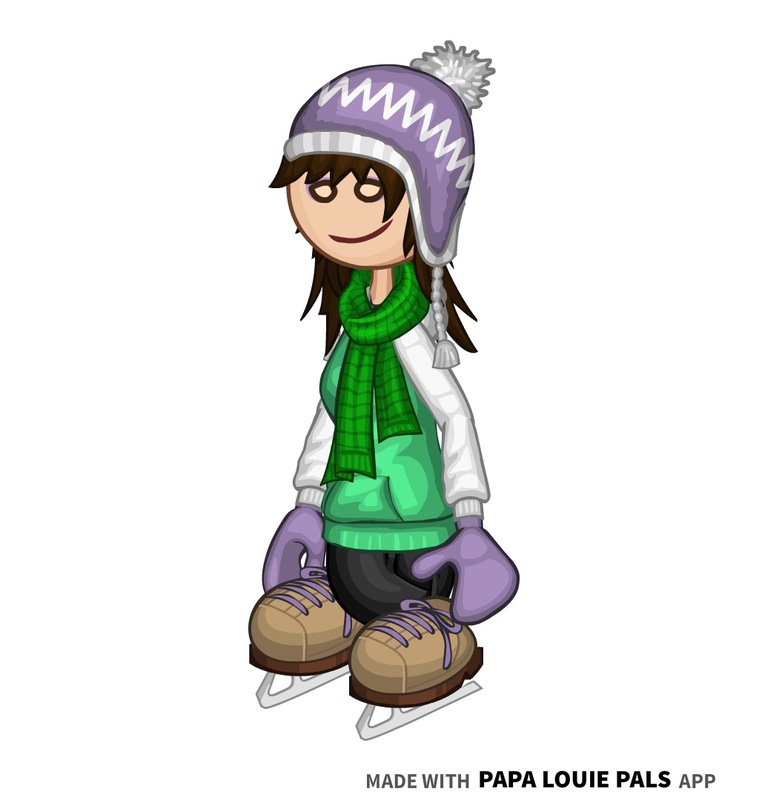 Sophie enjoys doing all sorts of snow-related activities, like ice skating, ice hockey, and snowboarding, which she enjoys the most. However, she is still trying to get the hang of skiing, which her older brother Neil is teaching her. After she gets all of her homework done, she always gets together with Neil and her parents for a Parcheesi competition. 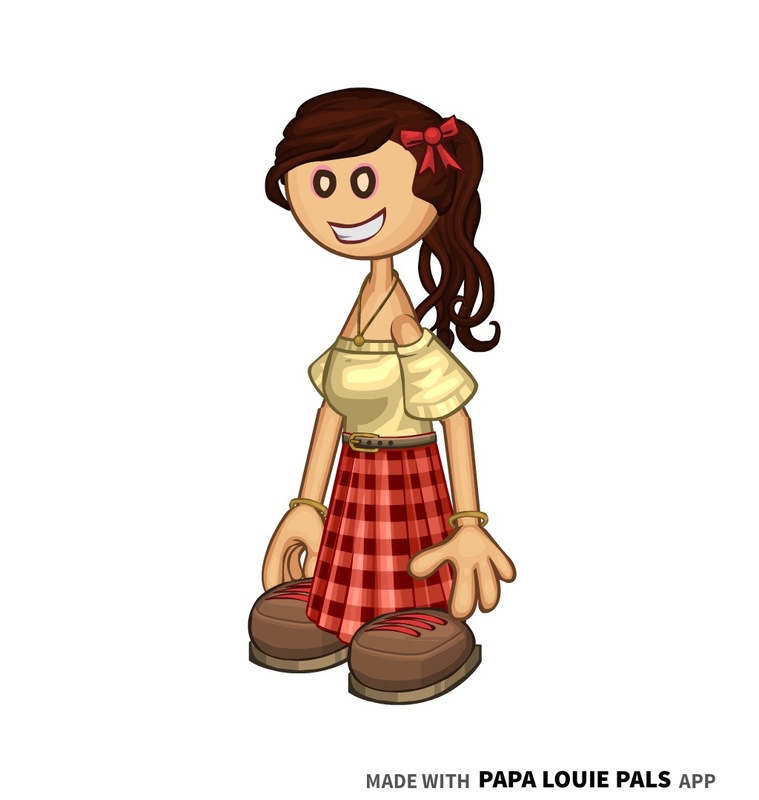 - Sophie was created as a joke FC, to see what the Cupcakeria pack had to offer. - Sophie's old name was Violet. Flipdeck Info: Lela is a free-spirited island girl with a love for nature. 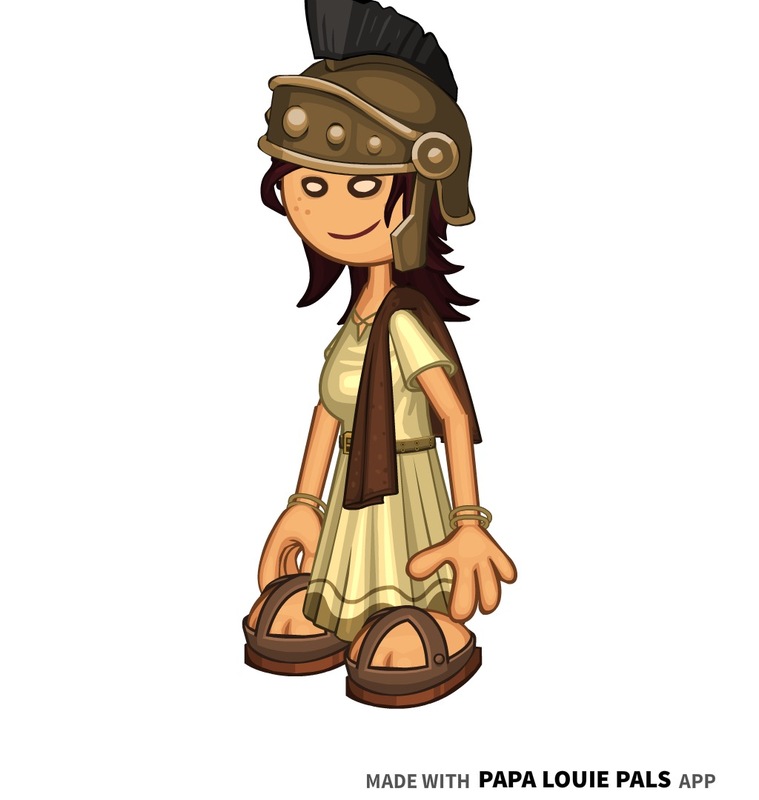 She almost never has any enemies, and tries to become good friends with everyone around her. 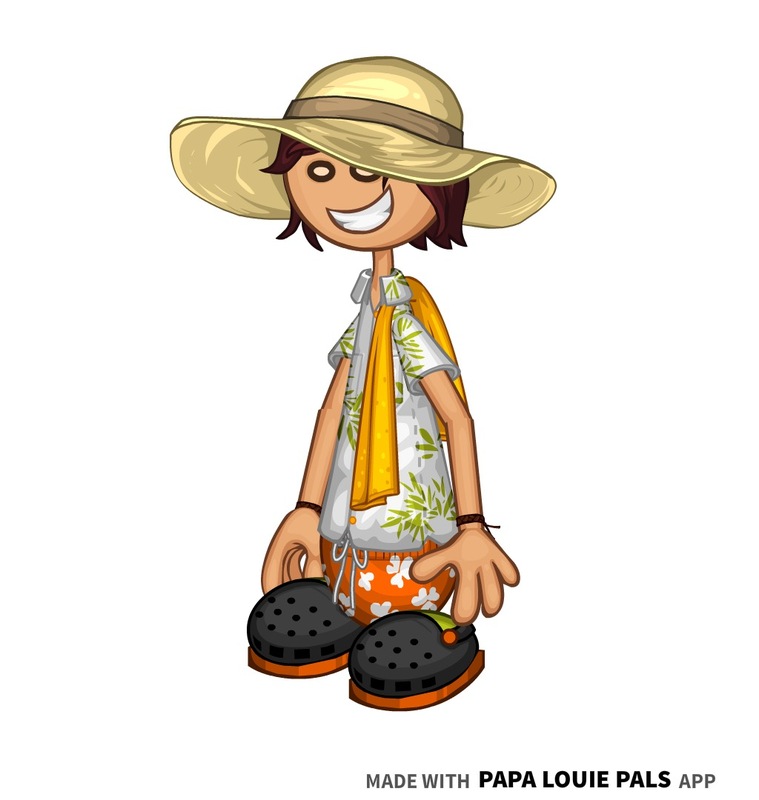 Although there aren't many people on Calypso Island, her best friends Adrian and Utah are always there to goof off with Lela on the beach with a game of volleyball. She isn't the brightest teen out there, since she takes classes online and hates technology at the same time. 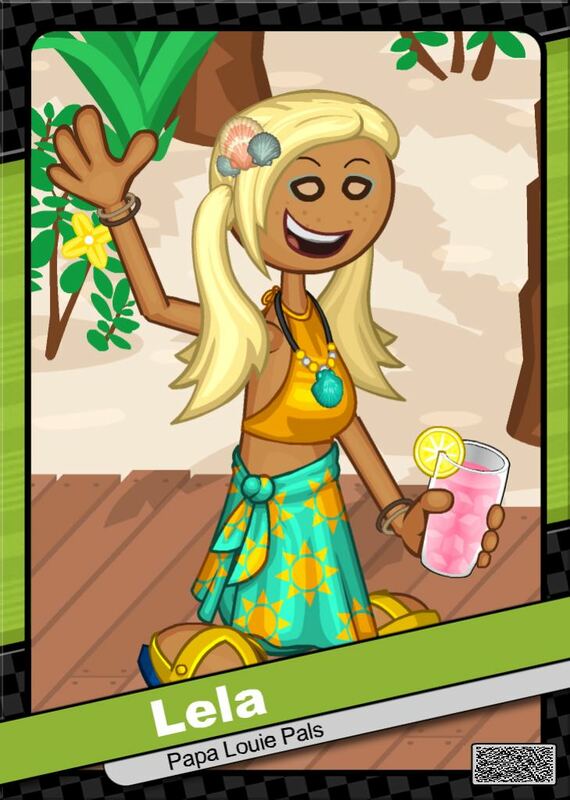 Lela makes sure to pick up the trash around Calypso Island daily to preserve its beautiful golden shores. 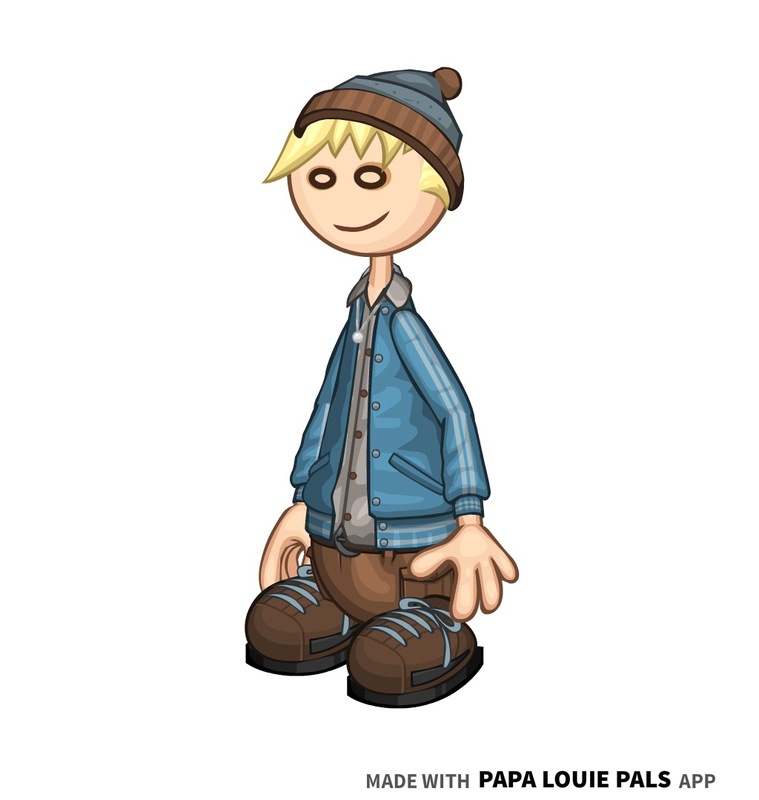 - Lela was created as a joke FC, to see what Papa Louie Pals's Freezeria Pack had to offer. - Her original name was Calypso. 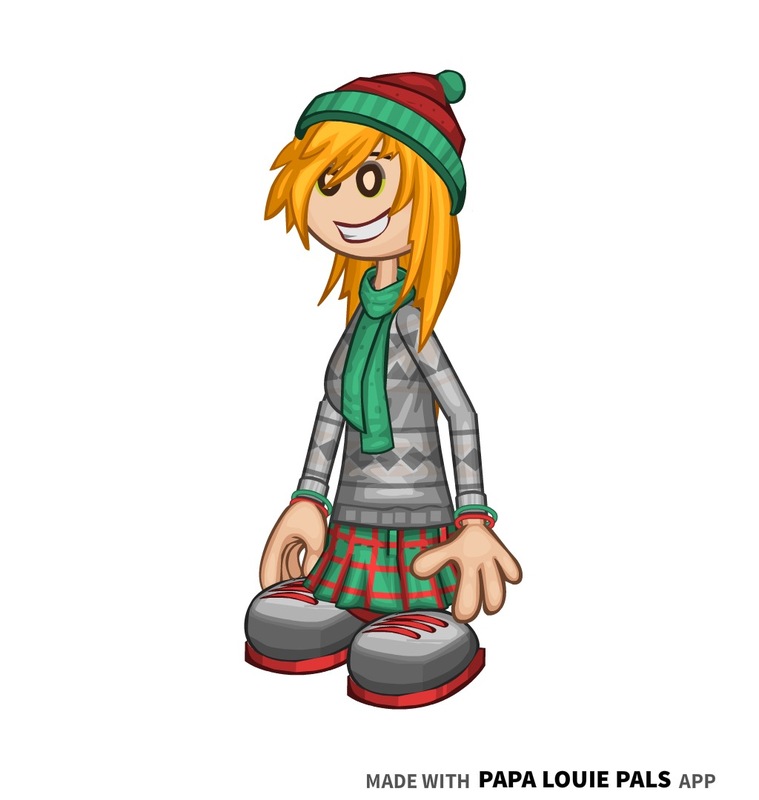 Flipdeck Info: Skye is a spunky girl who grew up in Frostfield. She seems reserved at first, but she's actually quite the troublemaker. In fact, Skye only gets A's in art class. 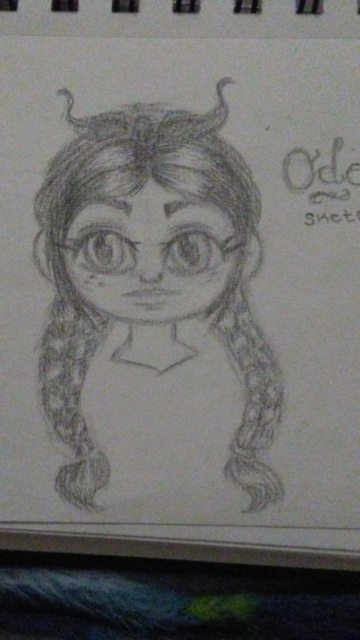 When she's not in detention, she's either sleeping or sketching. Although she doesn't seem like she cares too much about this sort of stuff, Skye hopes to achieve a career as a graphic designer. - Skye was entered in KCP2018. 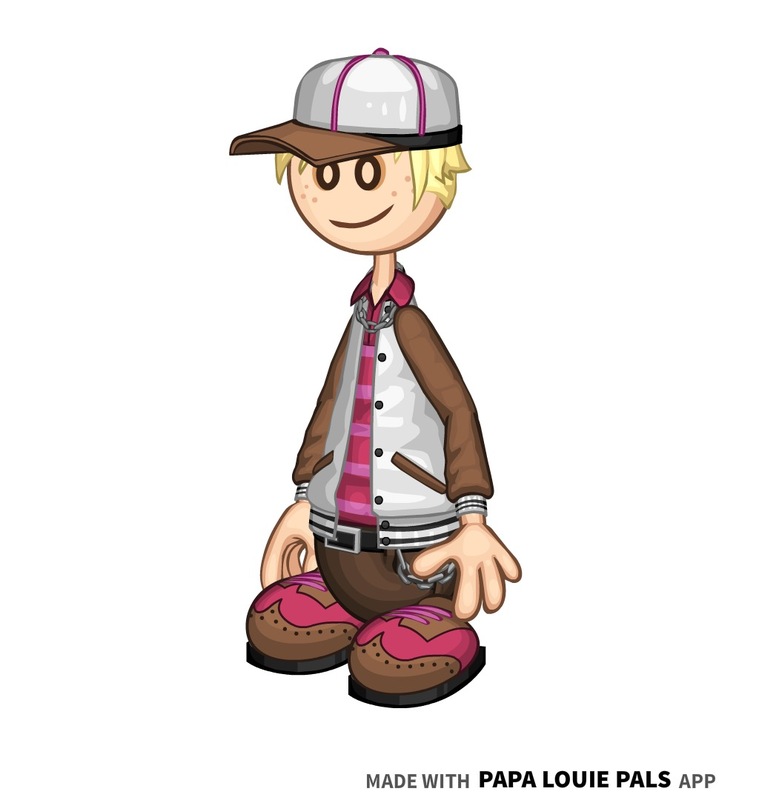 - Skye's Style B is based off of notebook paper. 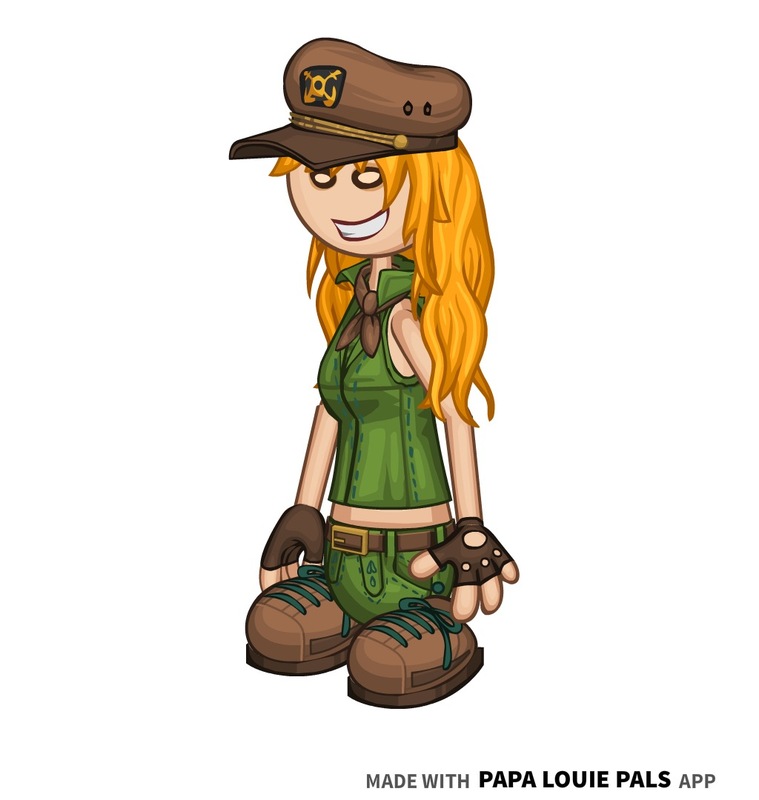 - Skye appeared in my Flipline: Escape the Night comic, as The Rebel. 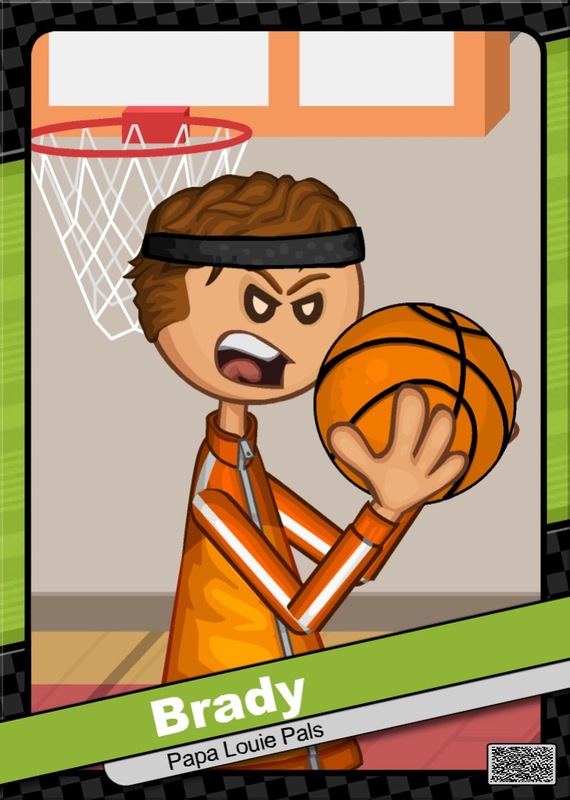 Flipdeck Info: Brady is a pretty popular athlete from Tacodale High, but he is very familiar with second place. 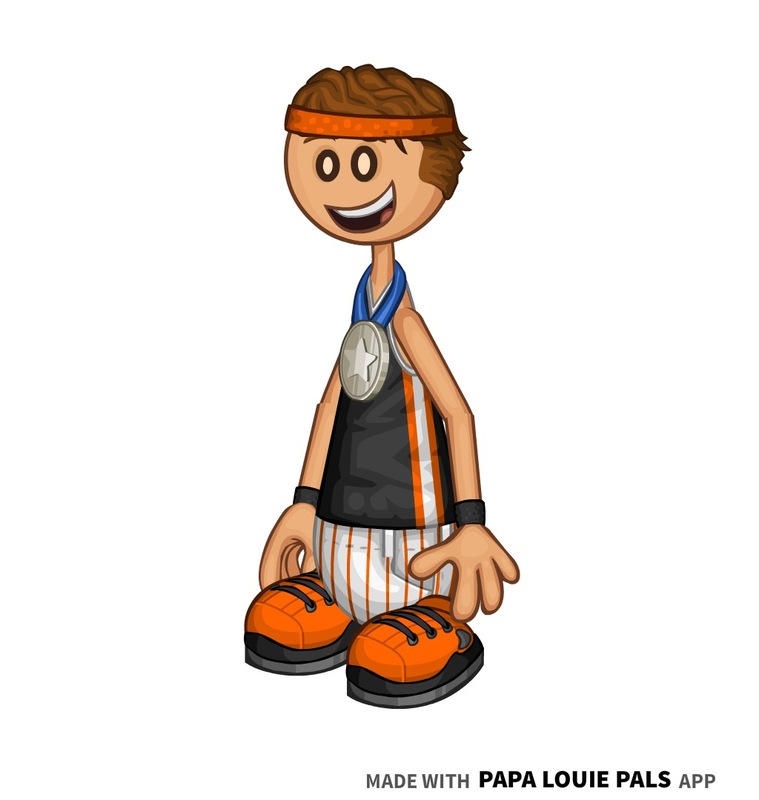 No matter how hard he tries and trains, Brady can never win a gold medal for any track-and-field activity, and he can never get a game-winning goal in basketball. He's a rather optimistic guy, and uses his failure as a way of learning how to improve. 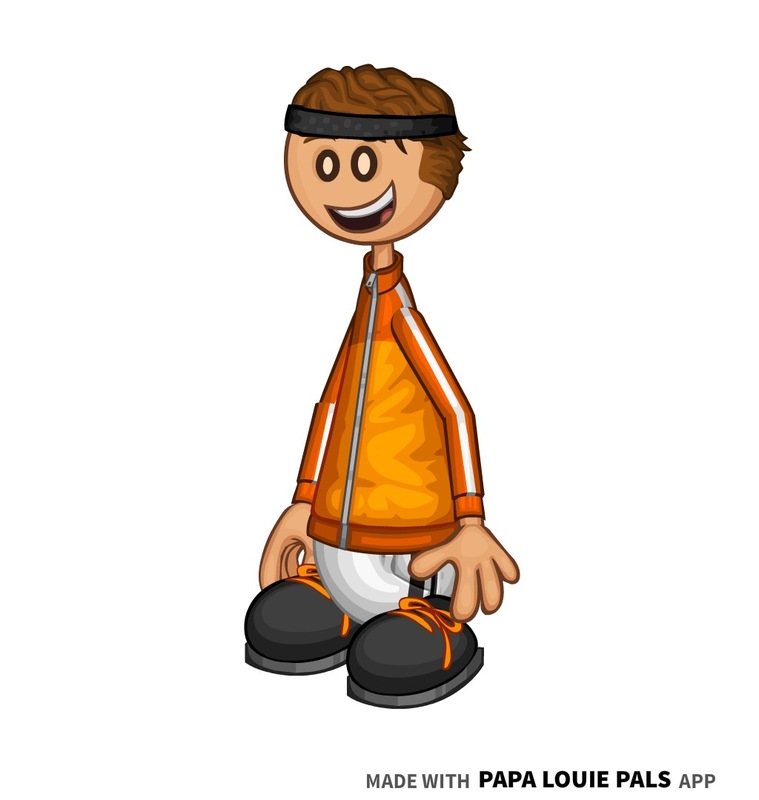 When he grows up, Brady has a dream of joining the NBA (even though he's 5'7'') and becoming a local celebrity. Outside of sports, Brady is extremely clumsy and quite dim-witted, and because of this, his friends tell him that he has little to no chance of getting a girlfriend. 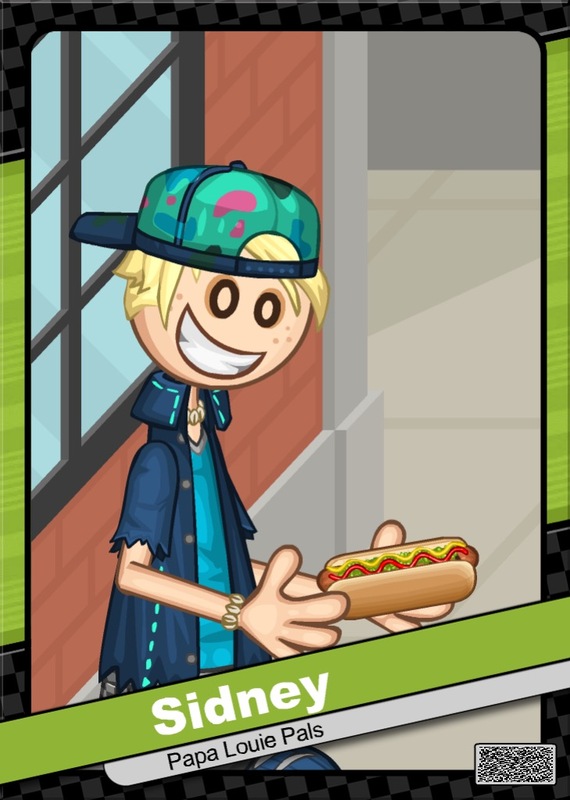 Flipdeck Info: Sidney is a fun-loving high schooler who is skilled in graffiti art. 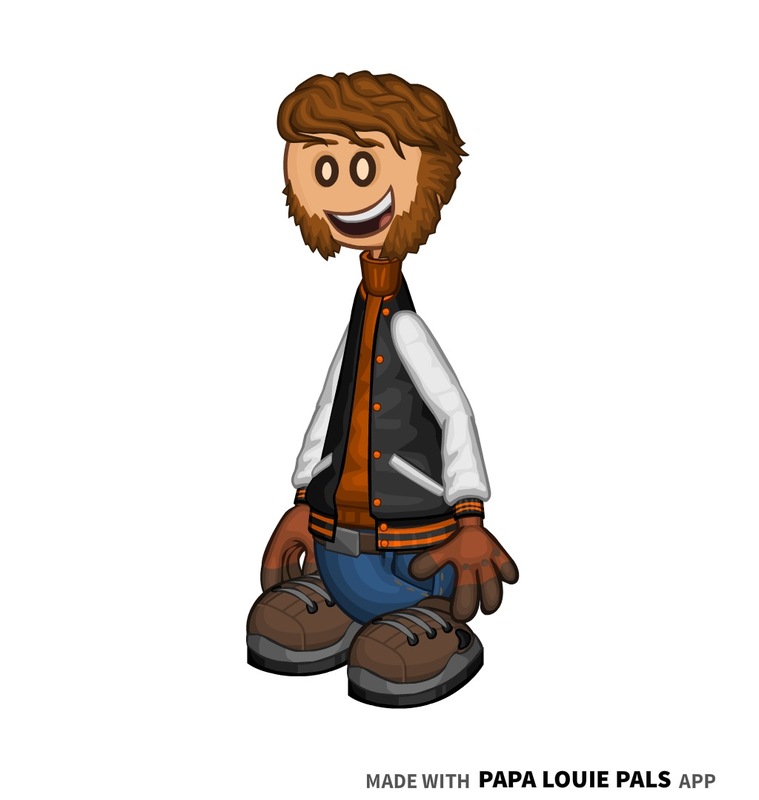 He enjoys the thrill of life and can often find himself being the voice of inspiration among his friends. 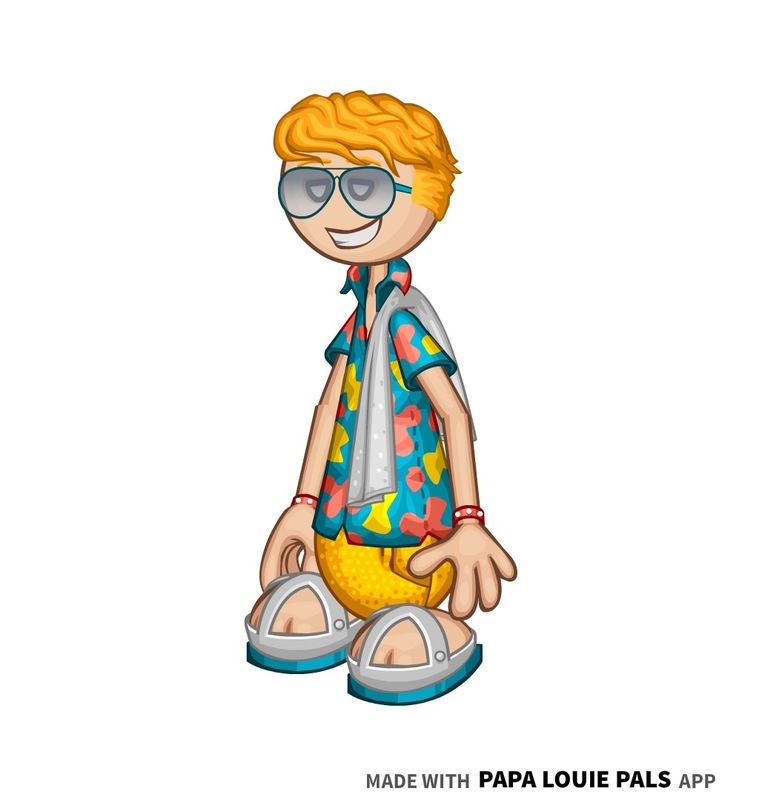 He knows how to smart talk his way out of trouble, which can be pretty helpful after his many, many line skips for Powder Point's roller coasters. 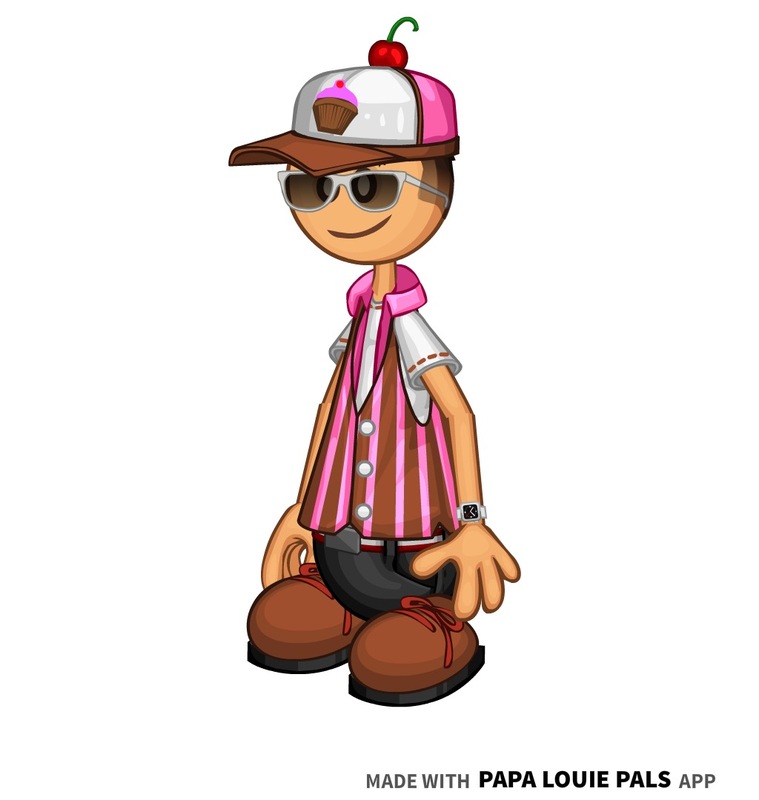 He loves it when people come together peacefully to help support each other, and his friends think that this is why he loves Neapolitan ice cream so much because of three flavors coming together to help create a great flavor. - Sidney was entered in KCP2018. - Sidney appeared in my Flipline: Escape the Night comic, as The Skater. 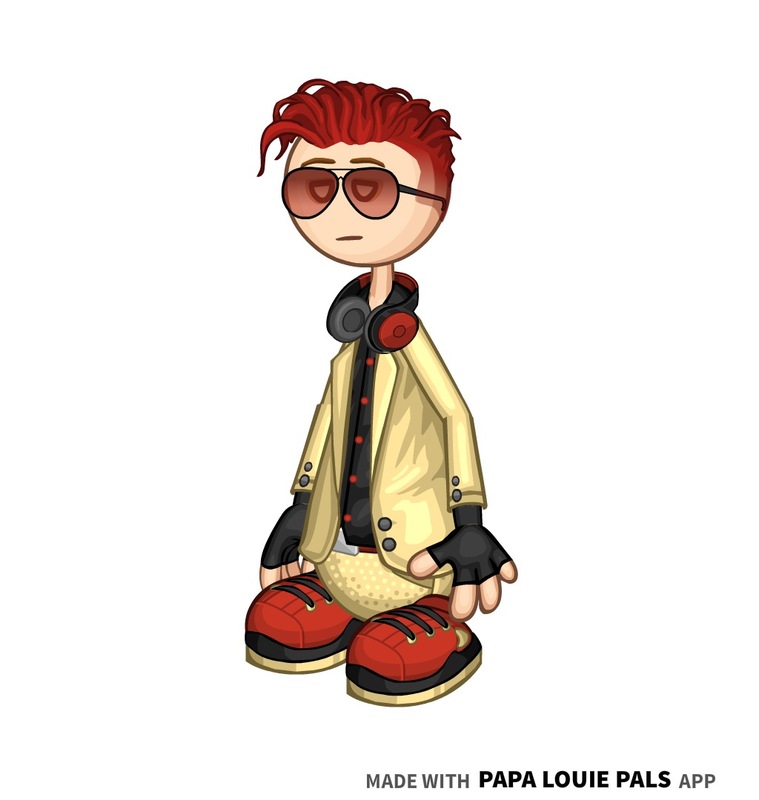 - Sidney used to have a different hairstyle, which can be seen in the Beta Design section. 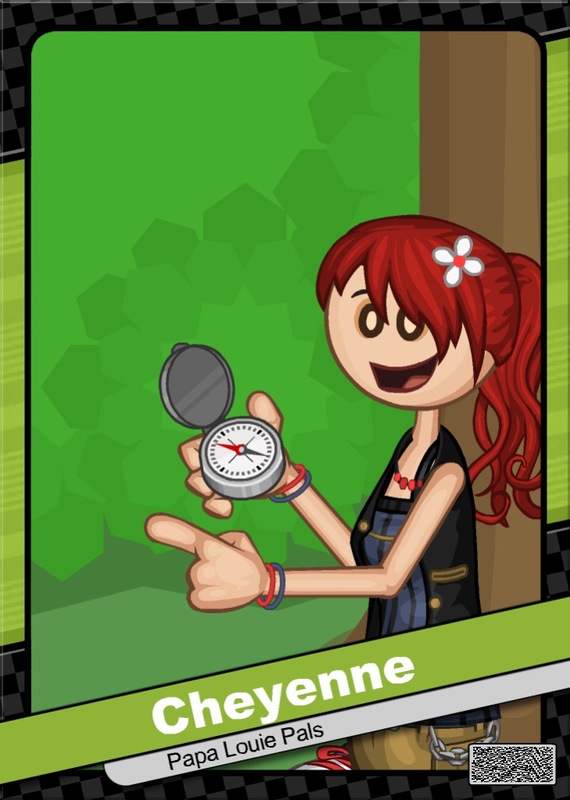 Flipdeck Info: Cheyenne is a smart, adventurous young girl from Maple Mountain with a love for the outdoors. 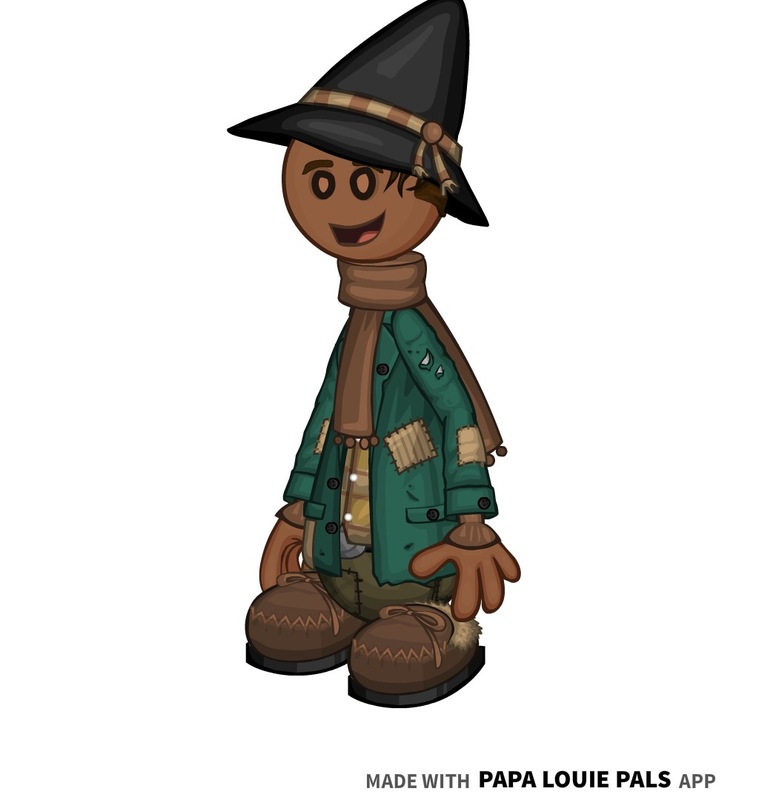 She attends Truffleton University, and studies biology and cartography there. She is very passionate about her beliefs, and isn't afraid to hit anyone with a sassy comment. She does have a problem with being proven wrong and losing, but she is trying to fix this. 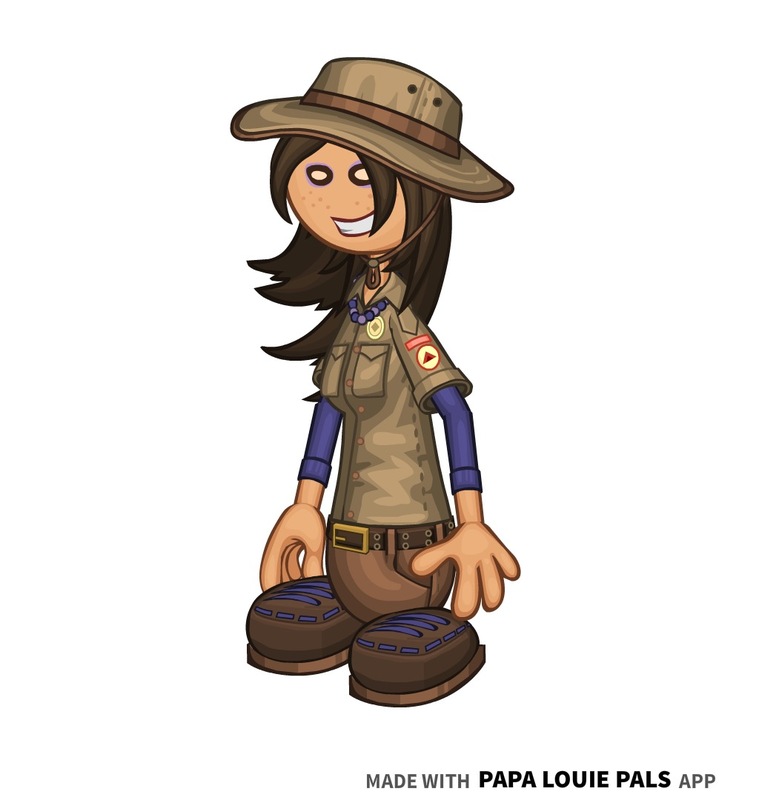 One of Cheyenne's favorite hobbies is camping, and she believes that Maple Mountain is the best place in the world to do so (she even has geographic evidence to prove it). 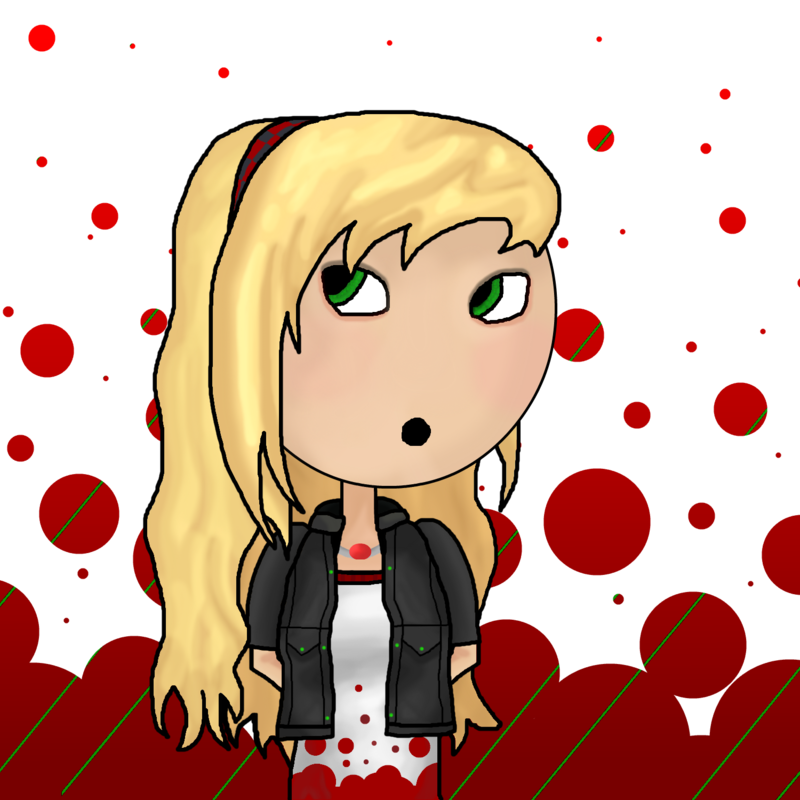 - Cheyenne appeared in my Flipline: Escape the Night comic, as The Schoolgirl. 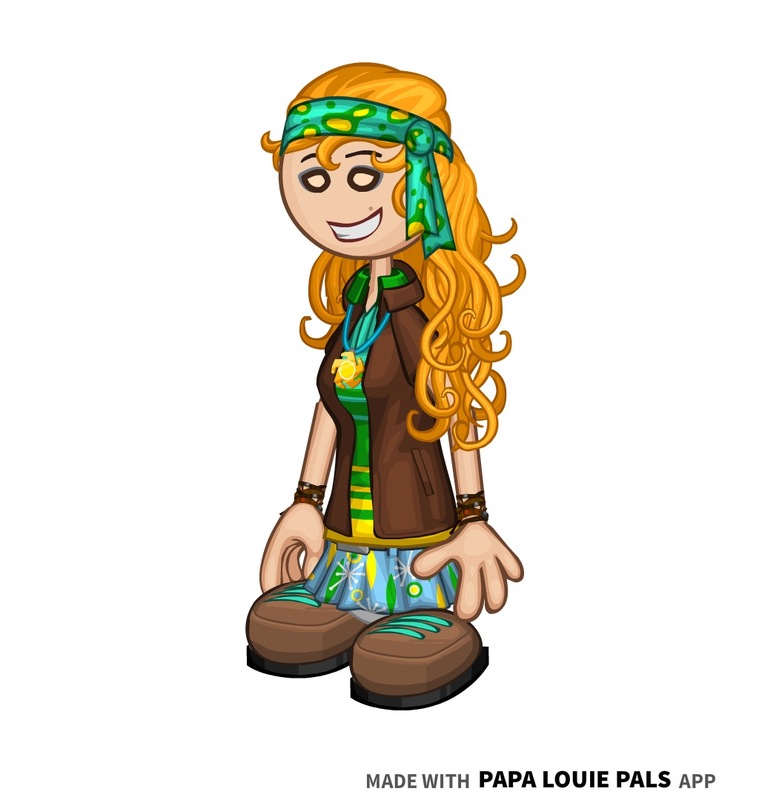 - Cheyenne was inspired by Zoey from Total Drama: Revenge of the Island. - I am considering entering Cheyenne in Kingsley's Customerpalooza 2019. Flipdeck Info: Ocean is a friendly, but stubborn college student. After not doing too hot in high school, she fought her way to the top in her track and field team, and she now holds the school record for the 100-meter dash, 100-meter hurdles, long jump, and shot put. 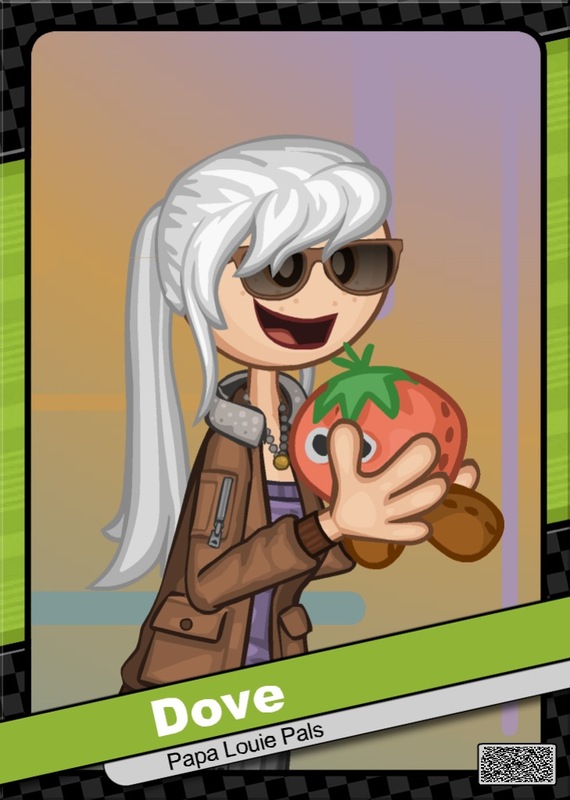 Despite her going down in Tastyville High history, Ocean's college of choice still wouldn't accept her because of her poor grades in common core. She had to restart her senior year for a second chance to improve her grades. Thankfully, all her hard work paid off, and she was finally accepted to Torta Tech. Ocean loves snacking to the point where it may be stress-eating, but she makes sure to stay active and fit. - Ocean appeared in my Flipline: Escape the Night comic, as The Trainer. 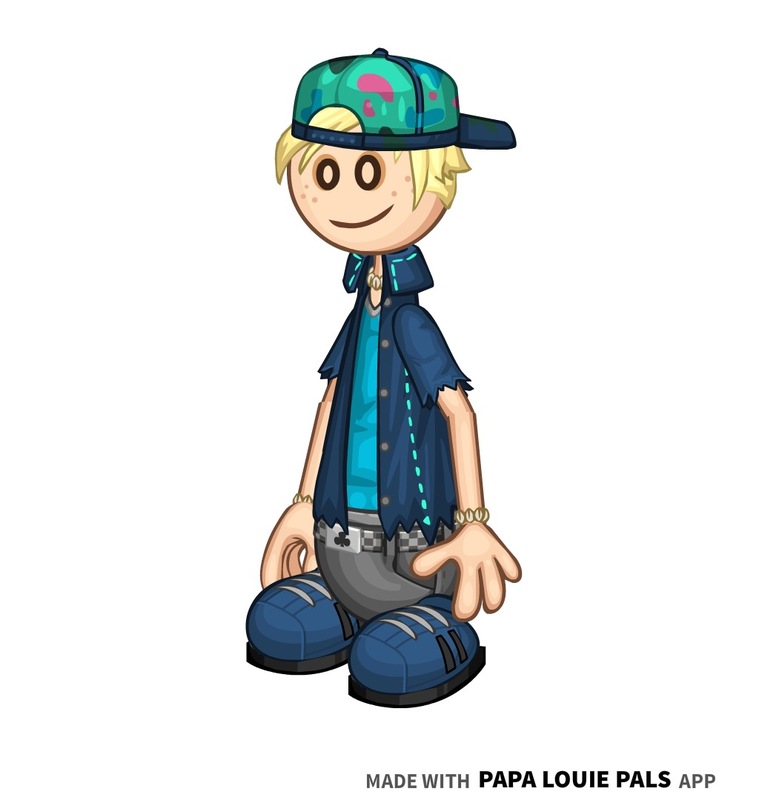 - Ocean was inspired by Sky from Total Drama: Pahkitew Island. 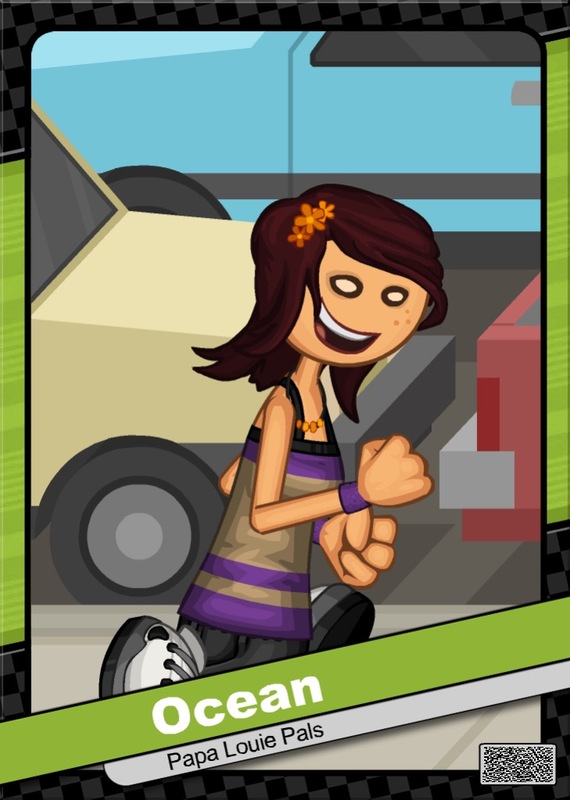 Flipdeck Info: Mia is the student body president at Burgerburgh High. She always carries a friendly attitude everywhere she goes, and her witty remarks can't help but make you smile. Mia used to be a shy student, but learned something new about being a leader with every class she passes. Most students found her student body president speech to be both entertaining and profound, which is what helped her earn her title. Outside of school, Mia has a major sweet tooth, and sometimes eats a little too much candy in her free time. 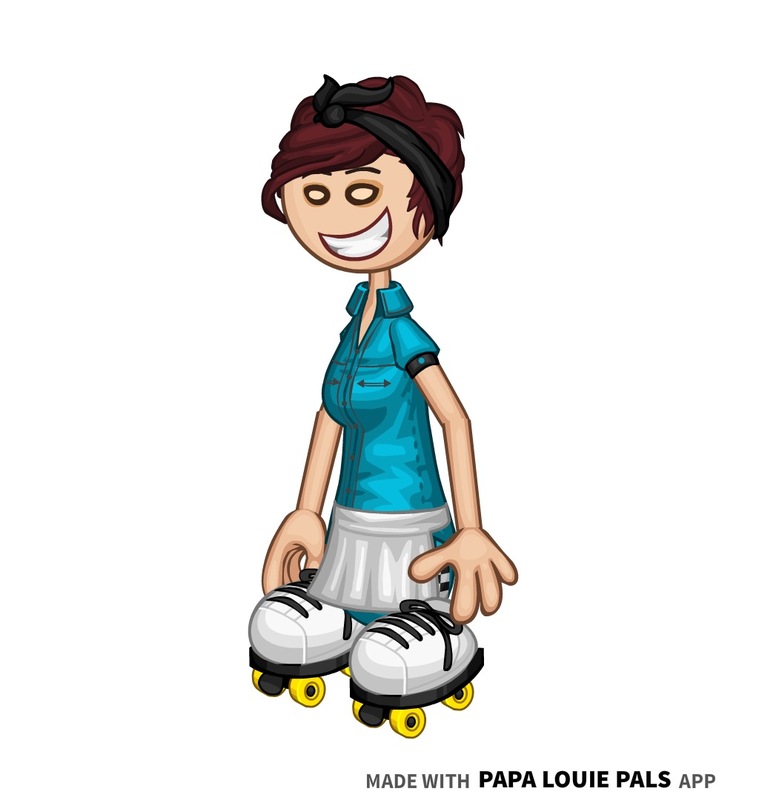 She also likes knitting with her grandmother, and playing bowling. 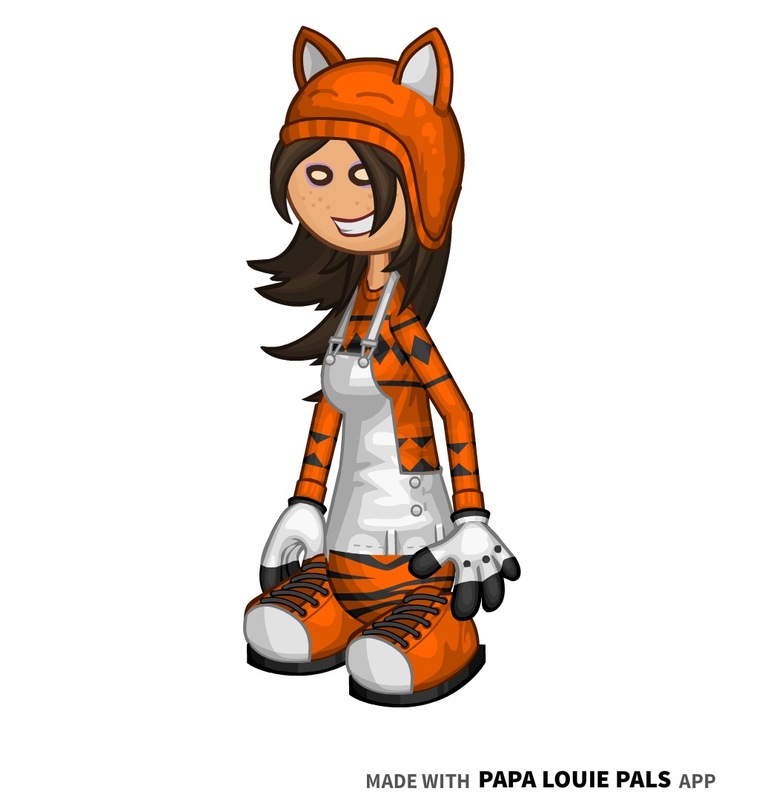 - Mia actually went through three name changes since she was created in 2016. Her first name was Jade, then Iris, then Misaki, and now Mia. 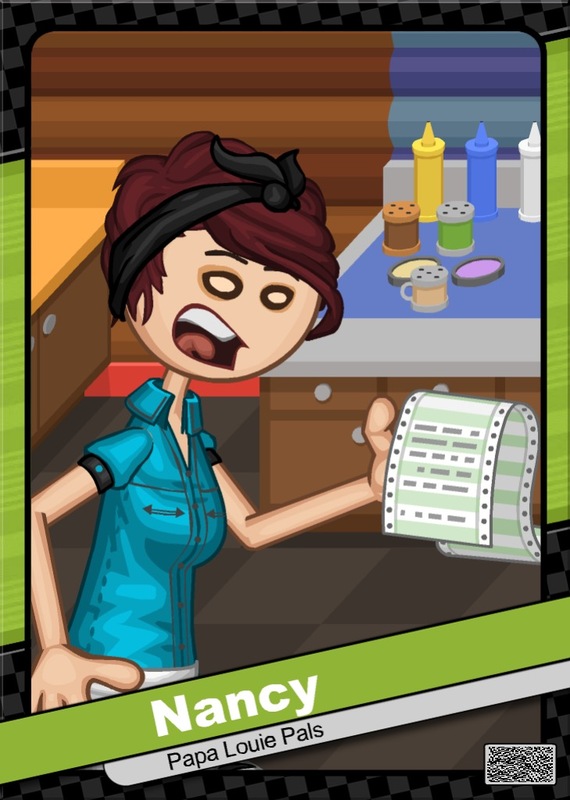 Flipdeck Info: Nancy is a strict waitress from Maple Mountain, who works at the Lonely Robin Diner. The diner usually goes unnoticed by most civilians since it's overshadowed by the more popular Papa's Pancakeria, so it's rare for Nancy to see more than fifteen customers every morning. 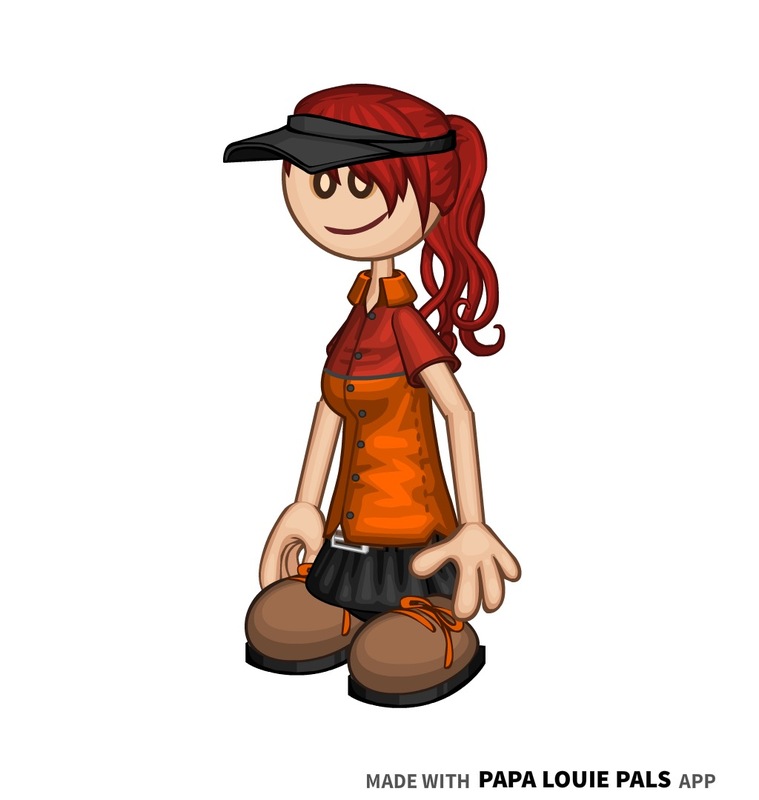 She has been working at the diner for over twenty years, and she stays dedicated to her job since she the job has been passed down through generations, and she is the third person in this line. She has been a widow for five years, ever since her husband Buford Byrd got in a car accident. Many know Nancy to be a strong woman, and this reputation has been held true even after the loss of her husband. When she isn't working, Nancy likes baking sweets for her family. 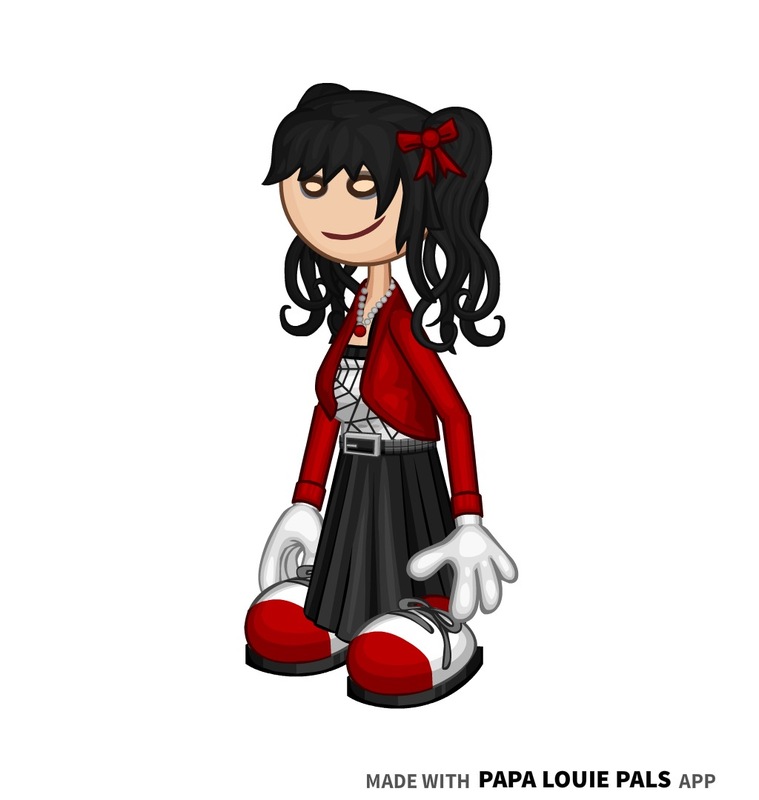 - Nancy used to have blue beehive haircut because I created her just to be an eccentric waitress, but I later made her hair short and dark red to make her more believable as a FC. Flipdeck Info: Ode is a peaceful redheaded girl from Tacodale. 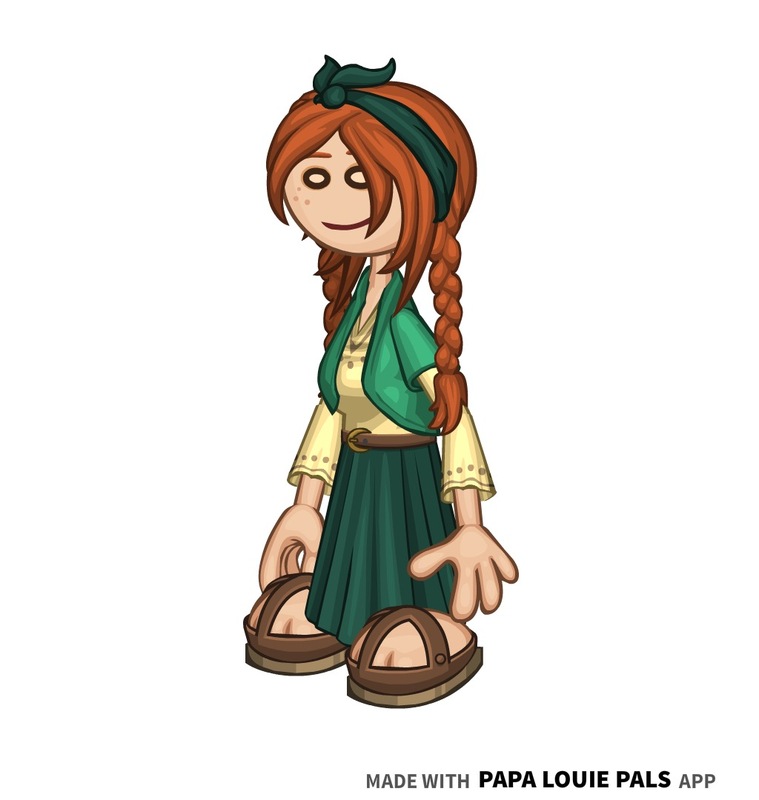 She is usually labeled as a hippie, but she doesn't really like that term. She enjoys taking walks through the park, especially during spring to see all the flowers in their birth stages. 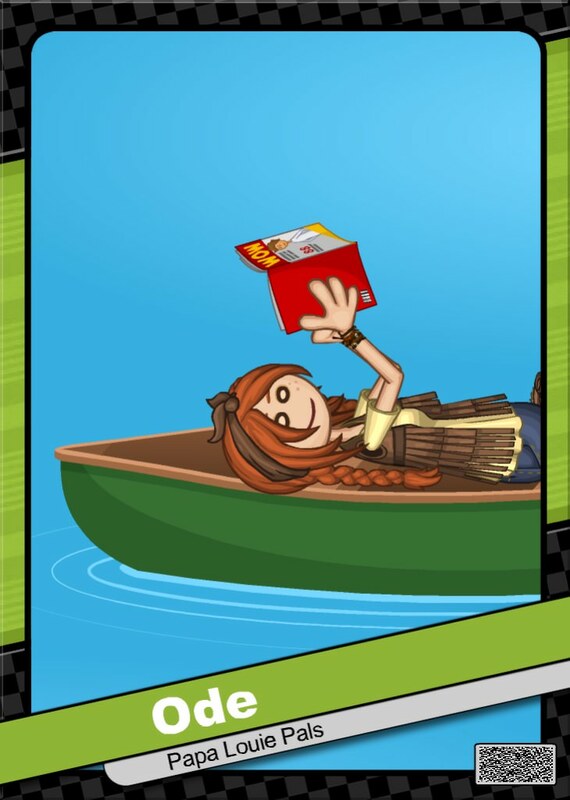 Ode also likes to visit the local lake to take relaxing canoe trips, where she can read magazines and take in the breathtaking scenery around her. 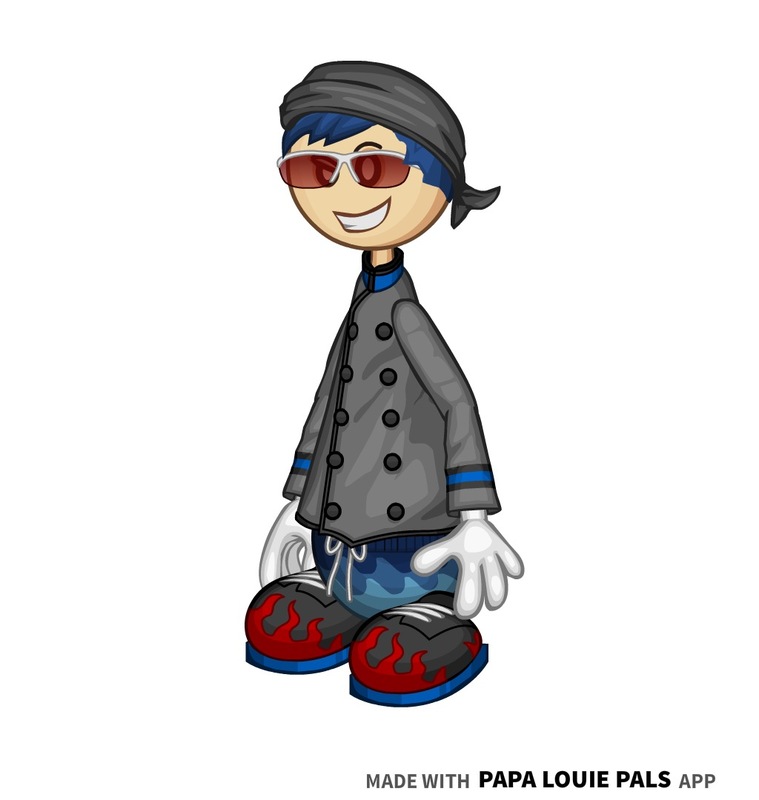 She makes frequent visits to Papa's Taco Mia, where she orders the most spiciest ingredients in order to impress her friends. - Ode is my personal favorite FC. - Ode appeared in my Flipline: Escape the Night comic, as The Pacifist. 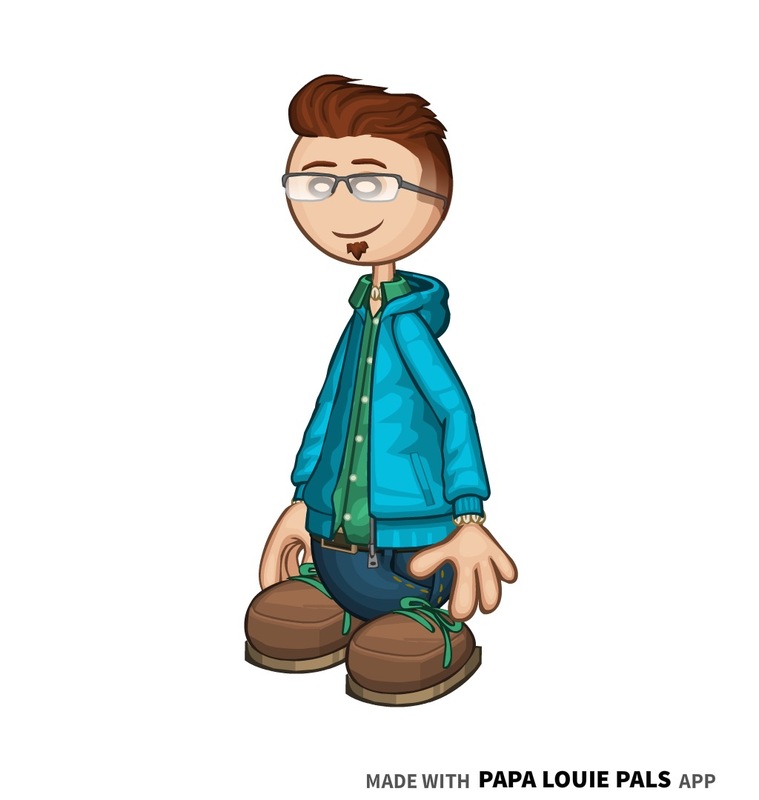 - Ode was the winner of Speedo3539's FC Tournament: Season 1, as well as the winner for Aliveria's Palooza and Martin's Holidaypalooza. - So far, Ode is my only FC to win a fan tournament. 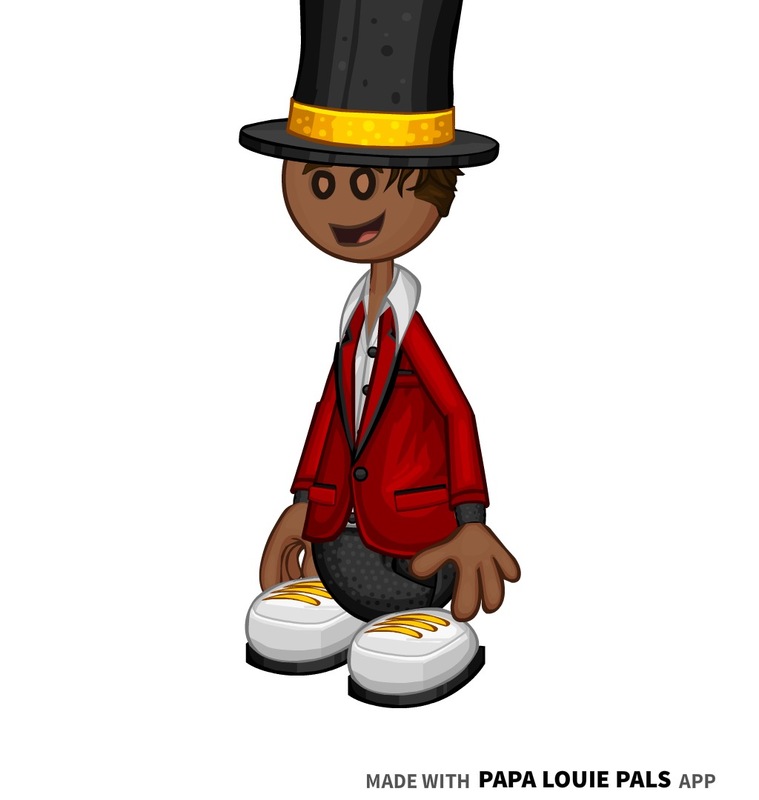 She is also the first FC of mine to win more than one tournament, and is the only FC in the forum to win three fan tournaments since the release of Papa Louie Pals. 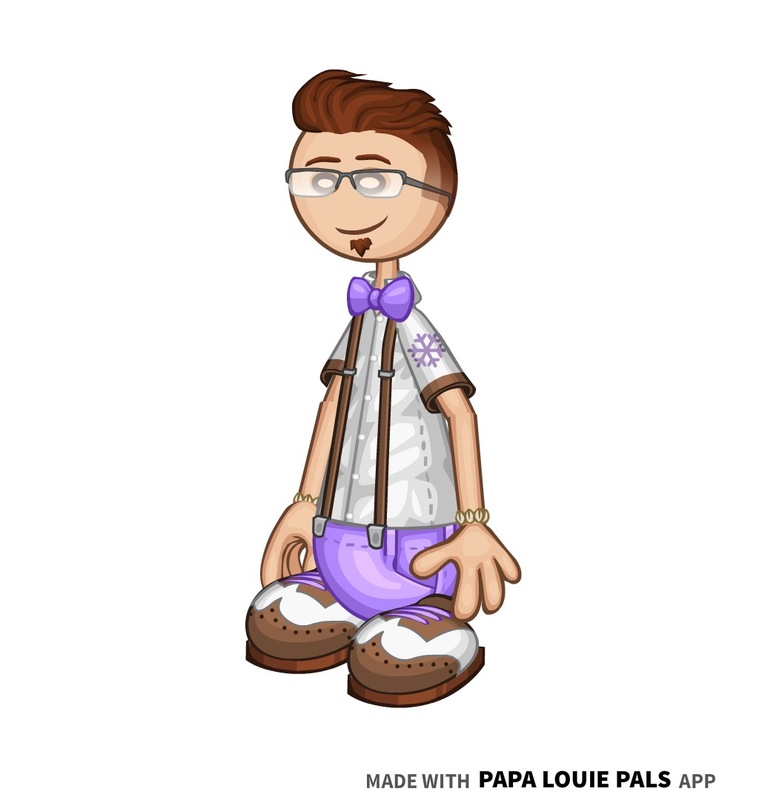 - I will be entering Ode in Kingsley's Customerpalooza 2019. Flipdeck Info: August is a bright, young lad from the bustling streets of Oniontown. He decided not to attend college because he was offered a once-in-a-lifetime opportunity: to become an apprentice detective for one of the most famous detectives in the Flipverse. Now, he makes Oniontown a better place by solving mysteries and pursuing criminals. He has encountered the phantom thief Black Feather several times in the city's dark alleys, but he has never apprehended him. 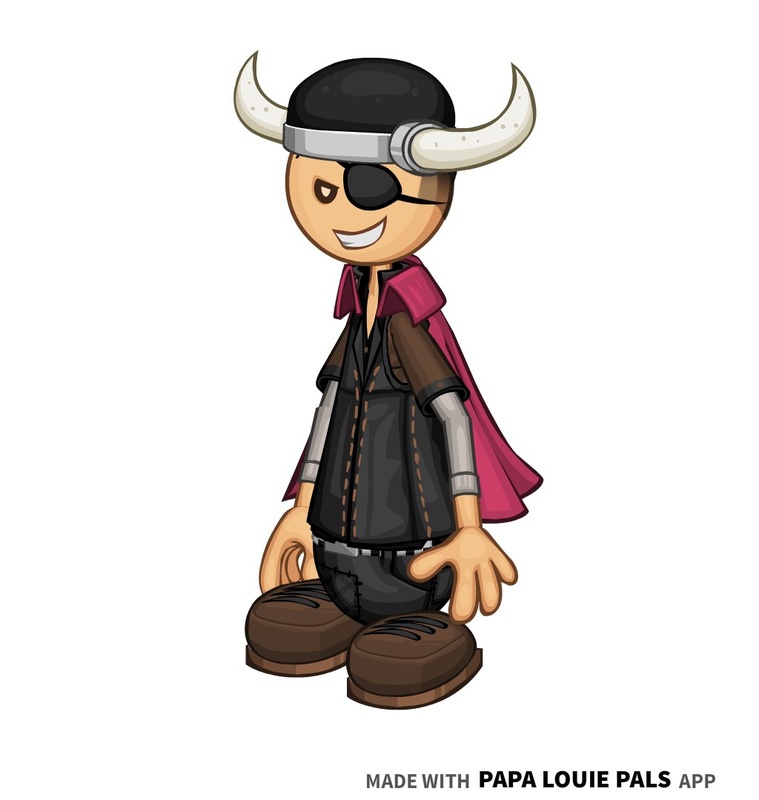 Now he refers to Black Feather as his mortal enemy. August has captured the hearts of many girls across Oniontown. Although he isn't looking for a relationship, he decides to keep that to himself so nobody will be disappointed. - August's Halloween Costume used to be a Pumpkin Head, but was changed to Professor Layton. His old Style B is now Hamilton's Style B. 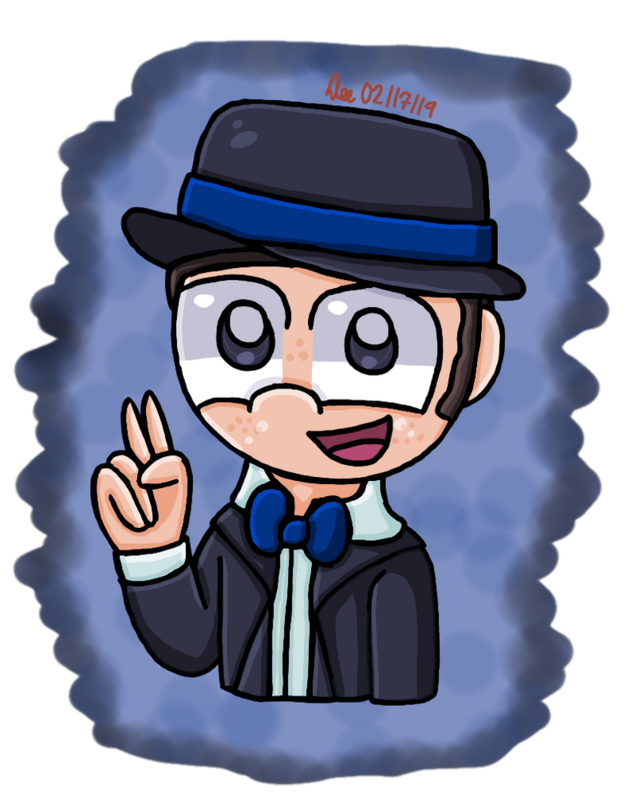 - August appeared in my Flipline: Escape the Night comic, as The Inventor. - August was the runner-up of Speedo3539's FC Tournament: Season 1. 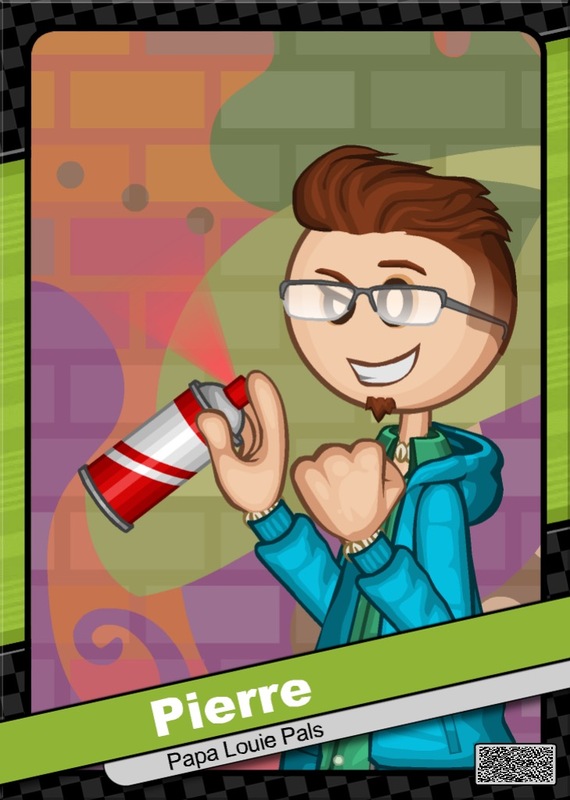 - I will be entering August in Kingsley's Customerpalooza 2019. 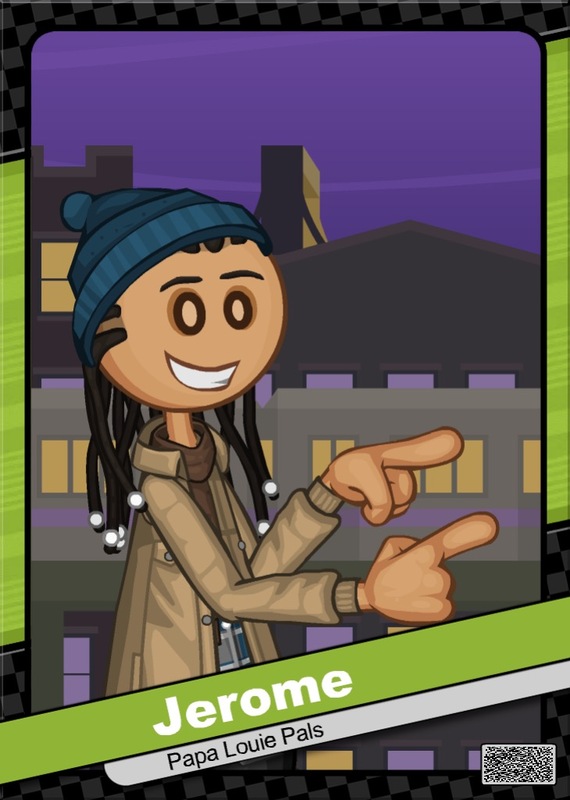 Flipdeck Info: CJ hasn't had the best childhood out of all the students in Burgerburgh High. His parents never got along, and he felt like his older brother Hamilton was the favorite child, due to his talent in acting, dancing, and magic tricks. He was encouraged by his father to try out for football, and although he started off as a wimp in elementary school, he grew up to become a strong, confident young man. Soon enough his parents divorced. CJ didn't think that he was the reason for the divorce; he just considered it to be bad luck. 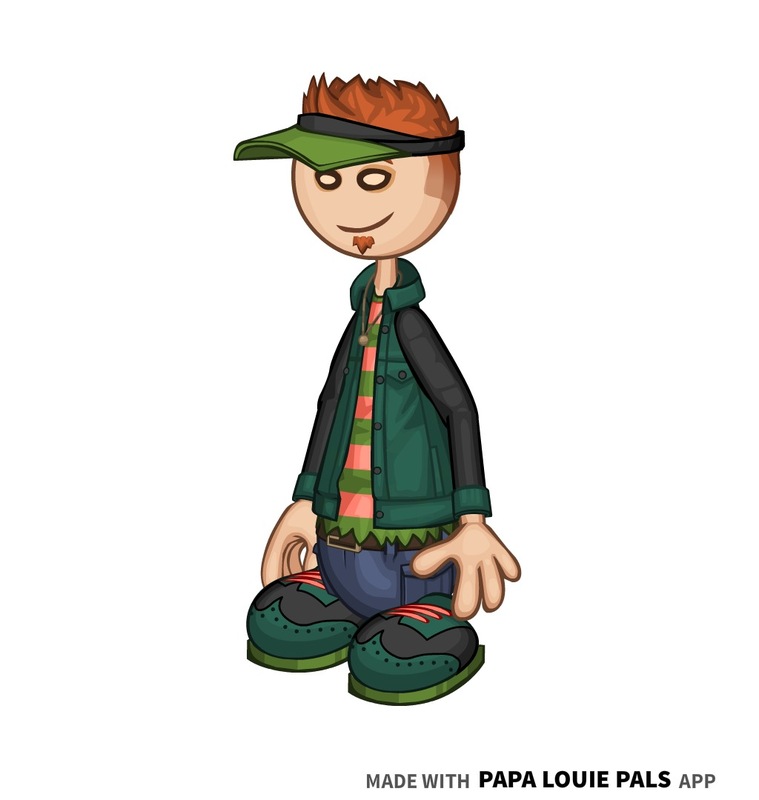 His brother allowed CJ to stay with him in his apartment in Oniontown, since it's not too far from Burgerburgh. Soon enough, he met the cheerleader Bridget, who was going through a similar situation, and they eventually started dating. He didn't consider meeting Bridget as luck like he does with most other things; he considered this as destiny. 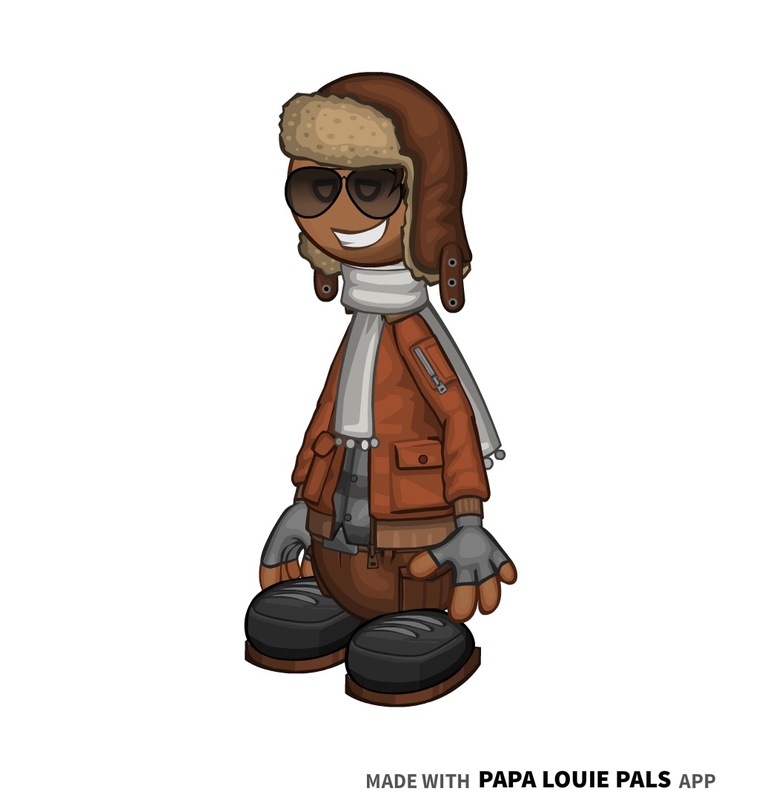 - CJ appeared in my Flipline: Escape the Night comic, as The Aviator. 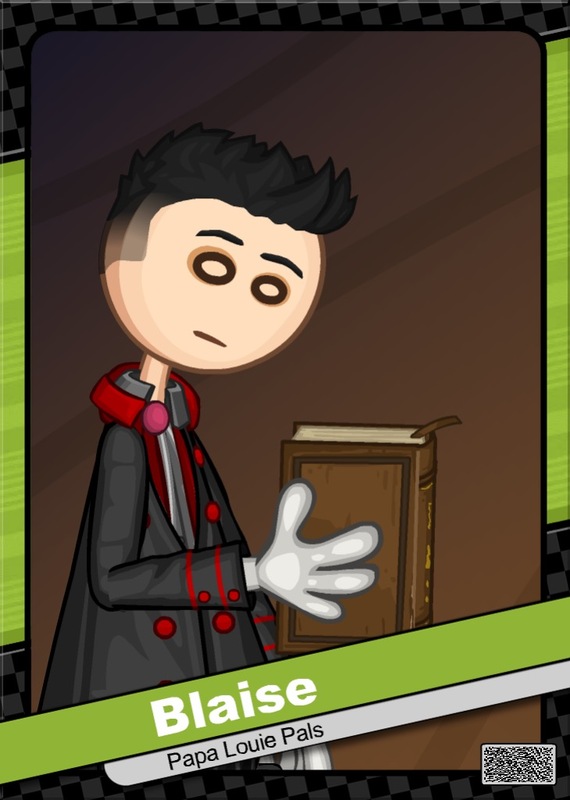 Flipdeck Info: Blaise Hemlock. 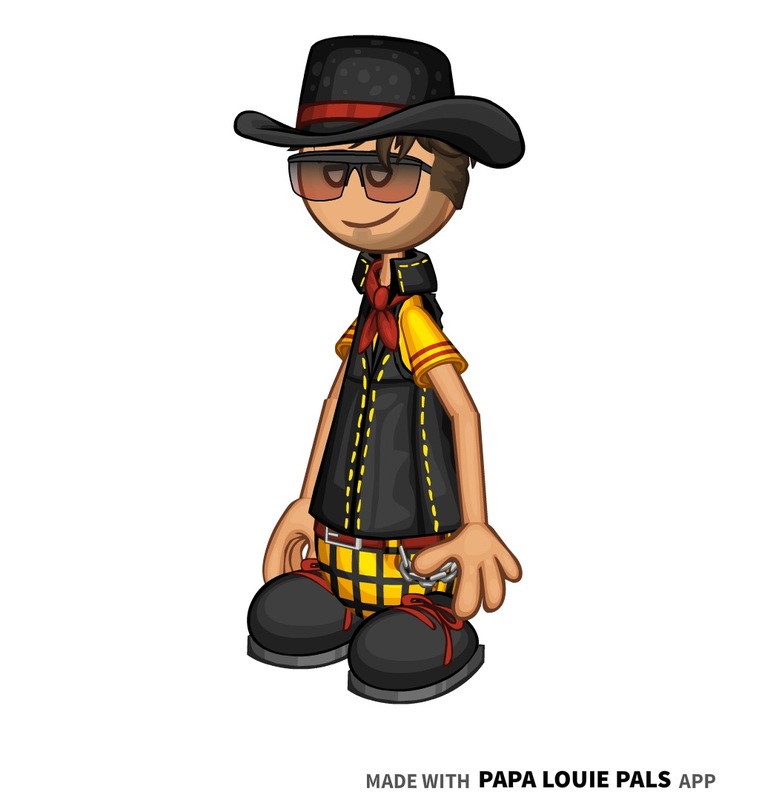 Once a name of one of the most cheerful children to ever set foot in Tacodale, is now one of the most feared names in the city. 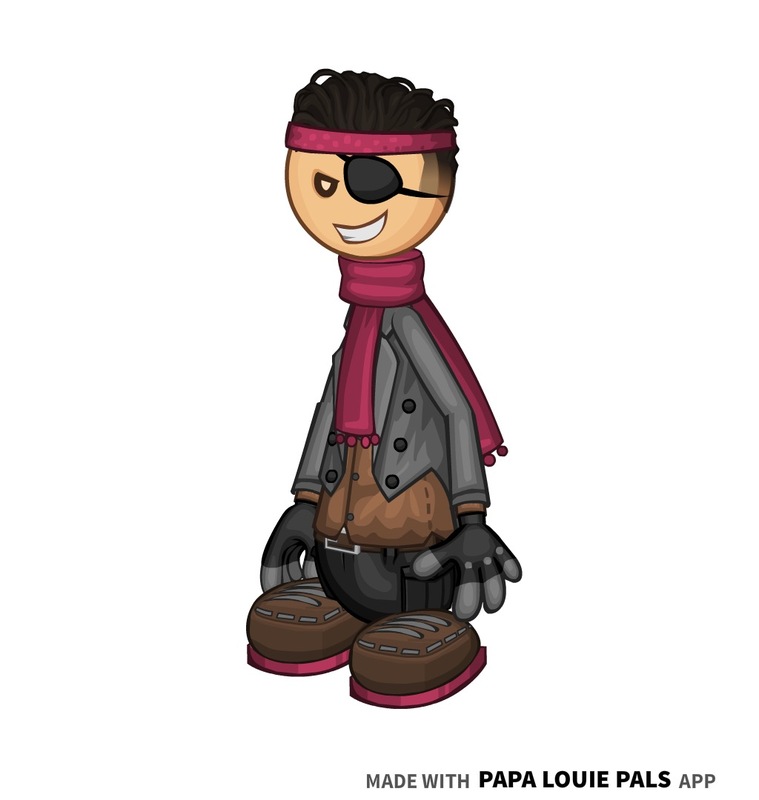 Loneliness led him to turn dark, and he barely ever experiences joy and happiness. 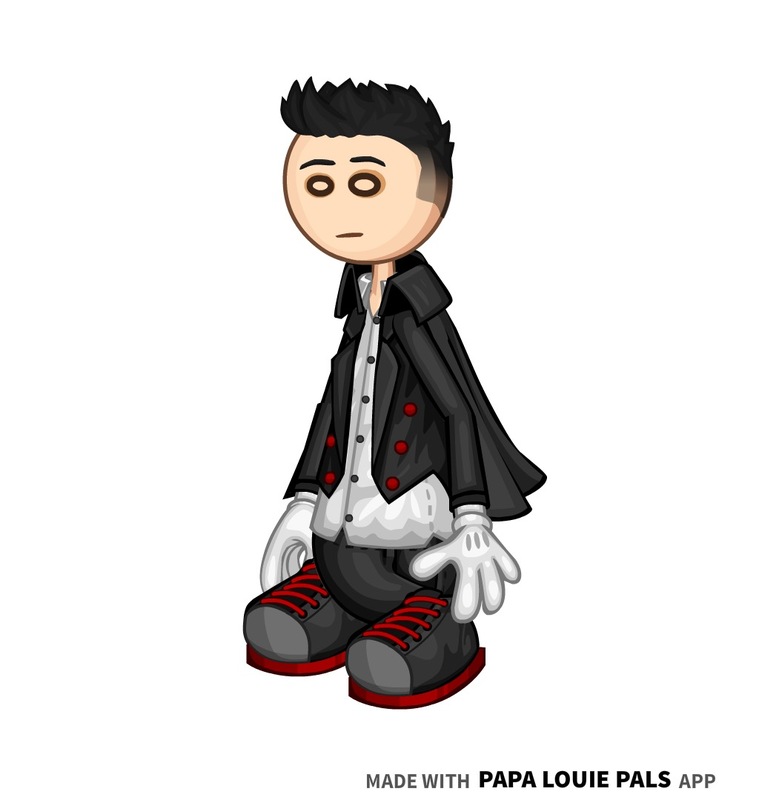 He is definitely what everyone thinks of when they hear the word "goth." He is not feared because of any broken laws, but rather, because of his frightening demeanor. Blaise is a good person at heart, but chooses that being feared is much more enjoyable than being loved. 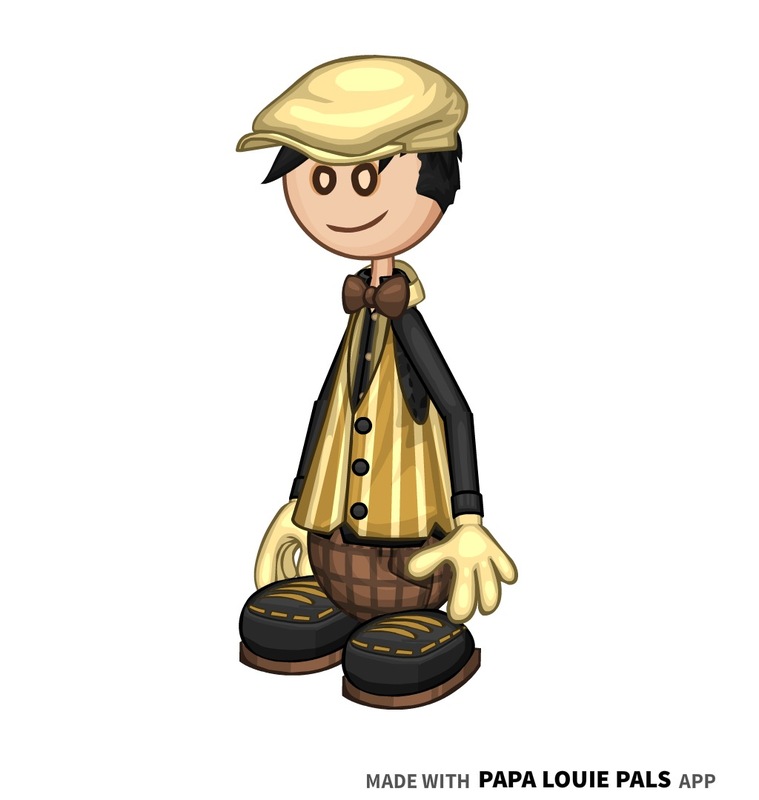 He did go to Truffleton U to study literature, and enjoys sketching and writing poems such as haikus and couplets in his spare time. 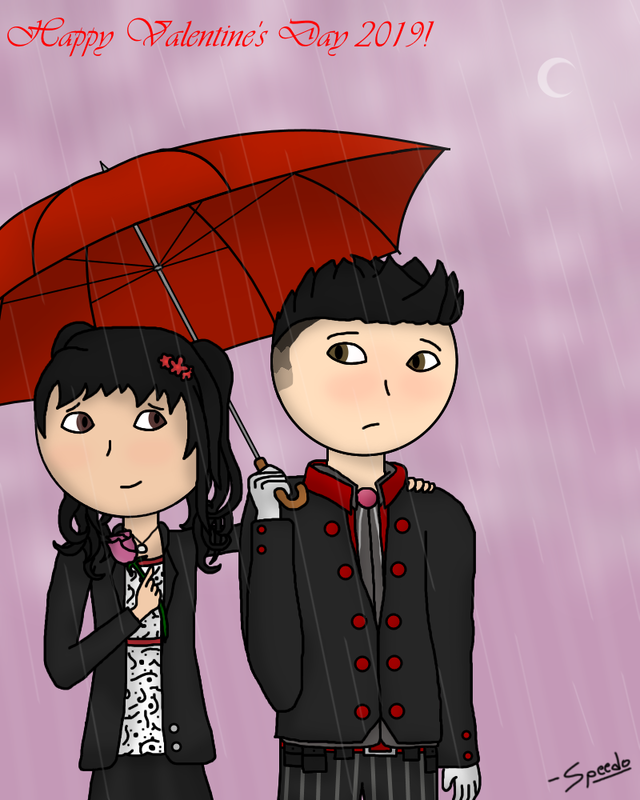 This let him to meet Callisto, and the couple's love for both literature and goth culture led them to start dating. Blaise likes to participate in poetry slams, where he is considered as the Edgar Allan Poe of the 21st century. - Blaise appeared in my Flipline: Escape the Night comic, as The Punk Rocker. 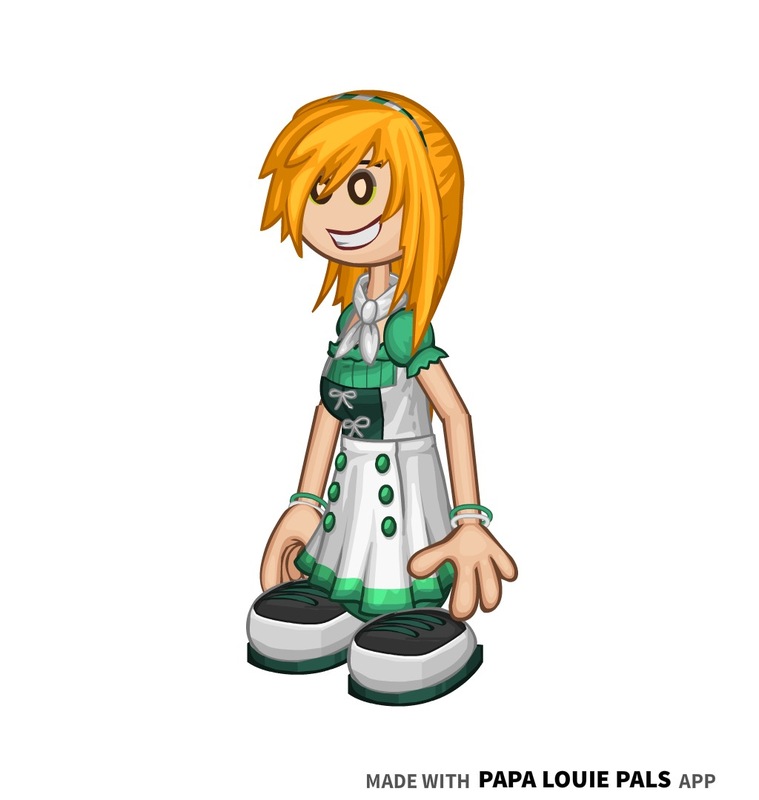 Flipdeck Info: June is a dedicated maid from Portallini, and the lovely wife of the prestigous butler, Fletcher Hampton III. As a maid, June promises to spread joy to all of her clients, and to treat them with the utmost respect. She met Fletcher when she hired him to take care of her house one day, and they fell in love with each other ever since. June decided to quit her job at the local diner to become a maid alongside Fletcher. Outside of her career, June adores springtime. 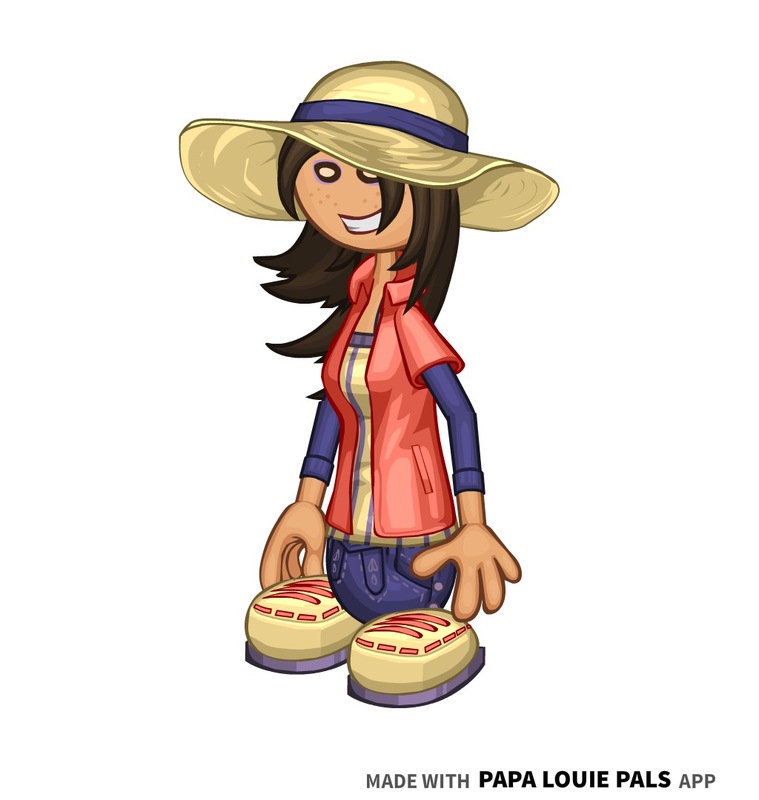 She grows a garden in the backyard of her mansion, and sells her food at the local farmer's market. She also owns butterflies and bees; the latter to make and sell honey. In May, June always attends the Cherry Blossom Festival to celebrate. - June appeared in my Flipline: Escape the Night comic, as a maid. Flipdeck Info: Tori is a friendly woman from Maple Mountain. 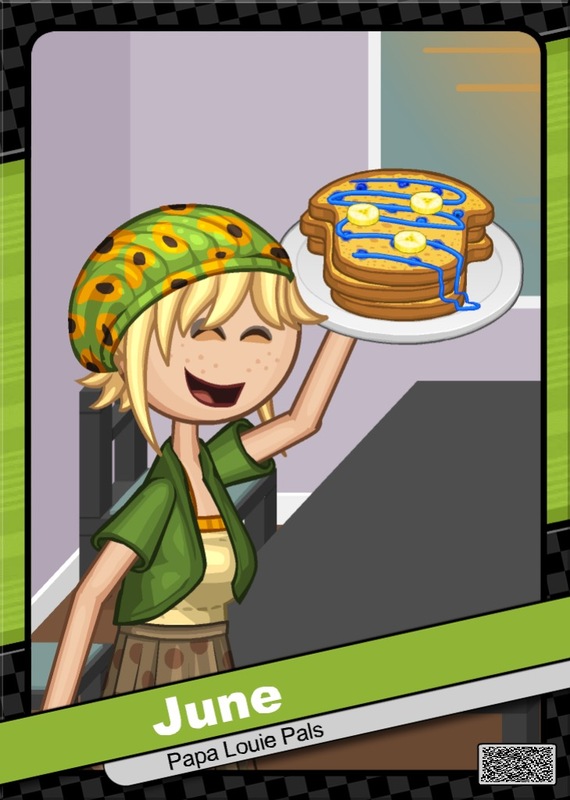 She lives a log cabin near Papa's Pancakeria all by herself, but she doesn't mind the loneliness. She enjoys her job as a hiking guide, even though she has to give tours in the mornings. 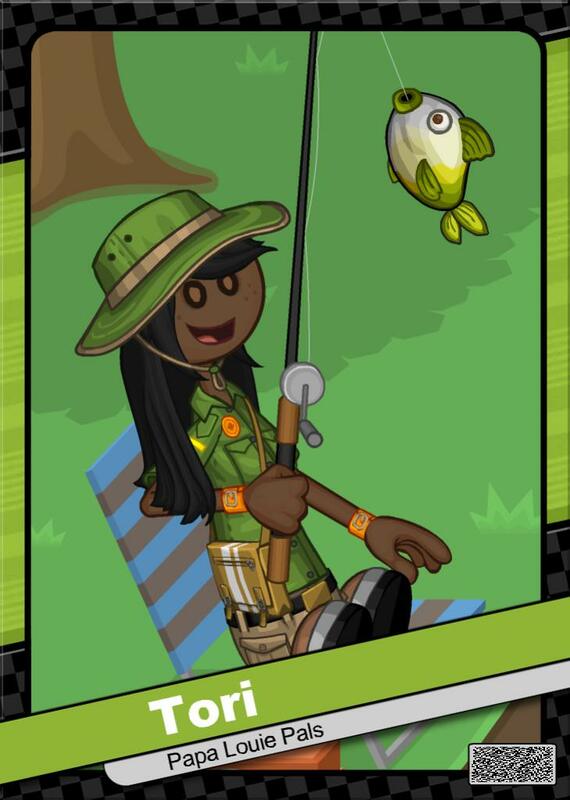 In her spare time, Tori goes out to Tastyville for fishing, and this made her a lot of friends. 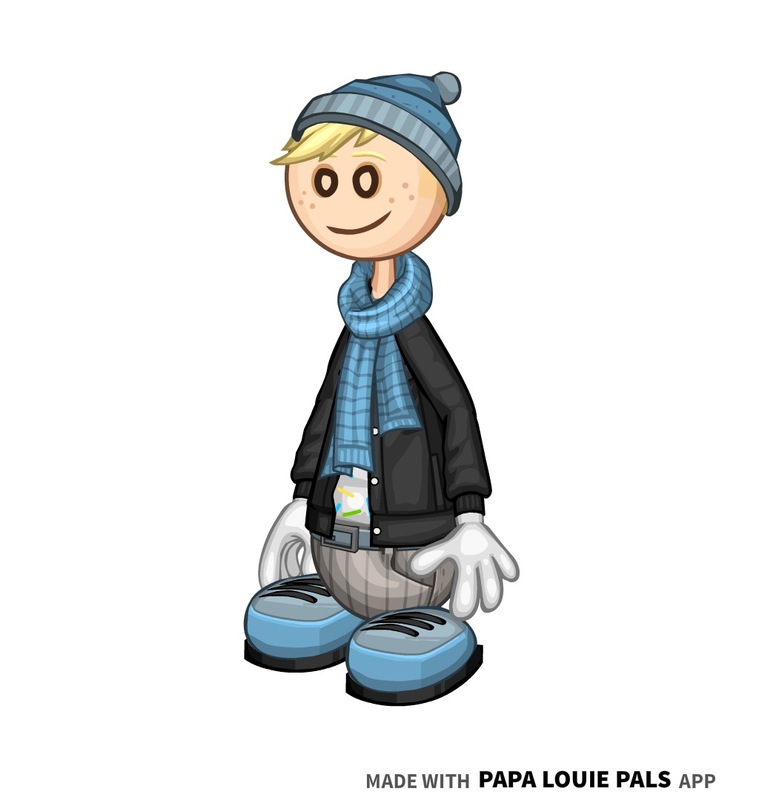 Tori also takes trips to Frostfield to visit her older sister, Stephanie. This can be quite stressful, as she lives in a fancy mansion, which is something completely foreign to Tori. 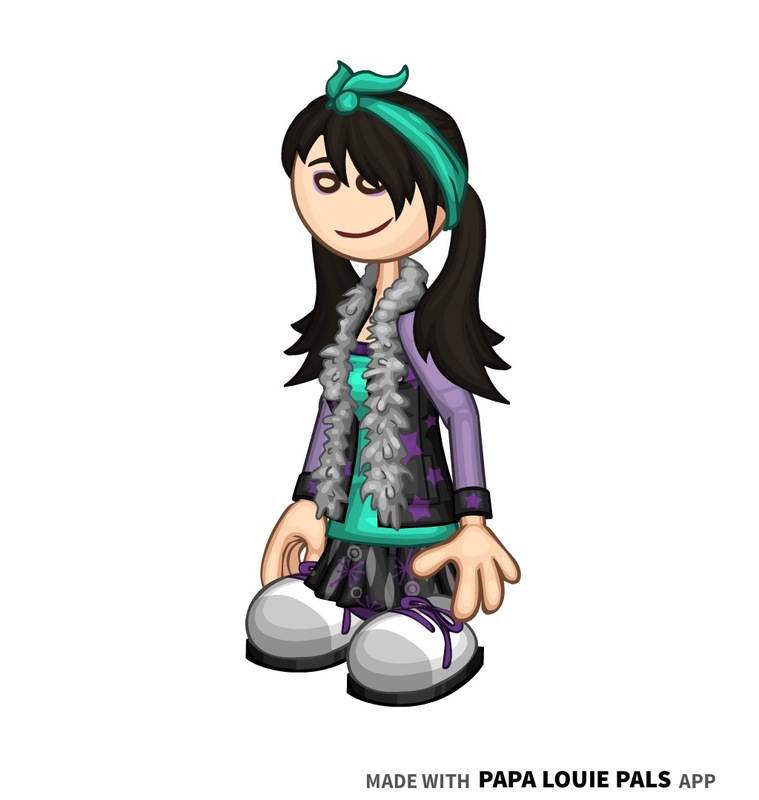 - Tori was inspired by Jasmine from Total Drama: Pahkitew Island. 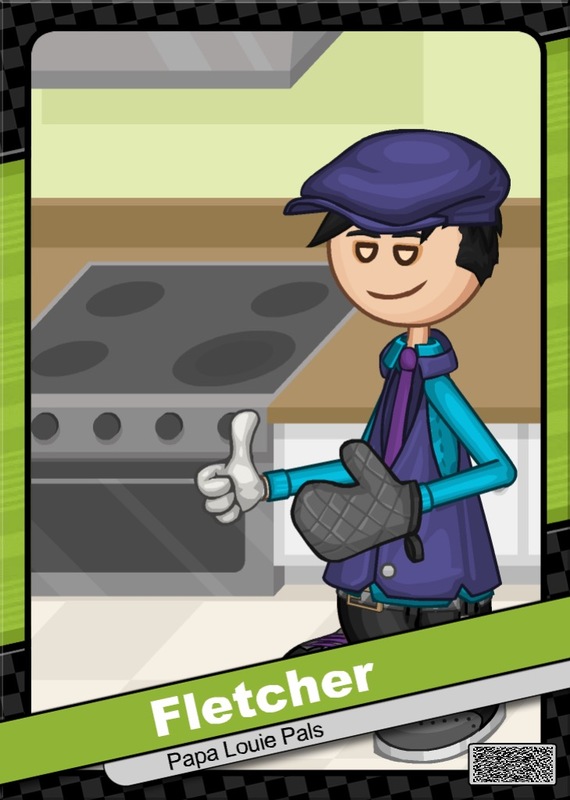 Flipdeck Info: Bentley is a smarmy barista, who lives in an apartment in Oniontown. He has been living alone for six years, and has grown bitter because of it. He enjoys working, though, especially when he receives praise afterwards. 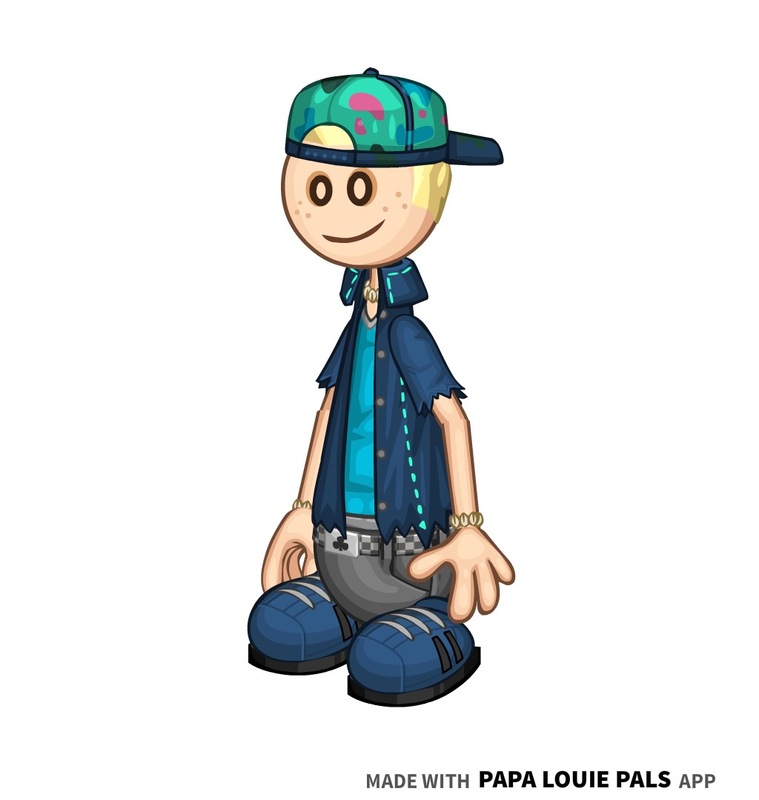 Bentley serves as the perfect stereotype for people who live in Oniontown, and never has time for nonsense or mistakes. 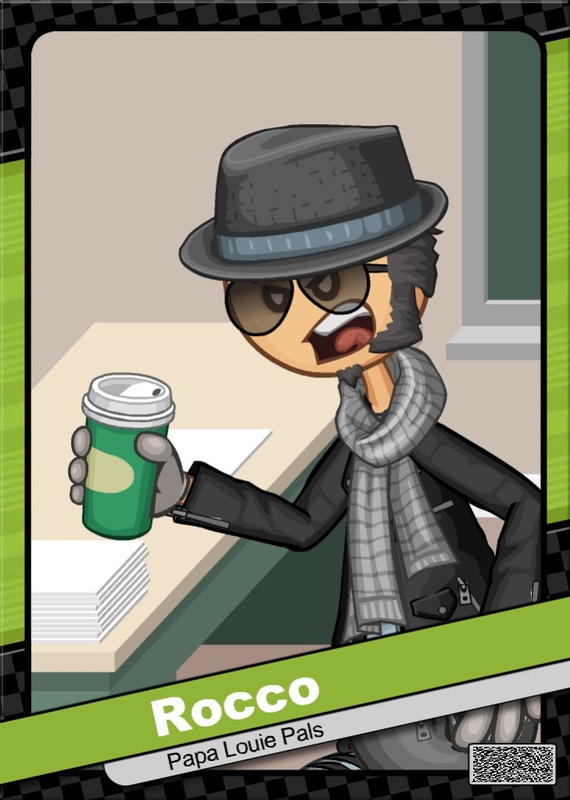 Sometimes when his boss isn't looking, he steal a pumpkin spice latte when he leaves work. 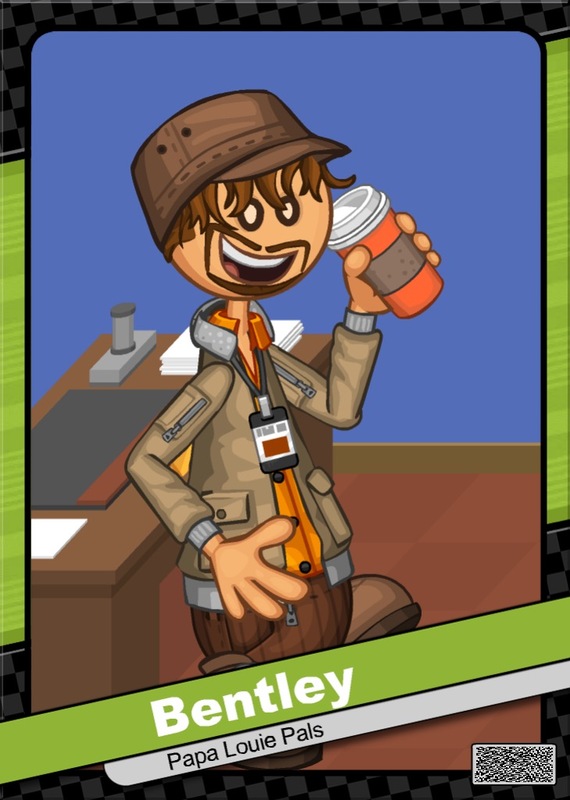 - Bentley's Style B is his work clothes for the coffee shop he works at. 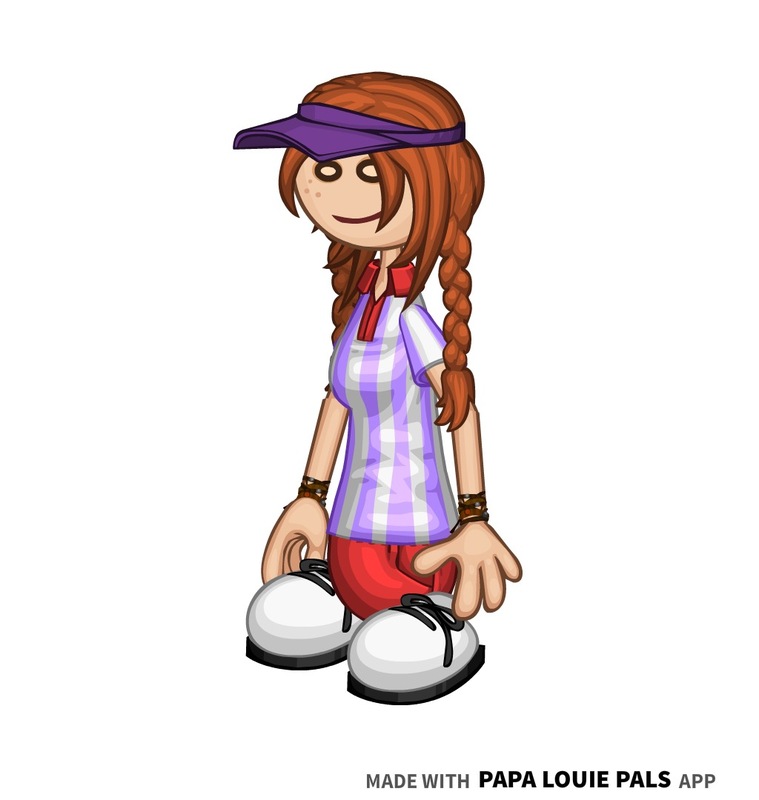 Flipdeck Info: This sweet cheerleader grew up on Calypso Island, but moved to Burgerburgh due to her parents divorcing. She always wants to spread positivity to her school either through pep rallies or through normal everyday conversation. Any chance she gets, she'll take it. It was tough growing up with divorced parents, but she was lucky enough to find football player CJ, who was going through a similar situation. The two eventually started dating, and are now the power couple of Burgerburgh High. 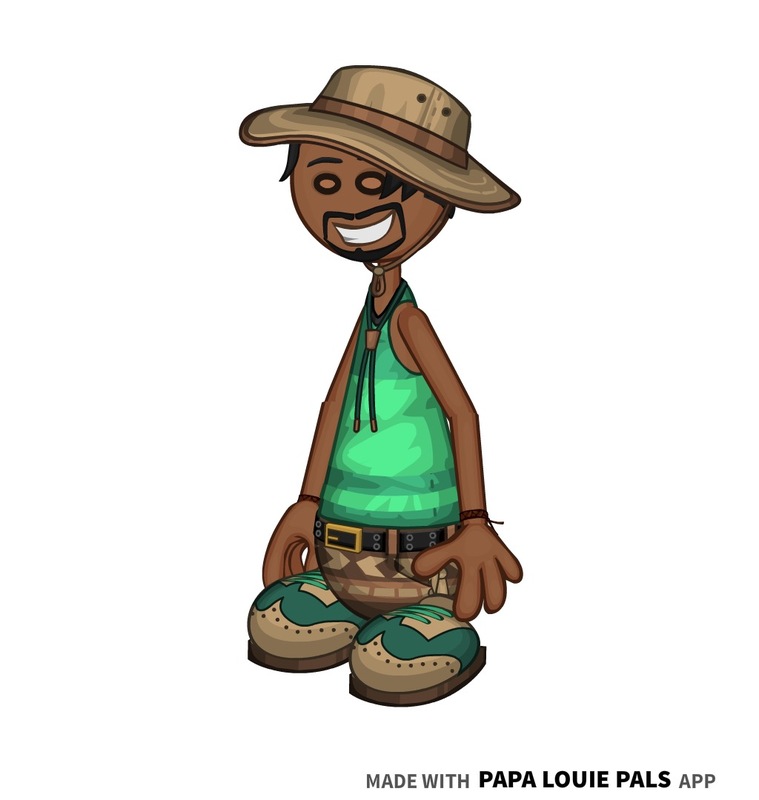 - Bridget is based off of Samey from Total Drama: Pahkitew Island. 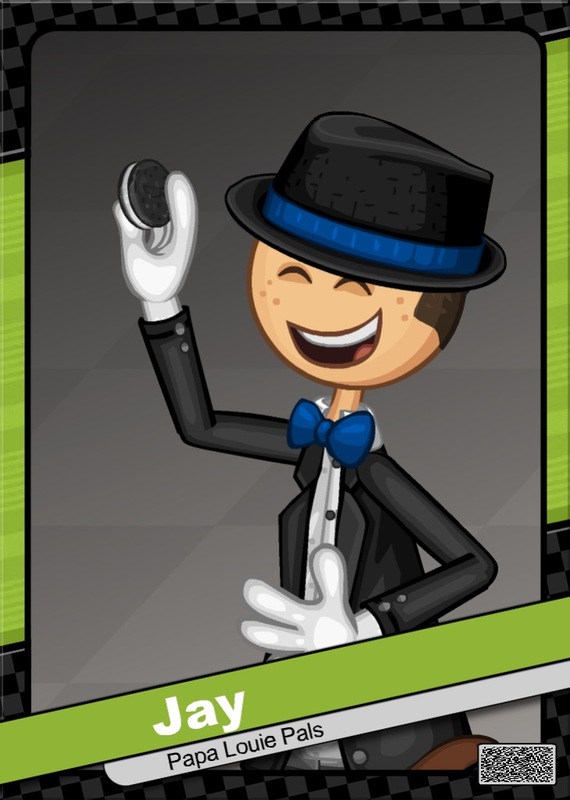 Flipdeck Info: Fletcher is one of the most prestigious butlers in all of America for his hard work and dedication to his job. He always treats his guests with the highest respect, and makes sure that the environment they are in is "as pristine as pure diamond," as he always says. He works alongside his wife June, and although they can bicker at times, they make a charming couple, and remembers to save their (mostly playful) quarrels for when they return home. Fletcher has a habit of finishing everything he starts, which can become a problem with time, seeing as how he has so little of it. 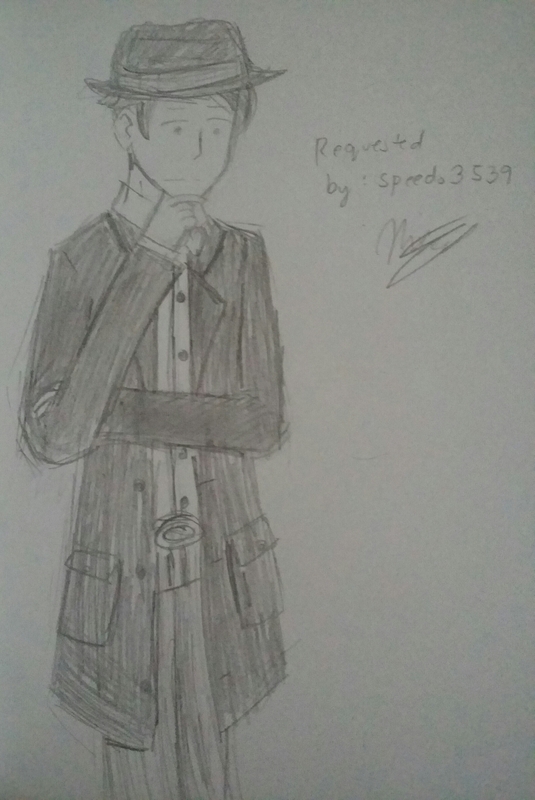 He has been preparing to be a butler ever since he was little, since his father who is also a butler, Fletcher Jr., wants to pass down the occupation along with the name. 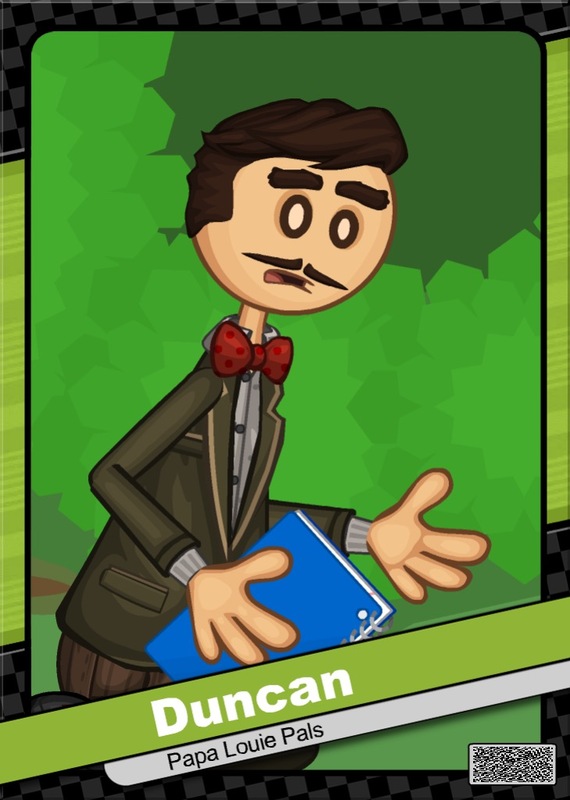 - Fletcher appeared in my Flipline: Escape the Night comic, as a host. He is not scary like he is in the comic. 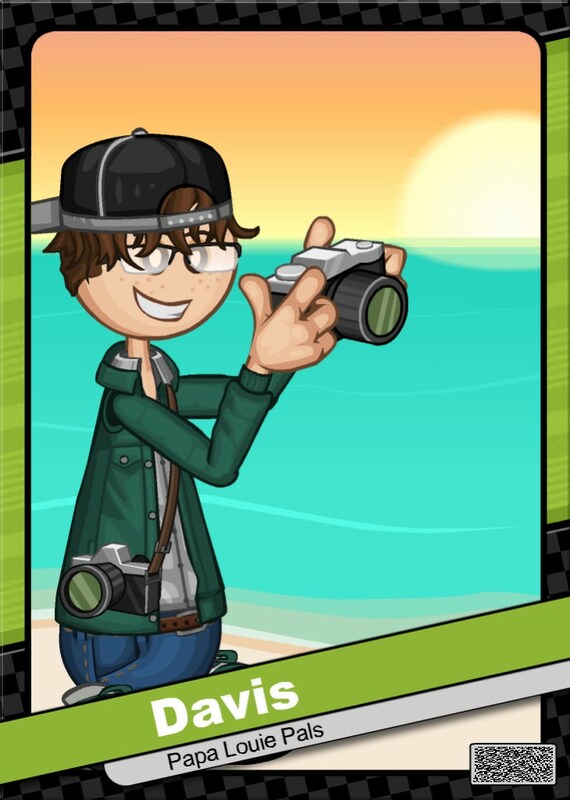 Flipdeck Info: Davis is a timid photographer who can often be seen out and about taking pictures of nature, or walking on the edge of the halls of Burgerburgh High. 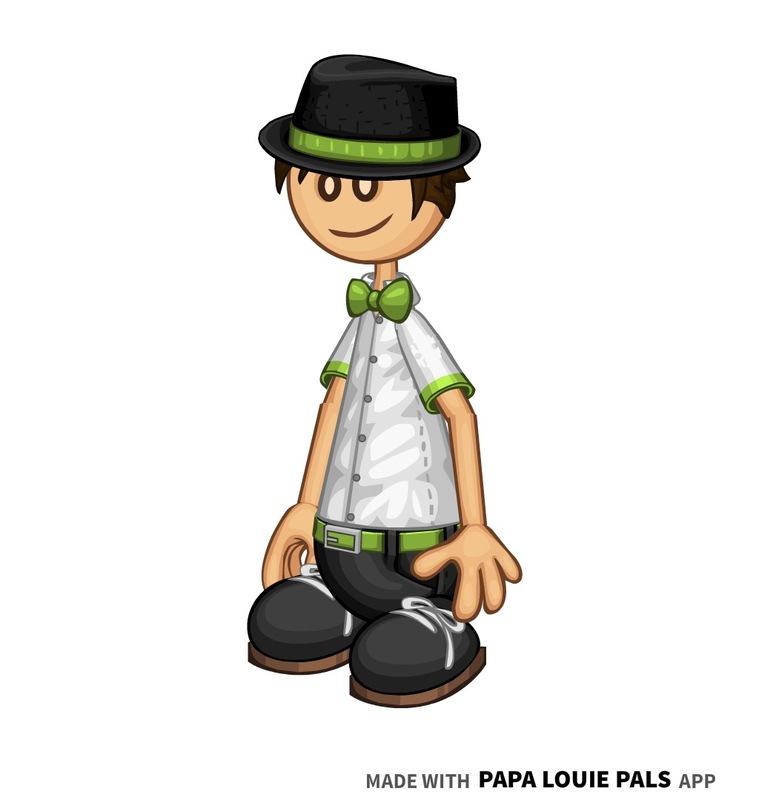 He was bullied all throughout elementary and middle school for no fitting in with the friend groups in his class. After years of crying, loneliness, and prayer, Davis received a camera for Christmas. 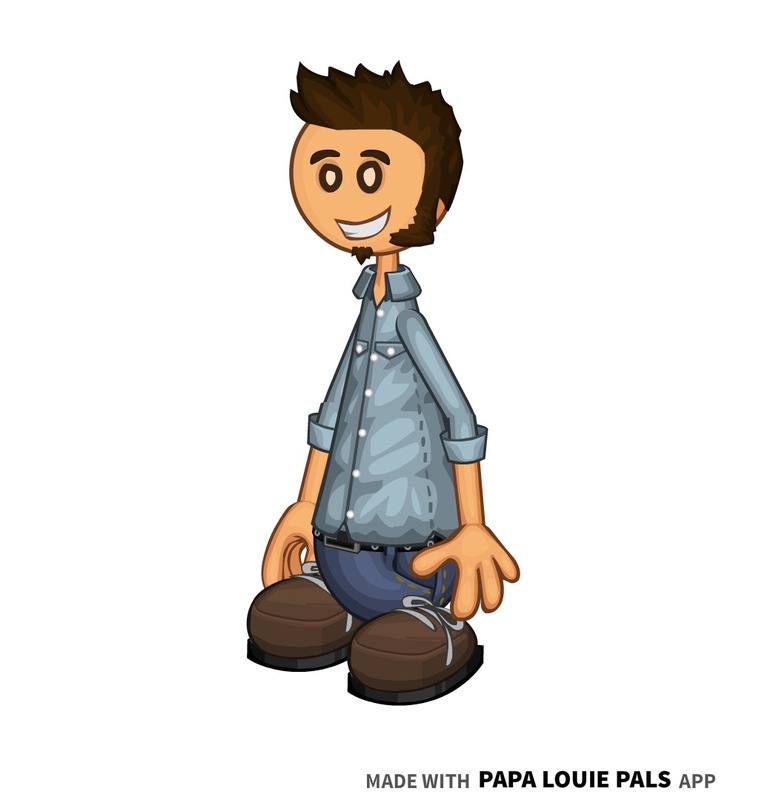 When he learned to drive, he drove himself to some of the most beautiful places in the Flipverse, such as the top of Maple Mountain, and the beautiful rivers of Sakura Bay. 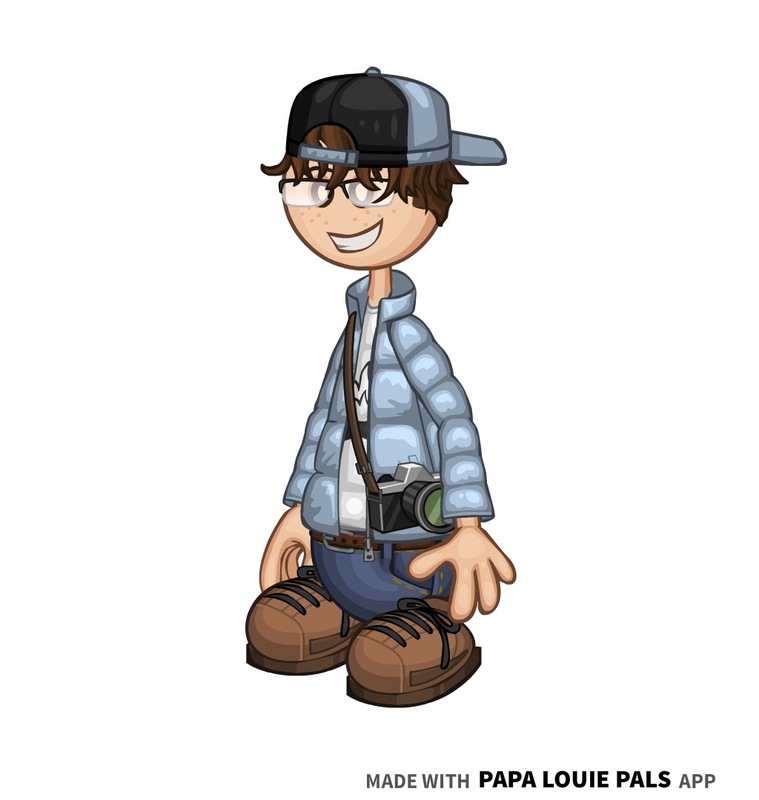 Photography was a form of escapism for Davis, and although it didn't stop the bullying, it helped him become more confident. Davis also sketches, plays trombone, and helps his mother teach lessons in Sunday school. 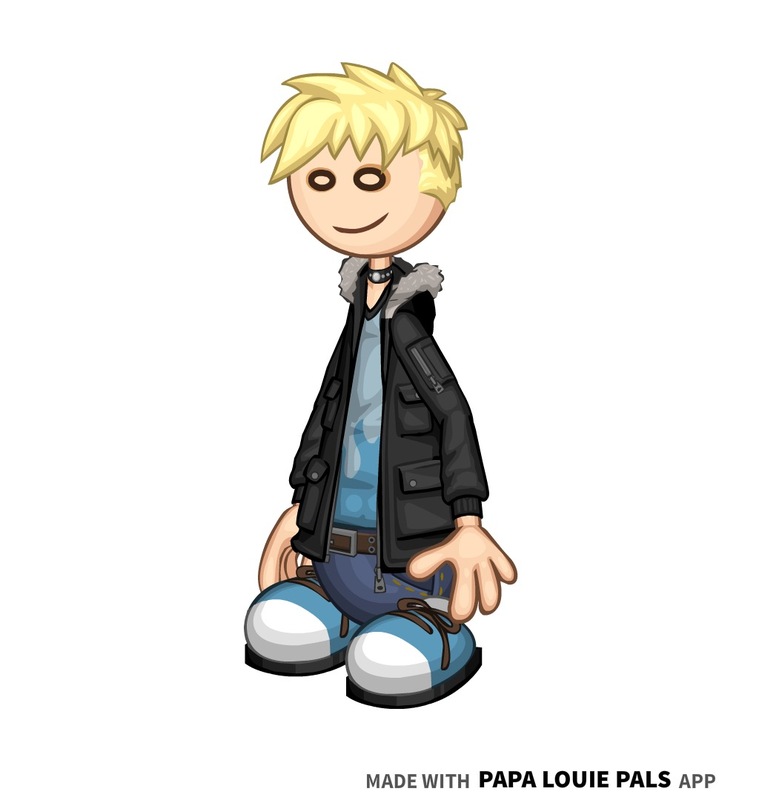 - Davis's old name was Gavin. 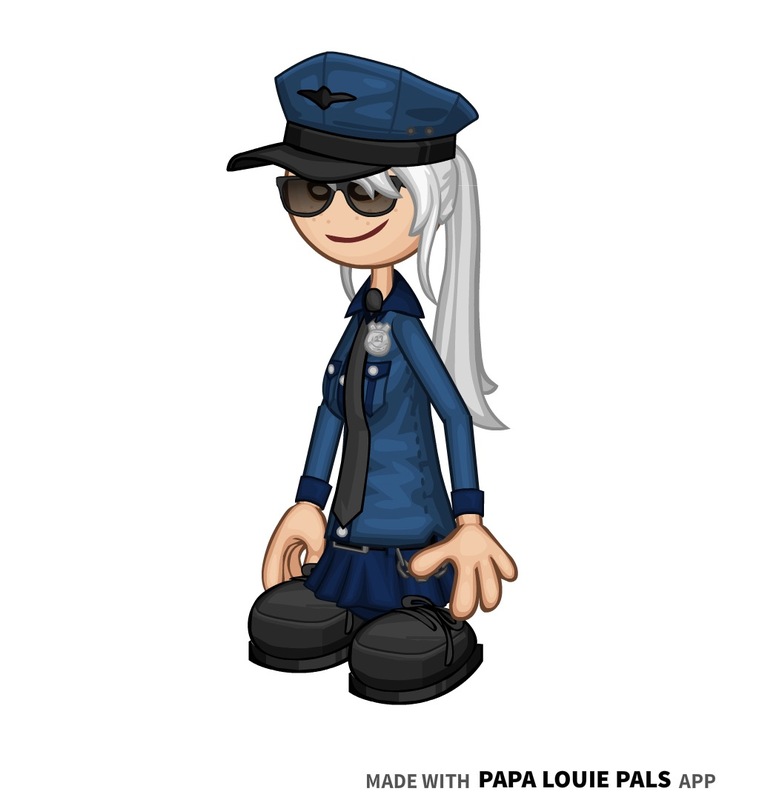 - Davis appeared in my Flipline: Escape the Night comic, as The Officer. 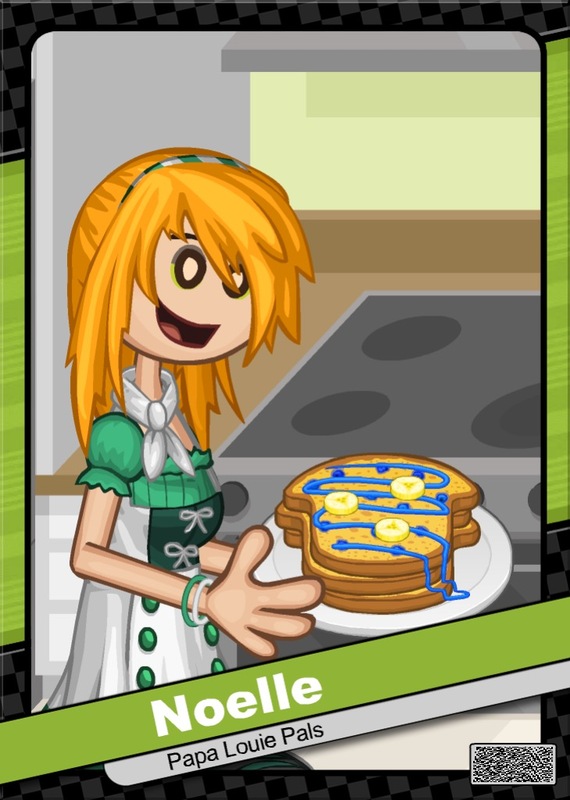 Flipdeck Info: Vivian is a friendly girl from Tastyville. 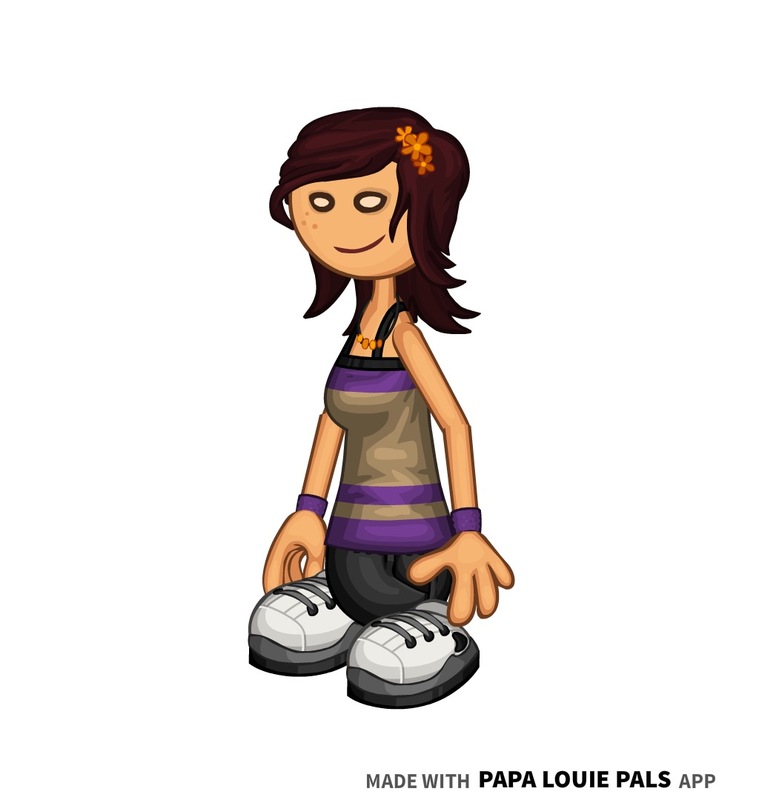 She seems like she would be shy, but is actualy one of the most social people in all of Tastyville High. She's known for remembering every name and face she meets in school, which some people find fascinating, while others find it a bit disturbing. In her free time, Vivian likes to paint with watercolors, and sketch beautiful pictures of nature. 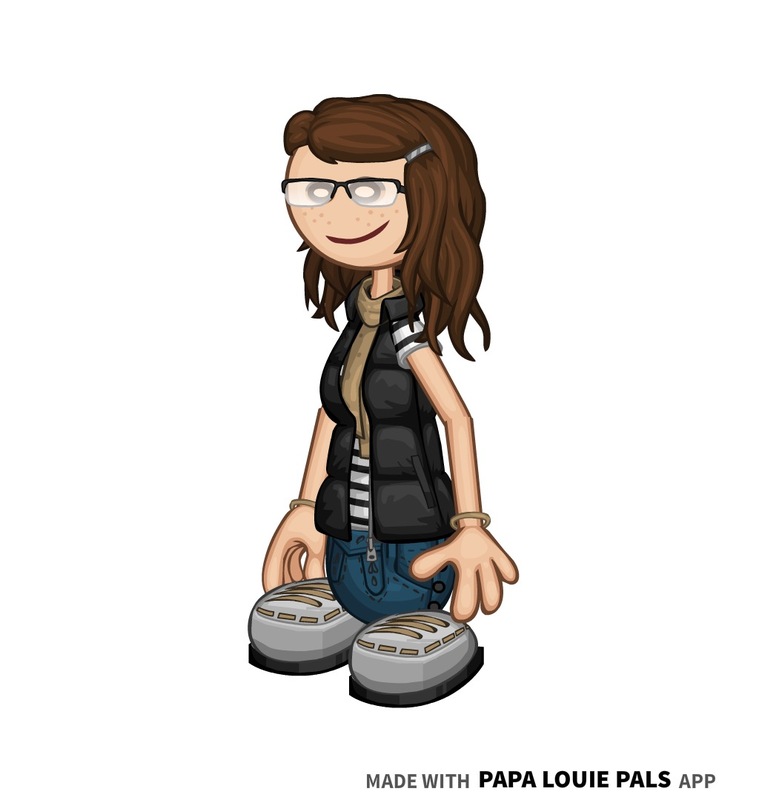 She is also a big fan of movies, and makes frequent visits to the Sugarplex Theater to check out the lastest action and comedy movies. Her best friend Bridget urged her to become a cheerleader, but Vivian said that she was just fine as a cheering fan from the bleachers. 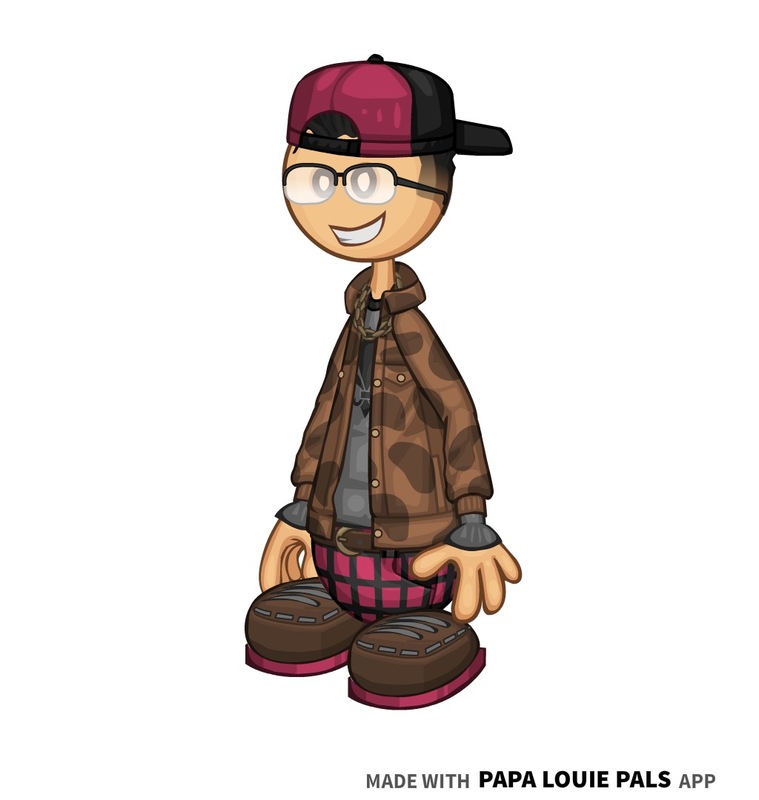 She is also good friends with her classmate Jay, who has a crush on Vivian but feels like he is stuck in the friend zone. 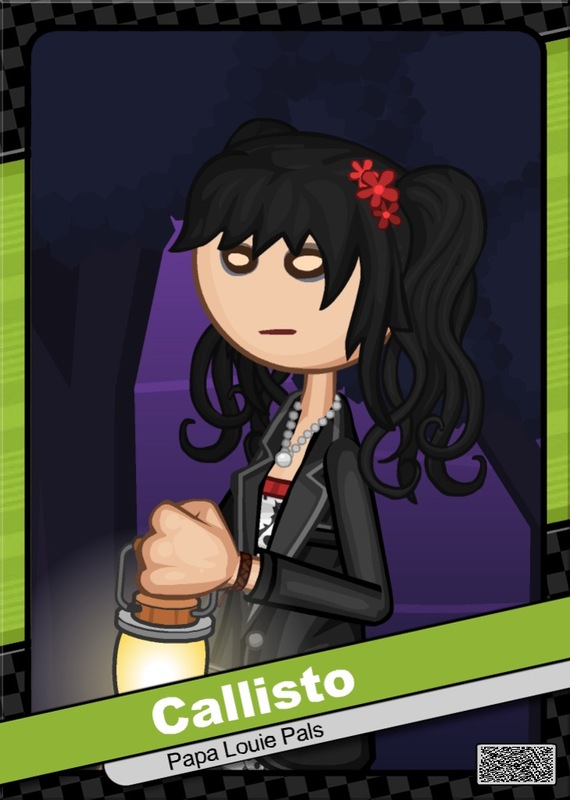 - Vivian appeared in my Flipline: Escape the Night comic, as The Actress. 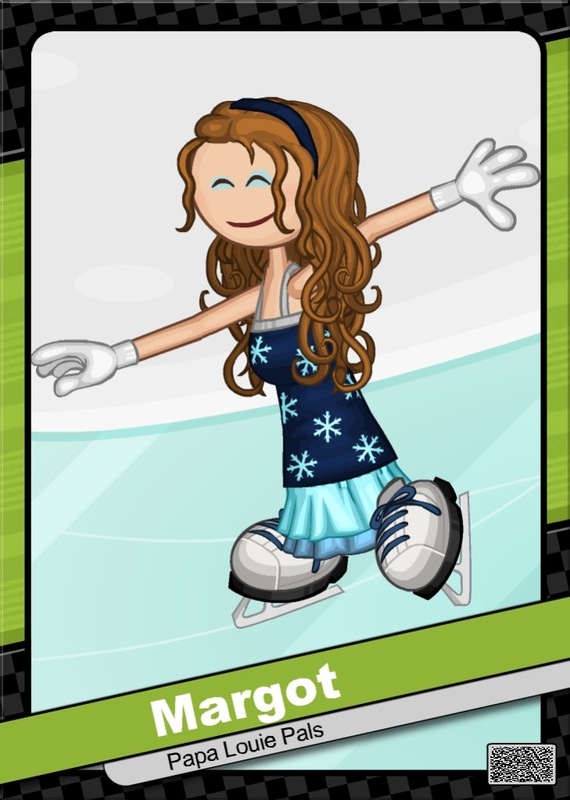 Flipdeck Info: Margot is a beautiful figure skater from Russia, who moved to Frostfield during her teenage years. Her graceful technique while performing has earned her the title, "The Russian Flower." She is a hopeless romantic who hopes that one day, she will find the perfect man for her. Margot believes this because this is what her mother told her when she was a little girl. She is no sore loser, and always congratulates her competition when they outrank her. Margot took ballet lessons as a child, which helped introduce her into the world of figure skating. 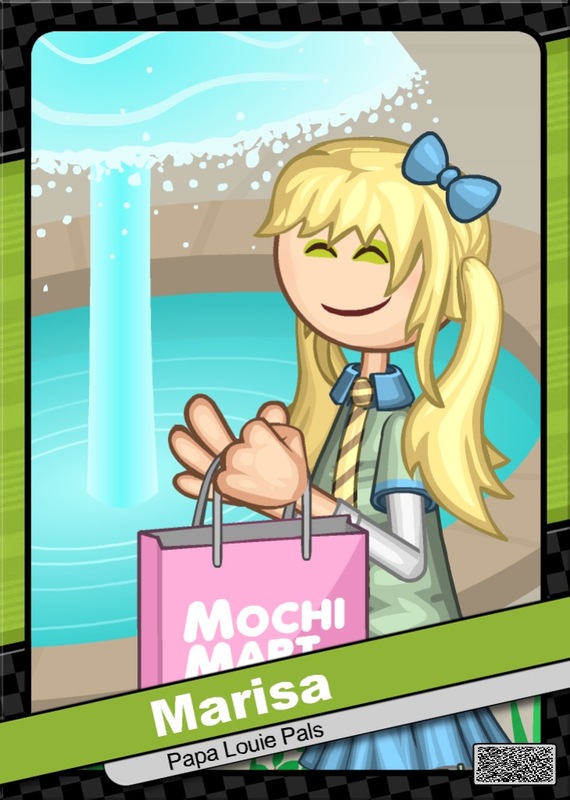 In her free time, Margot enjoys visiting Papa's Cupcakeria, and going to watch all the astounding plays and musicals Sakura Bay High performs. Flipdeck Info: Gervase Byers, or more famously known as Gervase, is a jazz singer who lives in a fancy mansion on the edge of Frostfield. 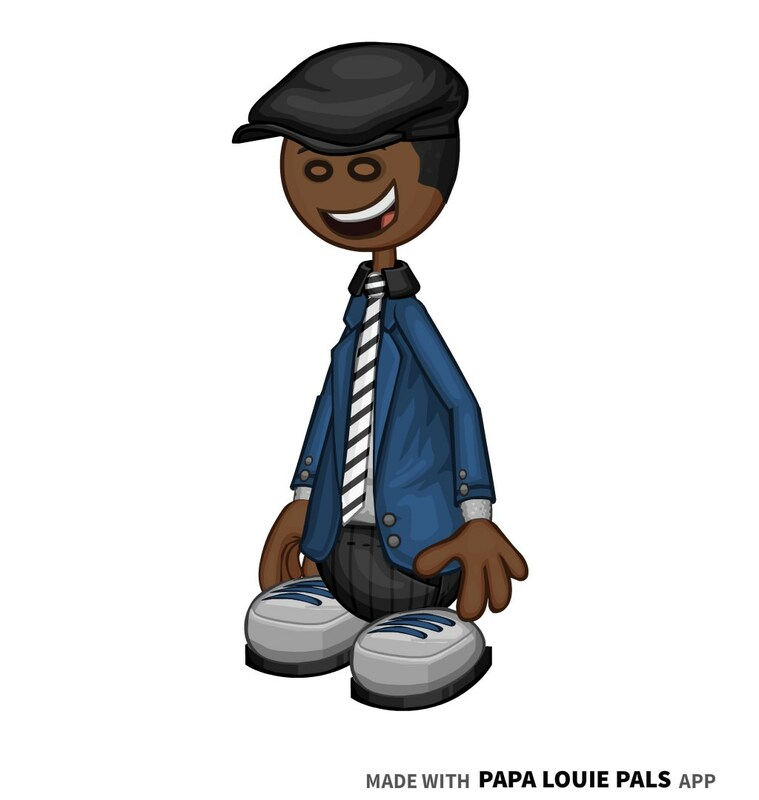 His fame began with singing roles in commercials, and then he was offered a record deal to become a jazz singer. Now, he travels all around the globe for world tours, and he always brings his wife Stephanie souvenirs from the most exotic countries. His most famous song is one he wrote for Christmas, called "Just To See You Smile (On Christmas)." 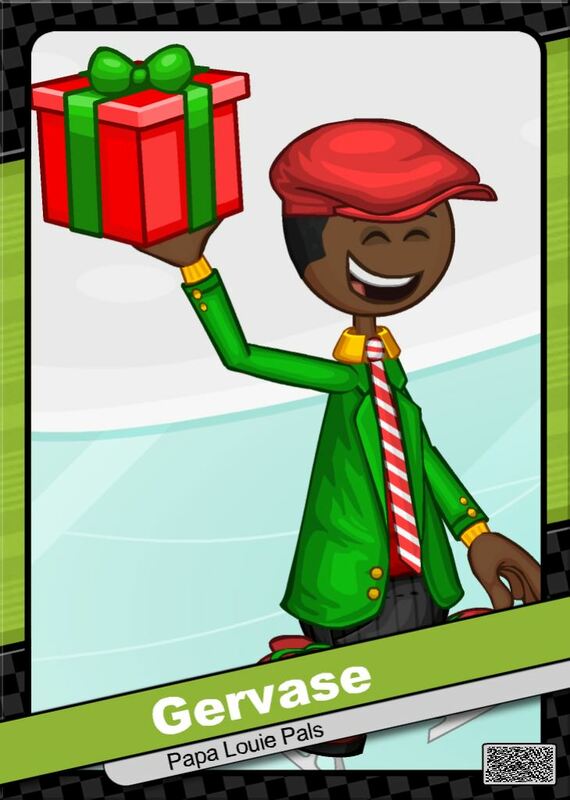 - Gervase's Flipdeck is meant to be an image from the music video for "Just To See You Smile (On Christmas)." 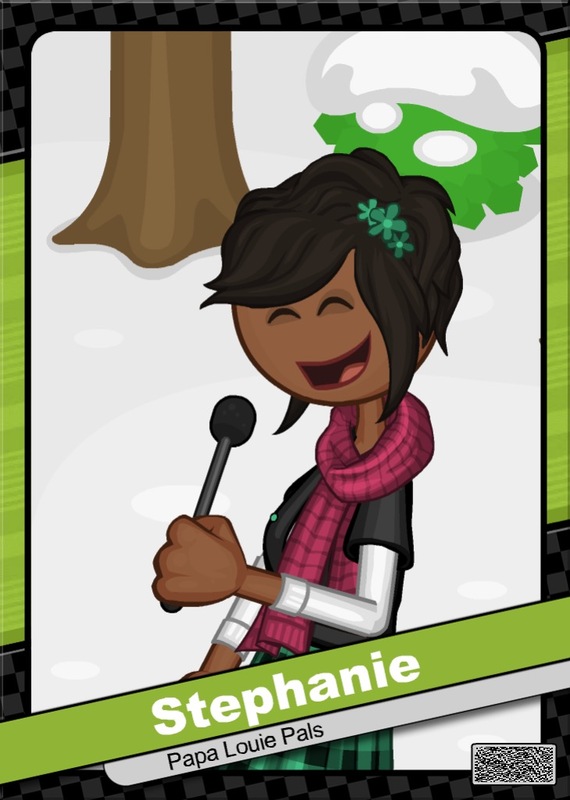 Flipdeck Info: Stephanie is a successful actress who lives in a large mansion in Frostfield, with her husband Gervase. 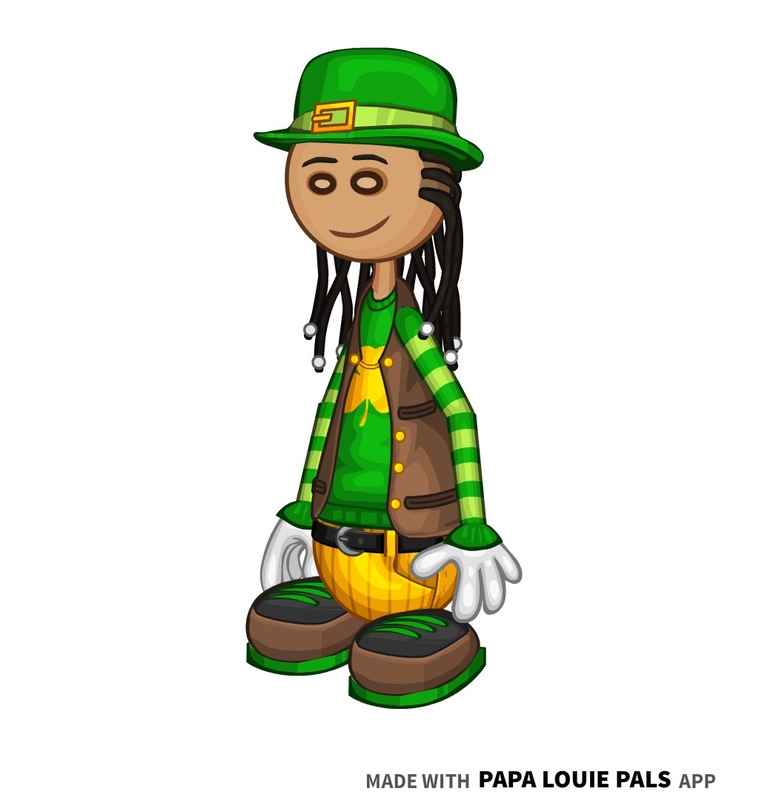 She grew up in Maple Mountain with her sister, Tori, but she never enjoyed the woodsy atmosphere. She hates all types of bugs and spiders, and always had nothing to do in the small log cabin she lived in. Once Stephanie got to high school, she joined the drama club, and got the lead role in both Once On This Island and The Wiz, the African-American rendition of The Wizard of Oz. When she graduated, she decided to go to the Frostfield School of the Arts to study theater, and after college, she decided to move to Frostfield since she fell in love with the small town. There, she met Gervase and the two celebrities became married. Stephanie has starred in several famous movies and musicals since. - Stephanie's Halloween costume was originally going to be Mrs. 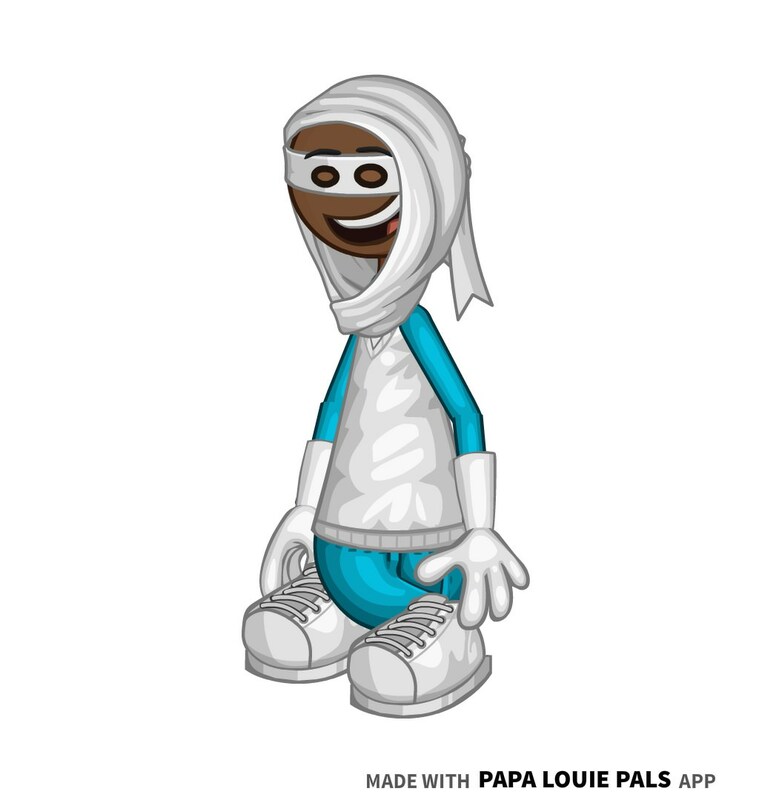 Incredible from The Incredibles to match with Gervase's Frozone costume, but I changed it because the clothing didn't look right. 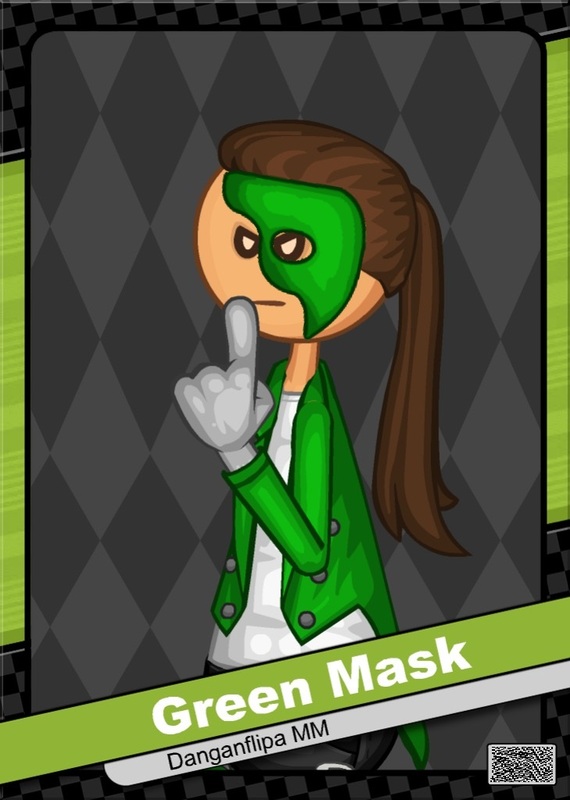 Flipdeck Info: Green Mask is certainly a mystery. 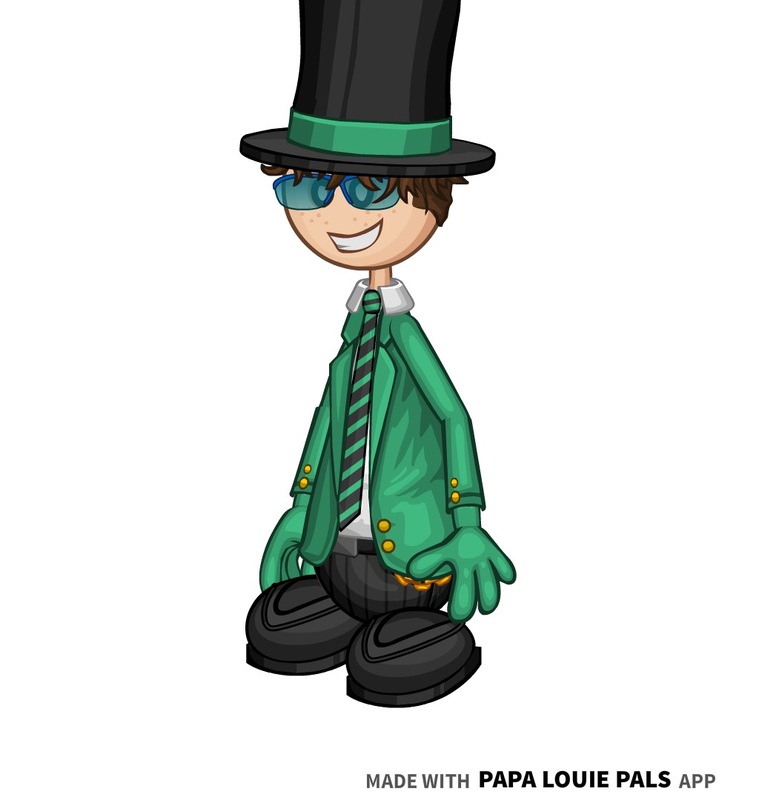 He refuses to tell anyone his true name, or anything about himself, so he goes by the alias, "Green Mask" because of his absurd mask that covers half of his face. 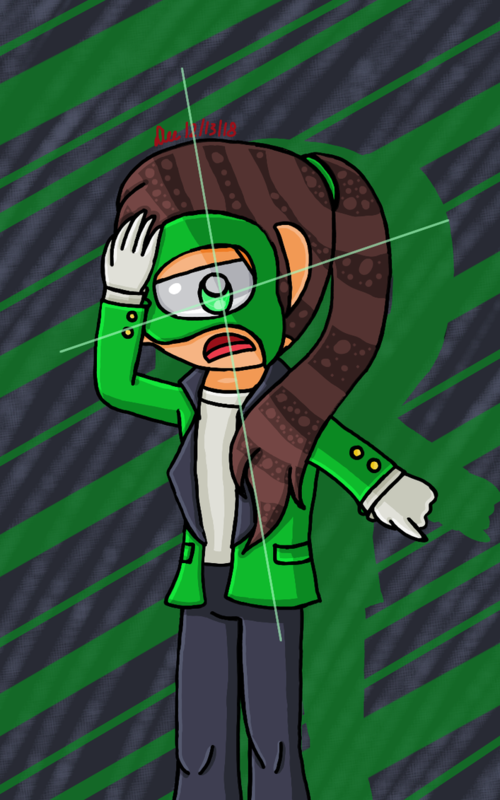 Despite what you may be thinking, Green Mask is actually quite helpful, as long as he isn't in one of his moods. He is very intelligent, mature, but he can also be passive when overwhelmed or shocked. 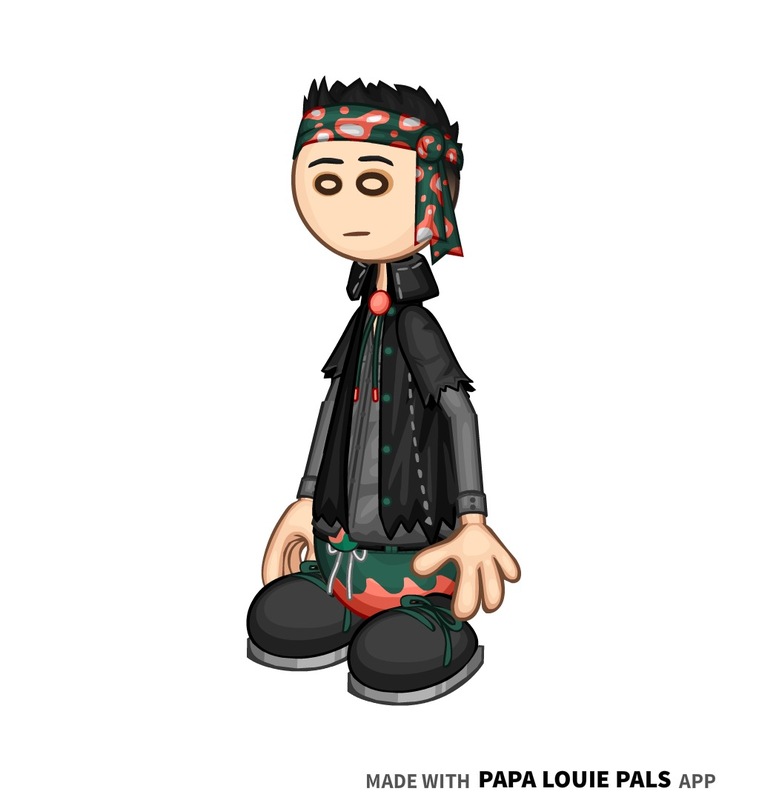 Green Mask seems to have a liking to Asian culture, including art, music, fashion, history, and most of all, food. He visits Papa's Sushiria every week, and is extremely picky thanks to his high standards for Asian food. 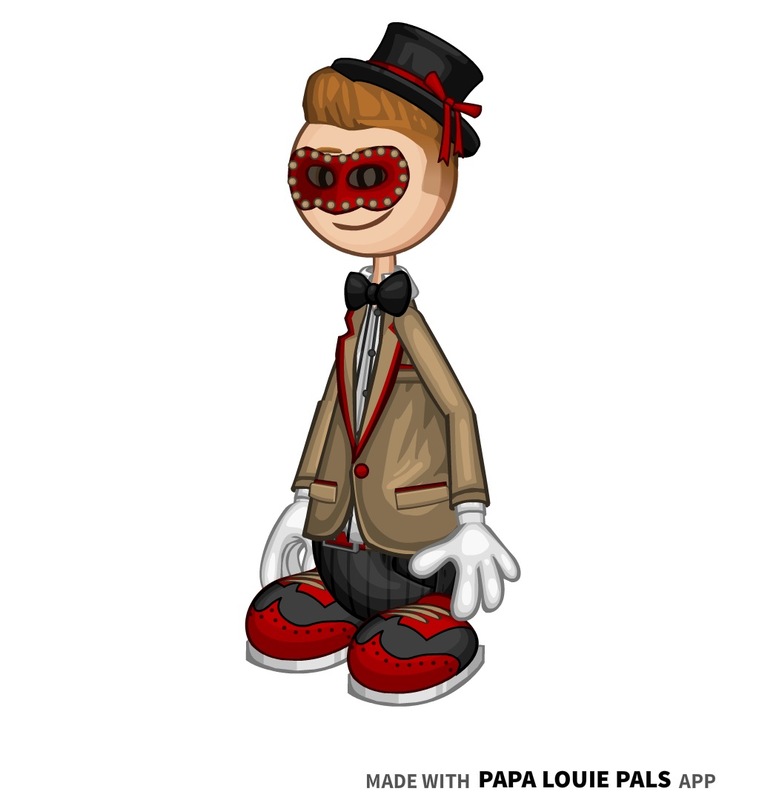 - Both of Green Mask's outfits are a reference to the Phantom of the Opera. 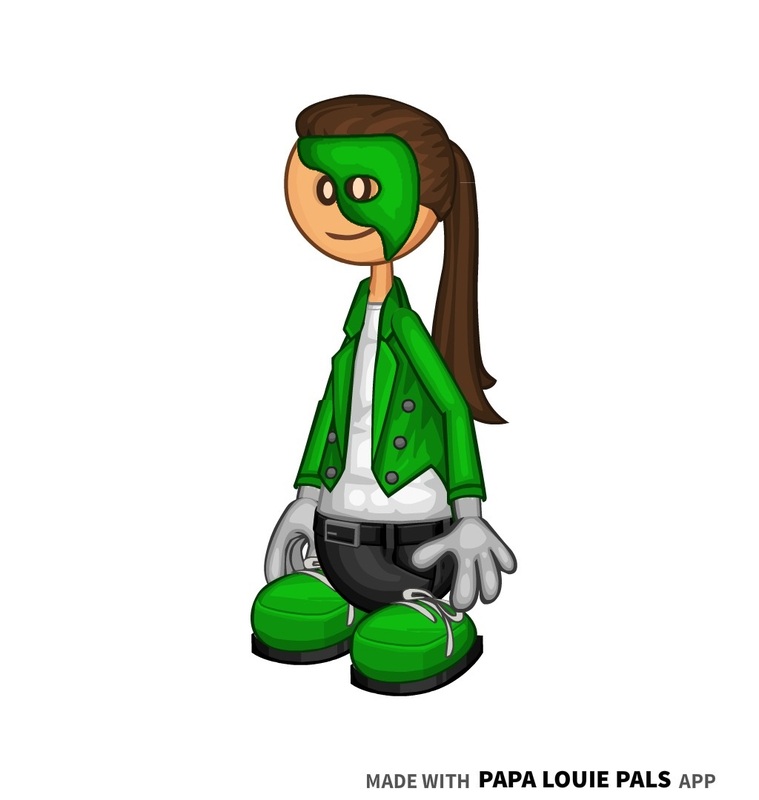 - Green Mask appears in my fanfiction on the Flipline Wiki, "Danganflipa MM." 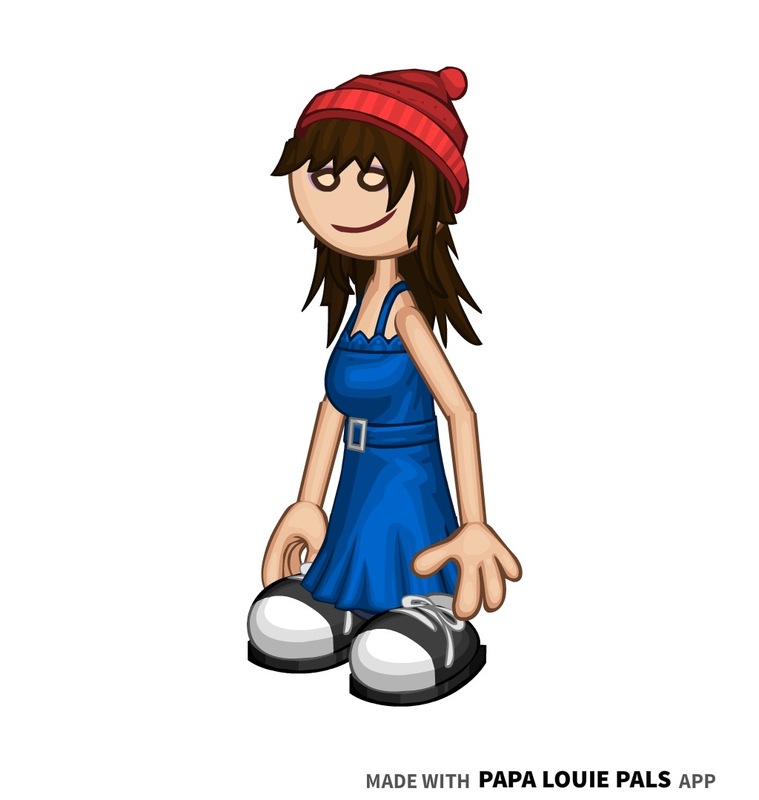 Flipdeck Info: Dove is a shy young woman who lives in a small house. She didn't grow up with much, but she counted her blessings by appreciating the beautiful scenery around her that is Sakura Bay. 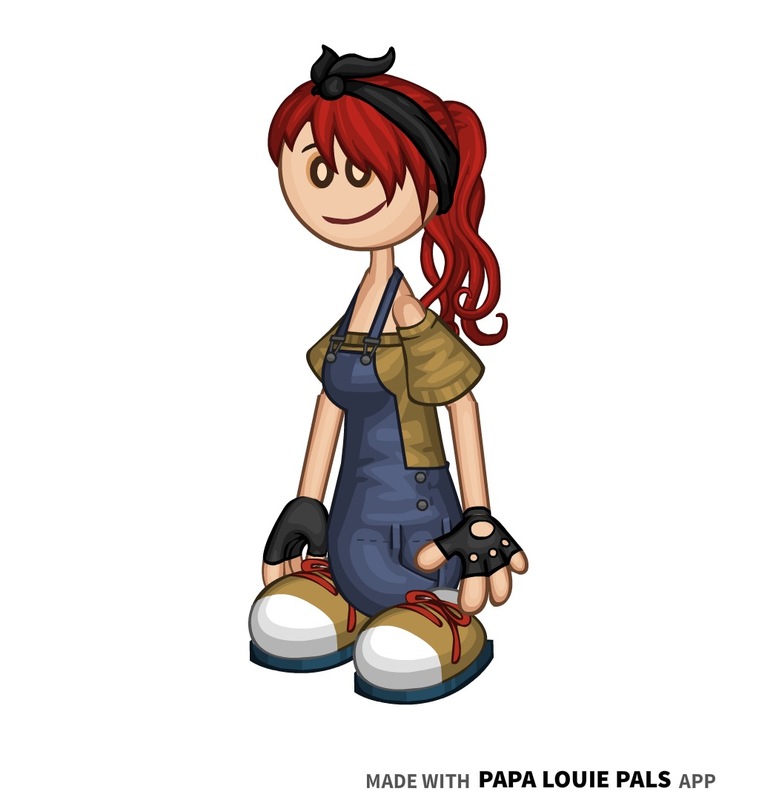 She found a love for sewing at a young age, and continues sewing small plush dolls and costumes to this day. Dove is also a pretty big geek. She loves online gaming, watching whatever anime is popular at the moment. She met a young programmer named Trent at Whiskview Mall, and the two have been going out ever since. 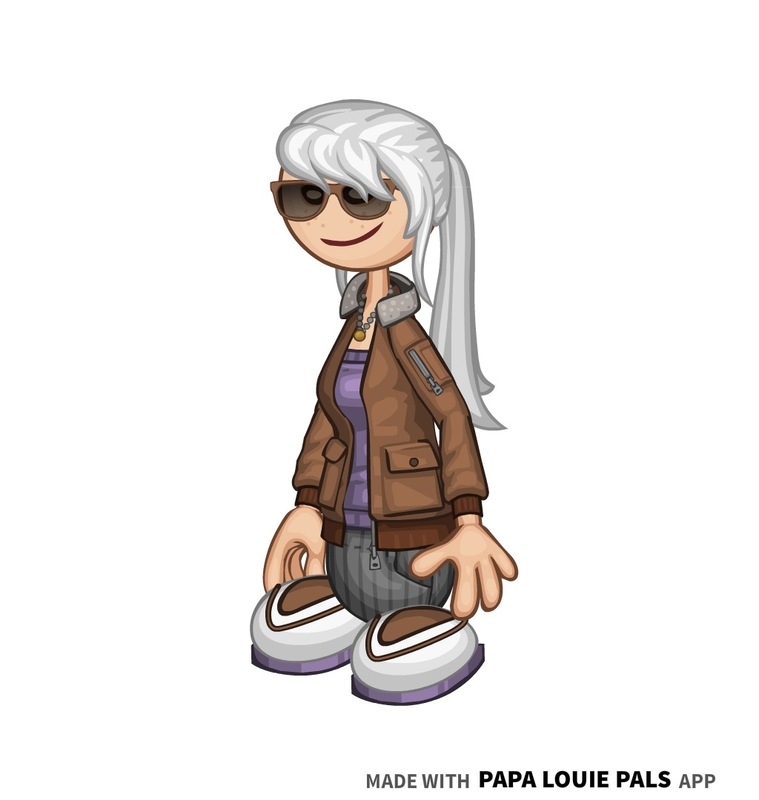 - Dove's real hair color is dark brown, but she dyed it white because of her name. 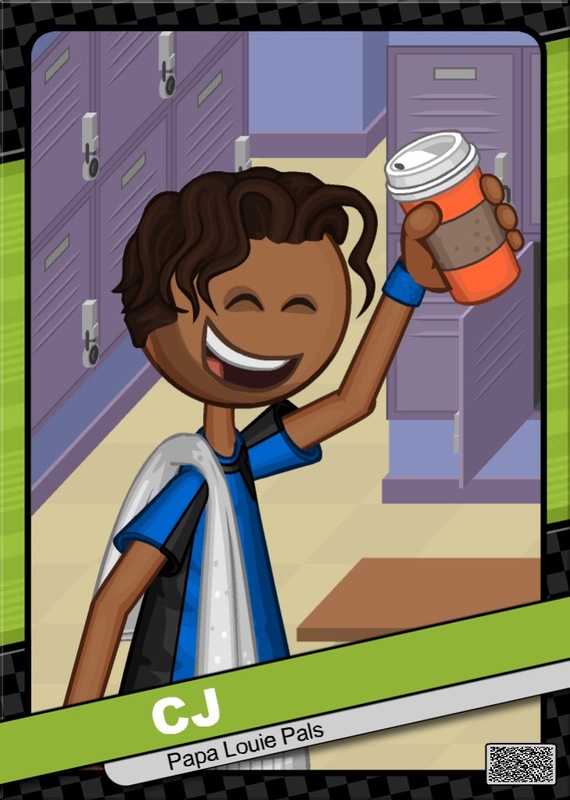 Flipdeck Info: Hamilton is a bright young man who has been a promising star for all of his life. Starting out as an actor and dancer in grade school, Hamilton found a love for the spotlight, and this love led him to try magic tricks. As his focus shifted from acting to magic, Hamilton felt like acting was behind him, so he gave it up entirely. 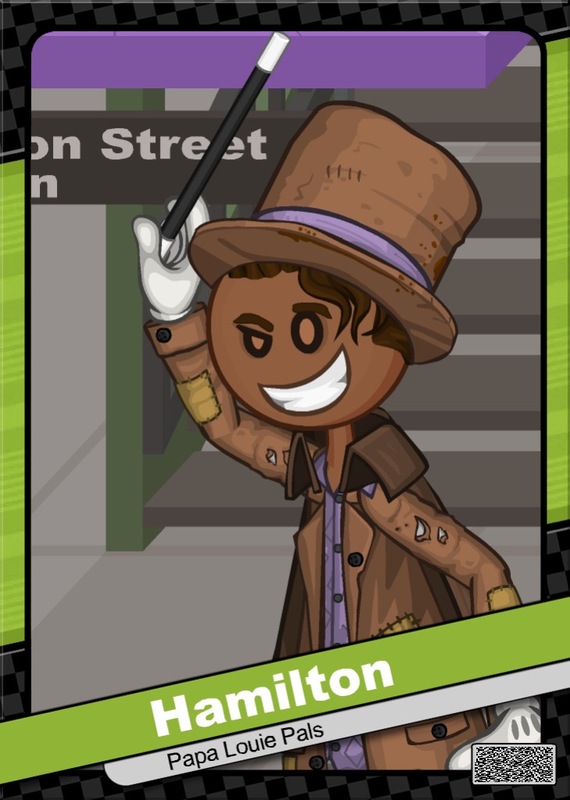 After struggling to graduate, Hamilton became a street performer in Oniontown so he could pay to stay in an apartment. As fate would have it, he caught the attention of two big-name performers: Edy and Dmitri. They gave him an offer to become their partner and perform with them. Since it had great pay, Hamilton accepted, and the group known as Troupe Cadabra was born. Hamilton finally had enough money to pay to stay in an apartment, where he lets his brother CJ stay with him after their parents divorced. 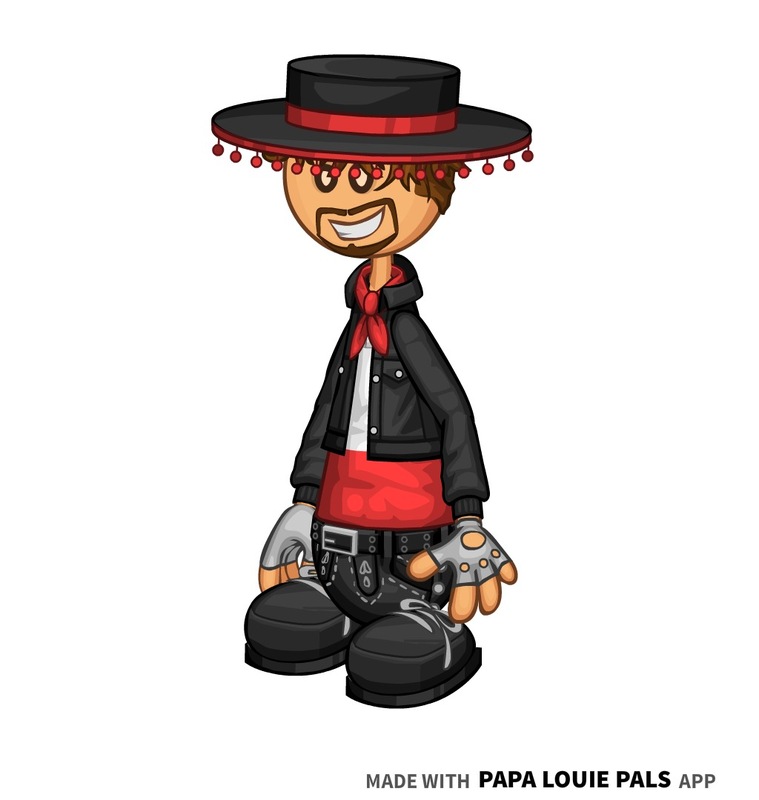 - Hamilton uses August's old Style B as his own Style B, with a couple changes to his design such as his hat, jacket, and gloves. 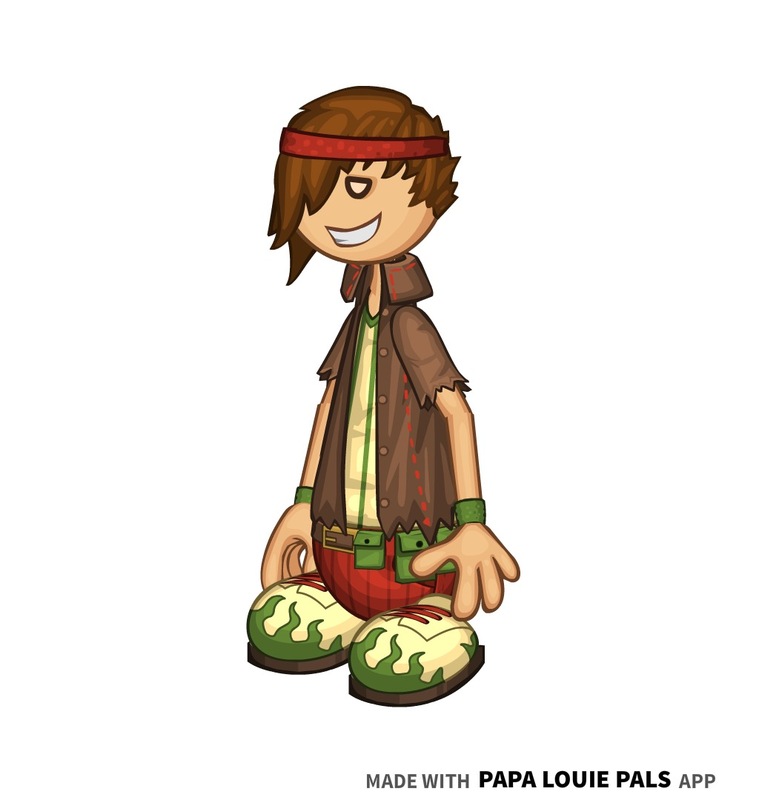 Flipdeck Info: Noelle is never seen without her twin brother Dasher by her side. Ever since they learned to speak, the duo have been the best of friends and rarely ever fight. She looks and acts much younger than she is, and stands out among the rest of her fellow high schoolers because of her head always in the clouds. 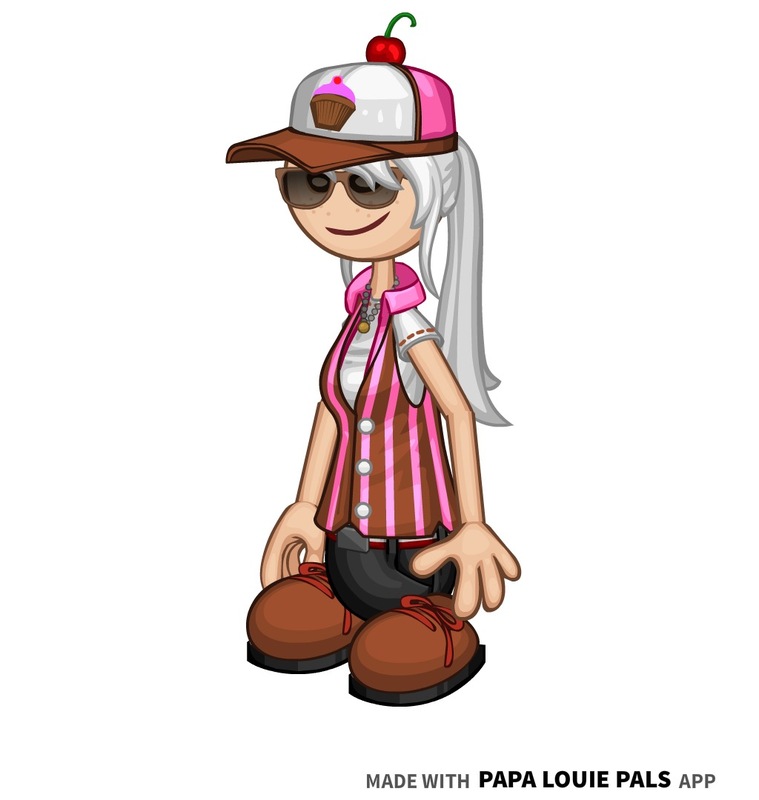 Noelle was always a bigger sugar fan than Dasher, and when she got older, her love shifted from eating food to making it. 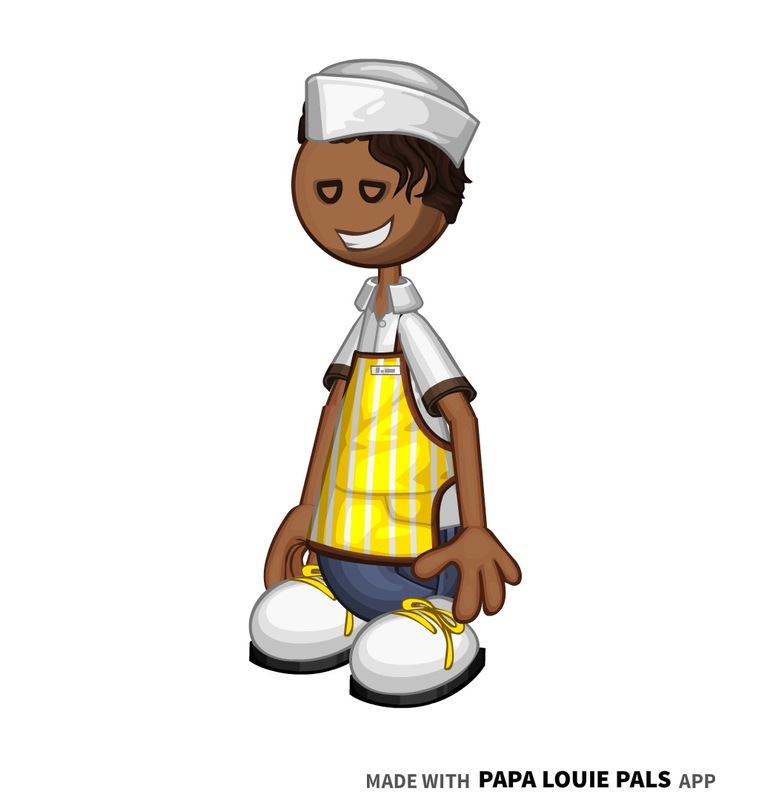 After graduating high school, Noelle plans to go to cooking school instead of college, and has dreams of being hired by Papa Louie himself for one of his "sweet" restaurants. - Noelle was created so I could have two Christmas-themed FCs; the other one being her twin brother Dasher. 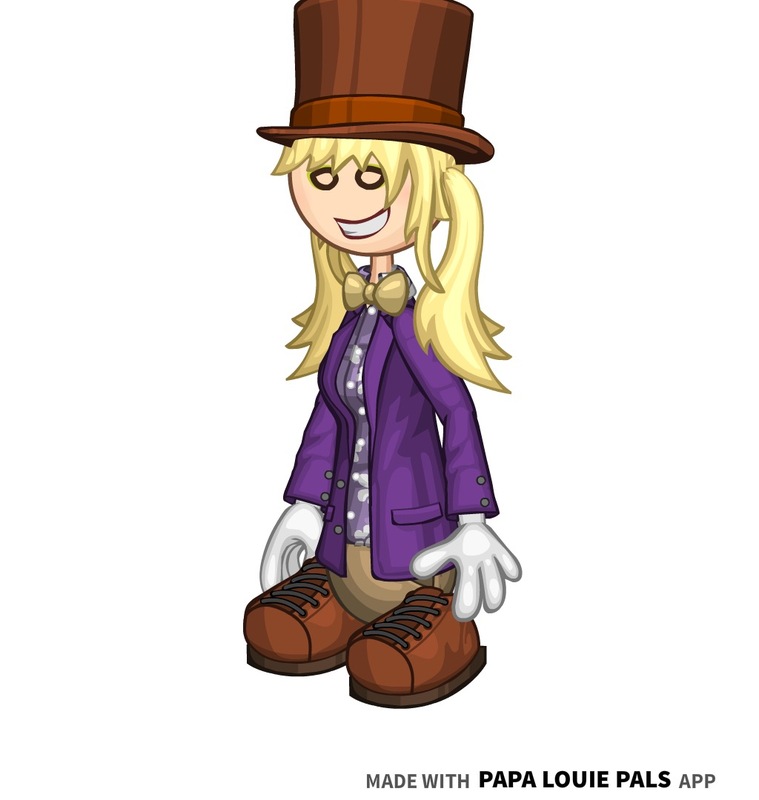 Flipdeck Info: With two doctors as parents, Marisa is one of the most spoiled girls in Whiskview, and possibly the Flipverse! She's not a spoiled brat, though... she has good intentions and can be a good friend to those around her. Since her parents are always so busy, Marisa has a lot of alone time. When she gets bored, she gets one of her father's butlers to drive her to Whiskview Mall to go shopping. Everyone who works at the mall knows who Marisa is, and is apparently okay with her spending large amounts of money all by herself. The van Haverland's butlers fix delicious one-of-a-kind meals, but when she is tired of home-cooked food, Papa's restaurants are always Marisa's first choice. 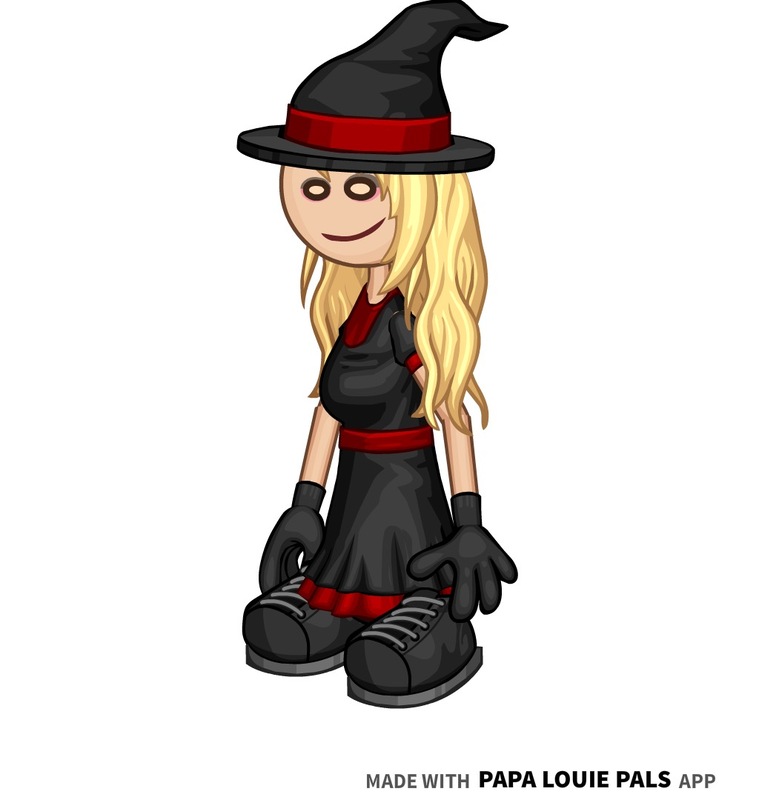 - Marisa is my youngest FC to date, at 9 years old. 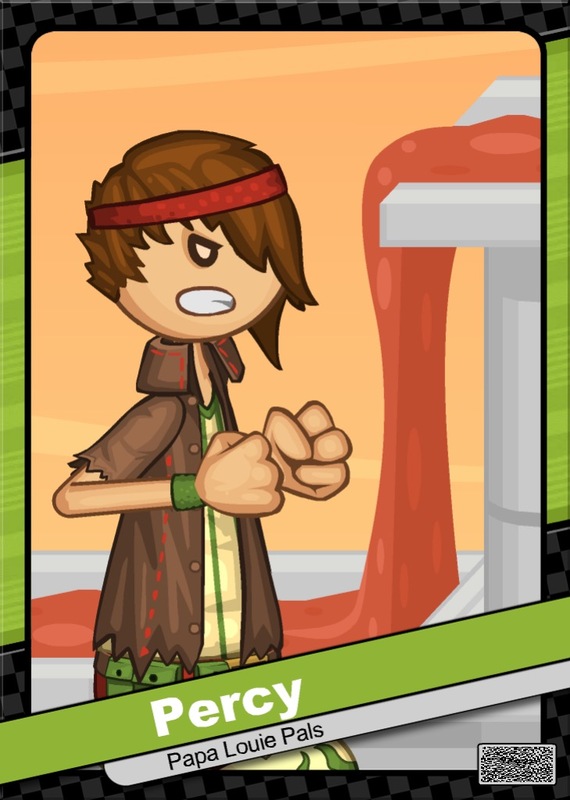 Flipdeck Info: Atlas is one of the most popular students to ever grace the halls of Tastyville High. 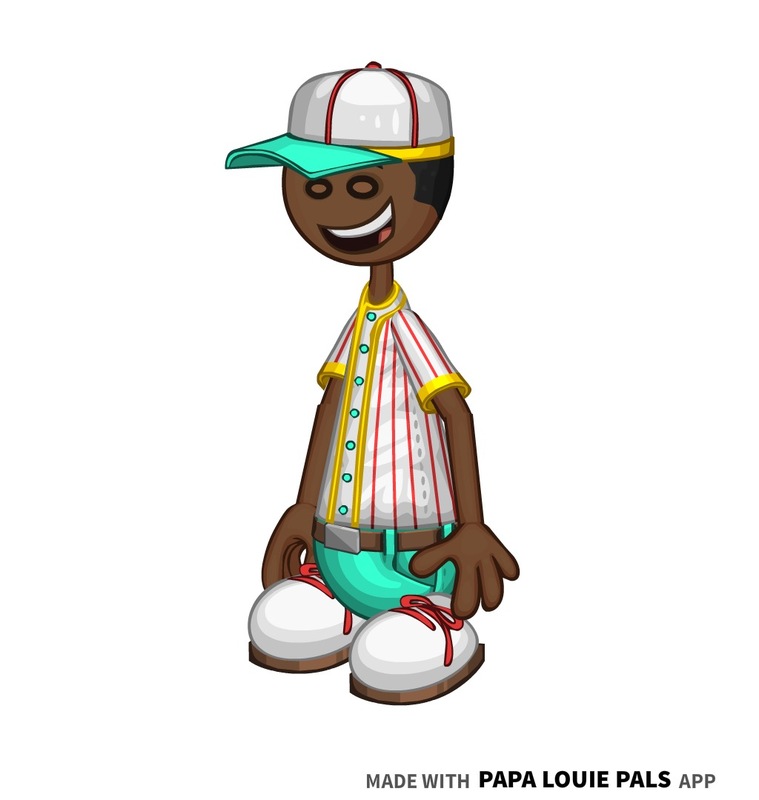 He's good at sports, academics, and even singing. 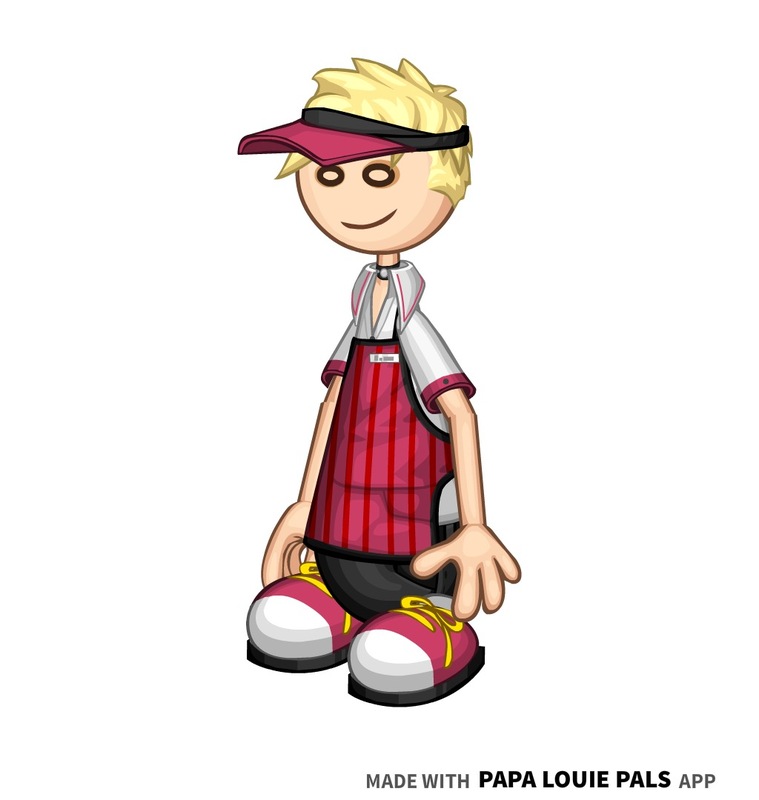 However, even with all of these talents, Atlas works as a busboy at a small, run-down seafood restaurant on the edge of Tastyville. Atlas actually enjoys his job, since he gets to smell all the delicious seafood dishes being made in the kitchen as he works. Even if nobody else thinks so, Atlas enjoys this restaurant's food. When he's not working, Atlas is usually shooting hoops with friends, taking extensive naps, and throwing wild parties for his classmates every Saturday. Atlas isn't sure what he wants to do with his life after he graduates high school, but for now, he just wants to live in the moment and enjoy life while he's still young. 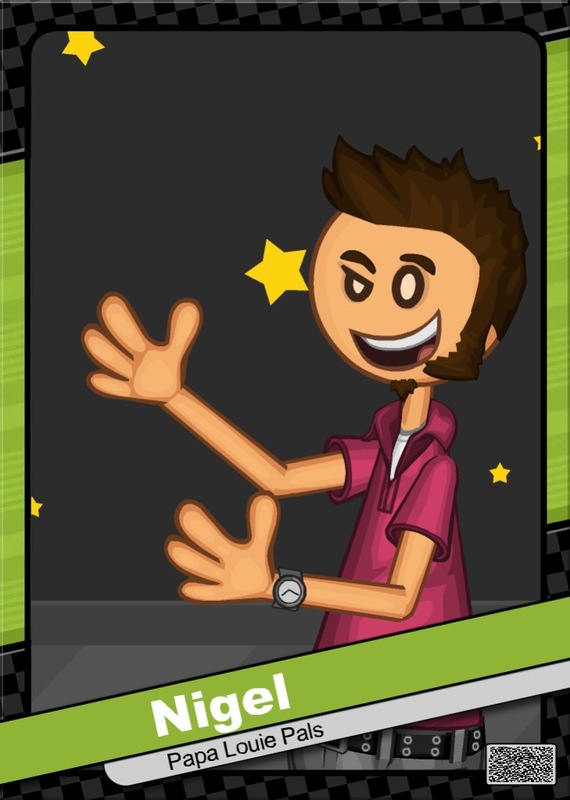 Flipdeck Info: Jerome is and has always been the class clown type, even outside of school. Growing up, Jerome did have some trouble with learning, which is why he was held back twice. However, he started his freshman year of high school optimistically. Jerome was born to two wealthy entrepreneurs, who wanted to fulfill his childhood dream of becoming a child model. 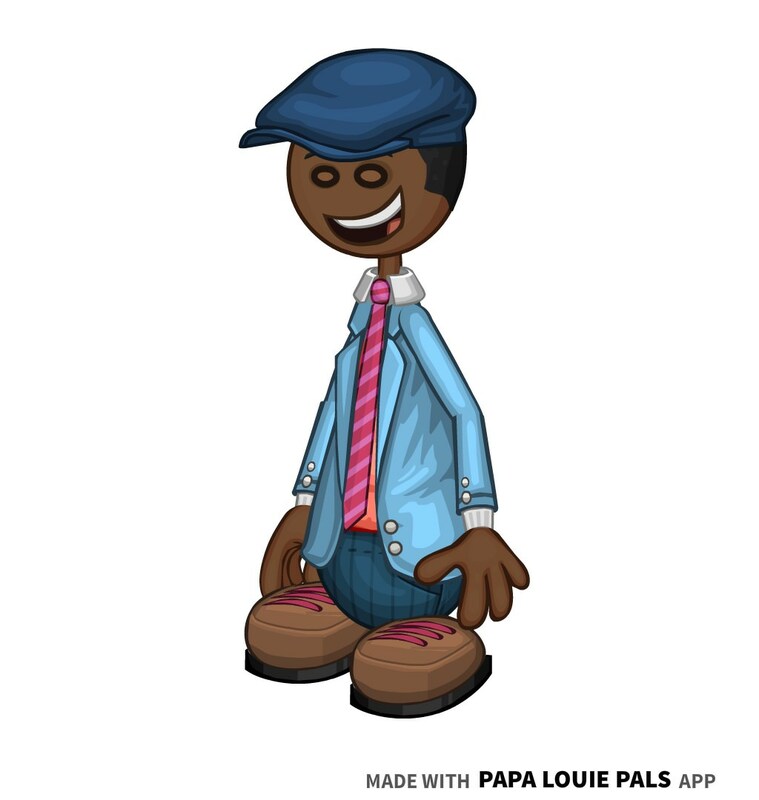 Ever since he was 6, Jerome has been featured in magazines and commercials for many back-to-school sales. 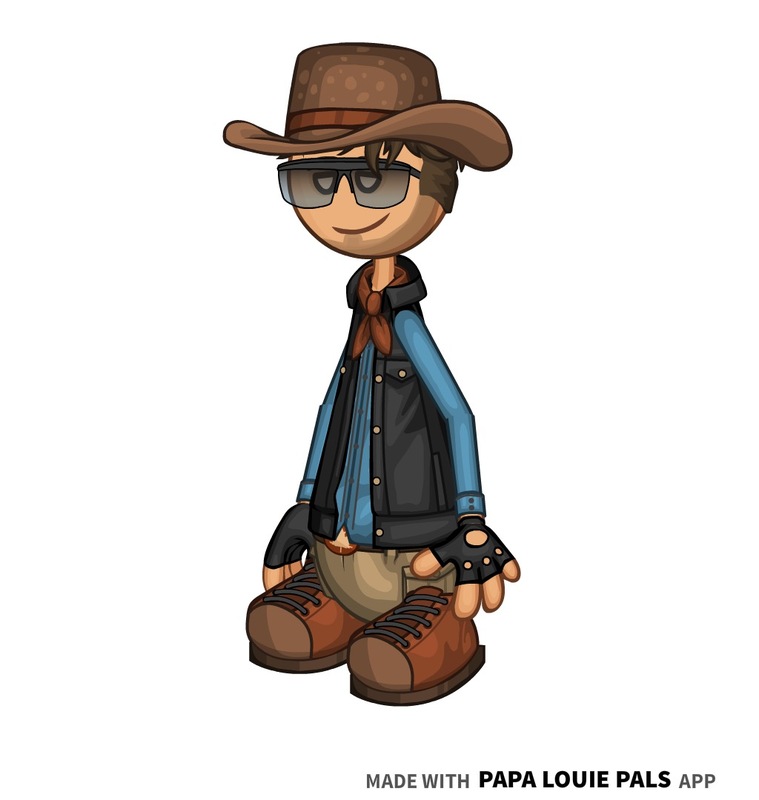 He is also fairly experienced in acting, and has participated in several of his middle school musicals as background characters. He makes sure to always eat healthy to maintain his appearance for the public, and by doing this, has found a strong love for Caesar salad. 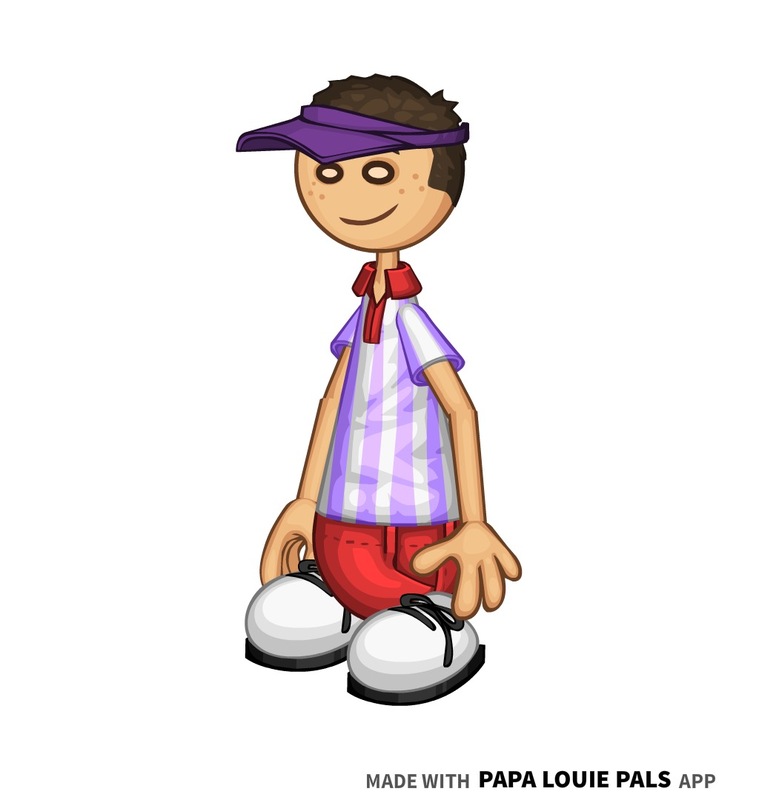 His parents even helped him petition for a Papa's Saladeria. - Jerome was originally going to be in college, but I made him younger to make him more unique. 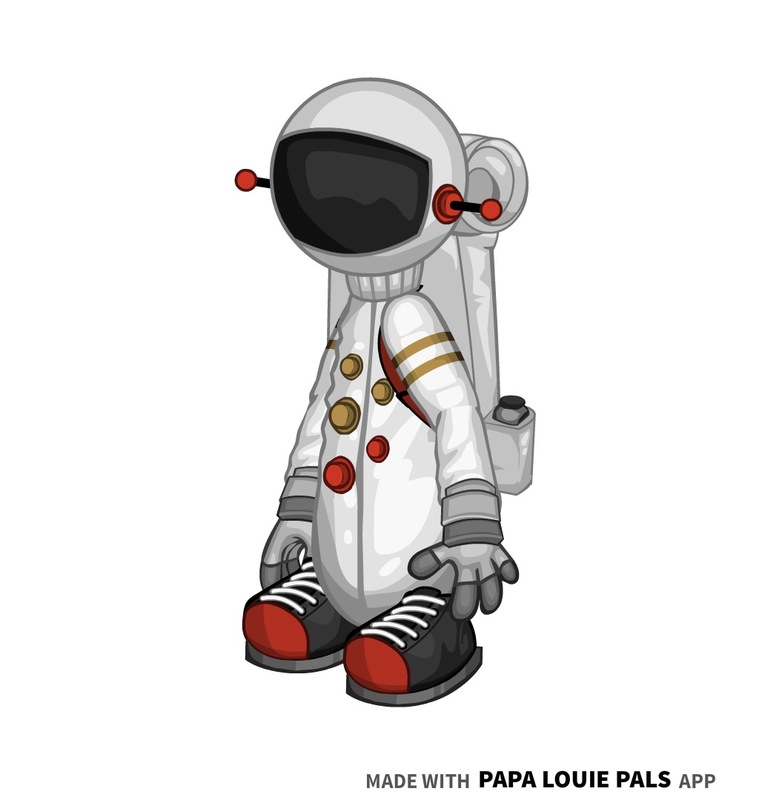 Flipdeck Info: Astro is a beloved DJ from Starlight City. He grew up listening to dance music from the 90's, and kept his love for it as he grew older. 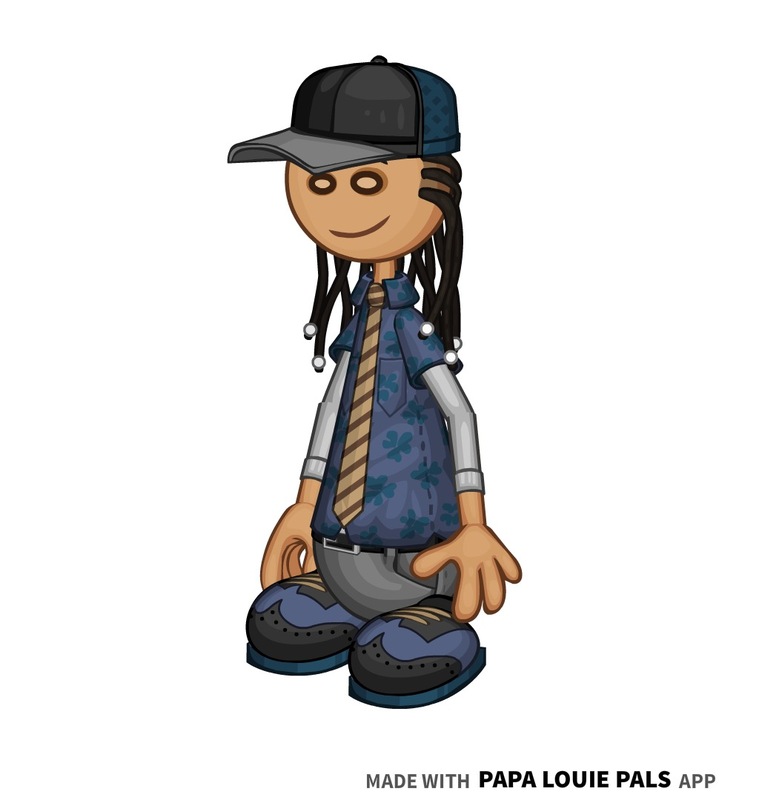 In fact, 90's music was his main inspiration for becoming a DJ. 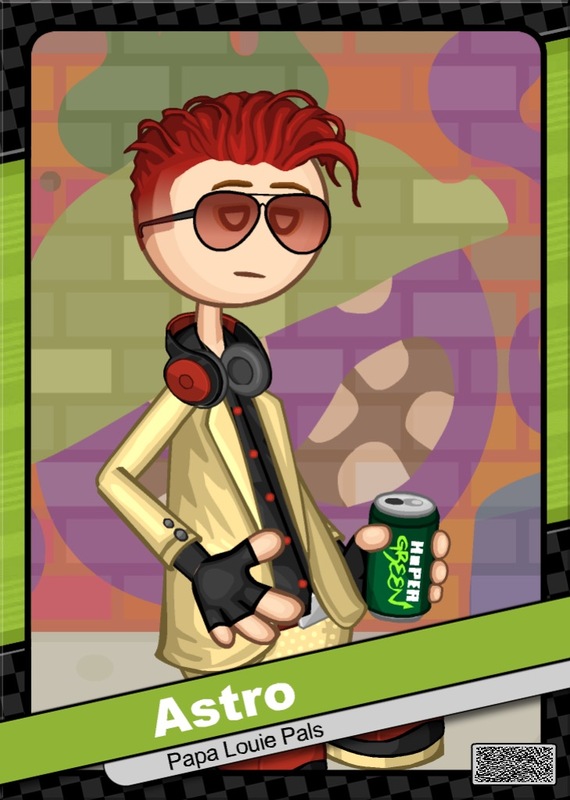 His stage name is DJ Hyper Red, because of his love for the cherry-flavored version of the popular energy drink, Hyper Green. 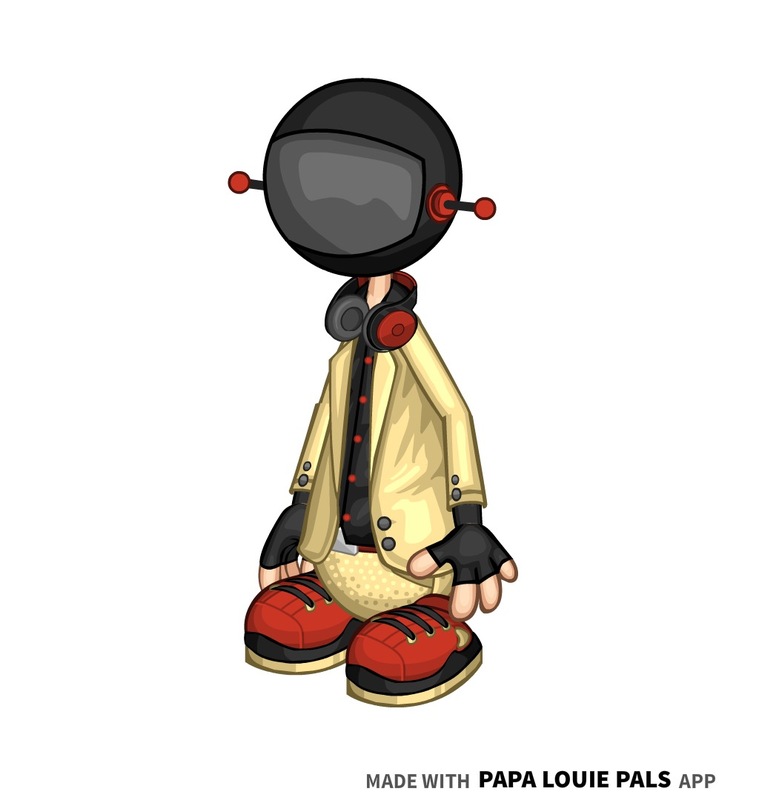 Astro is one of the most mysterious celebrities in the Flipverse, due to the fact that his stage persona never speaks, and nobody knows what Astro is really like behind the mask. He is rather reclusive, and lives by himself in a nice, futuristic-looking mansion on the shores of Starlight City. 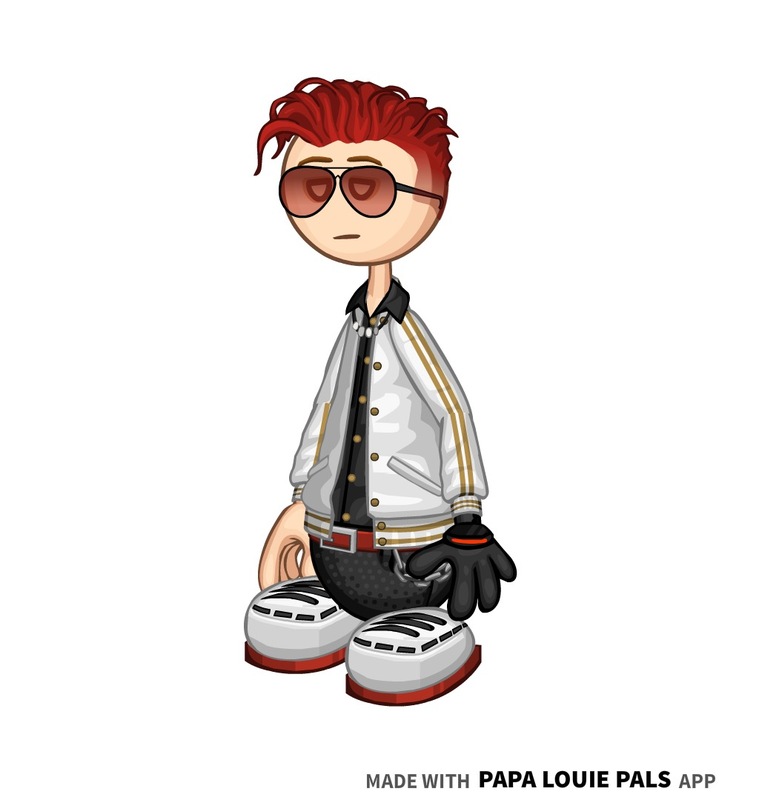 - Astro's hair color is actually red, and dyes it purple for his Comet Con outfit. - Astro is my first and only FC so far to have two Style B's. Flipdeck Info: Lyric Woodsman makes a living by leading a life as the infamous phantom thief, Black Feather. He lives by himself in a hidden house in forests of Tastyvile. 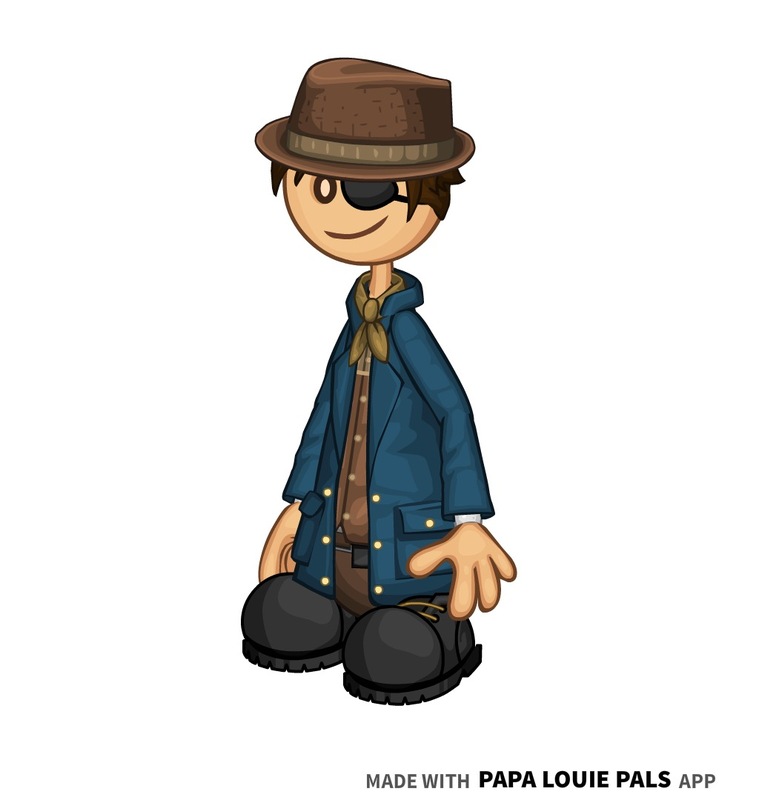 Lyric usually aims to steal money instead of artifacts or gems; that way, he can buy anything necessary to make himself seem like a normal civilian. 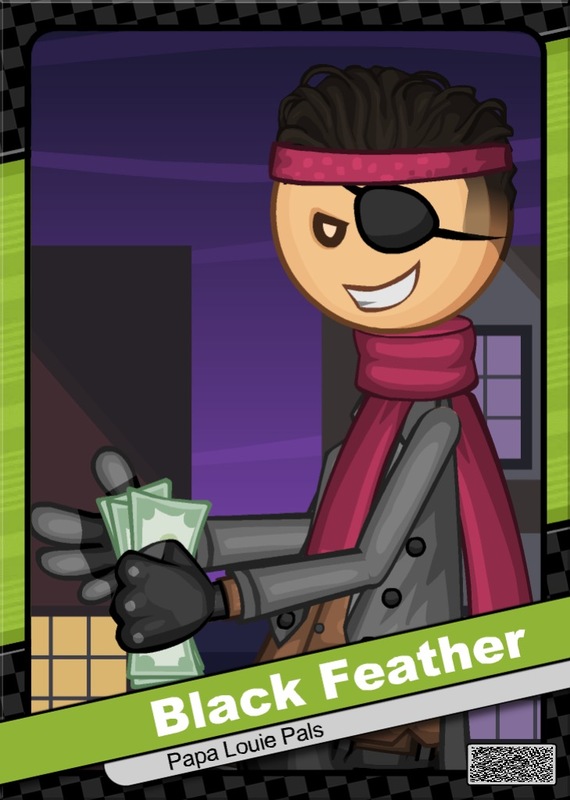 After his always-large yet swift heists, he leaves behind a raven's feather as a calling card, to let the world know that Black Feather has struck once again. This ritual of leaving behind feathers earned Black Feather his name. 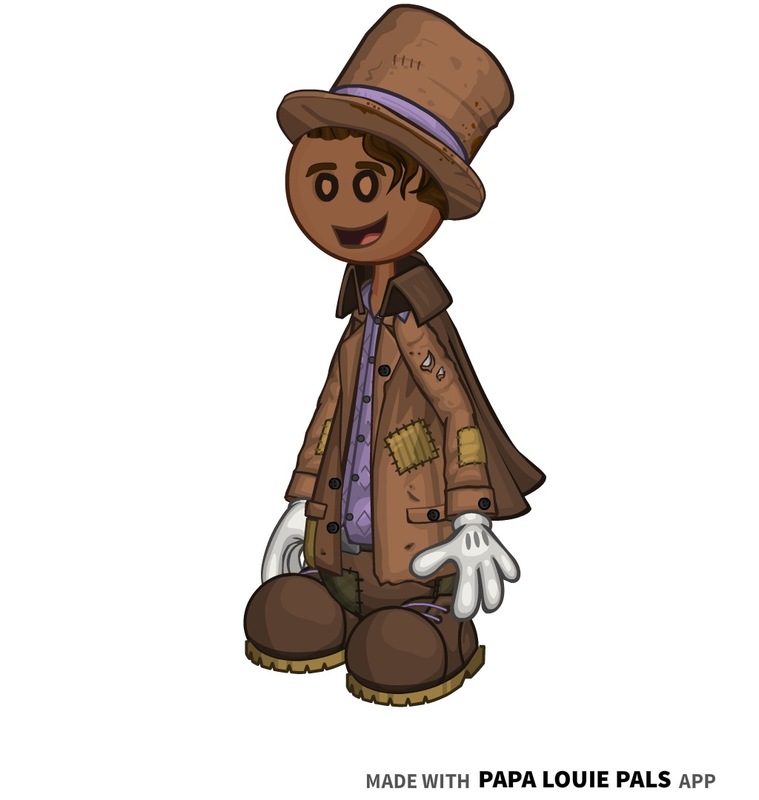 Lyric is a very crafty man, and hides his money and costume in an extremely unusual place in his house to avoid suspicion. 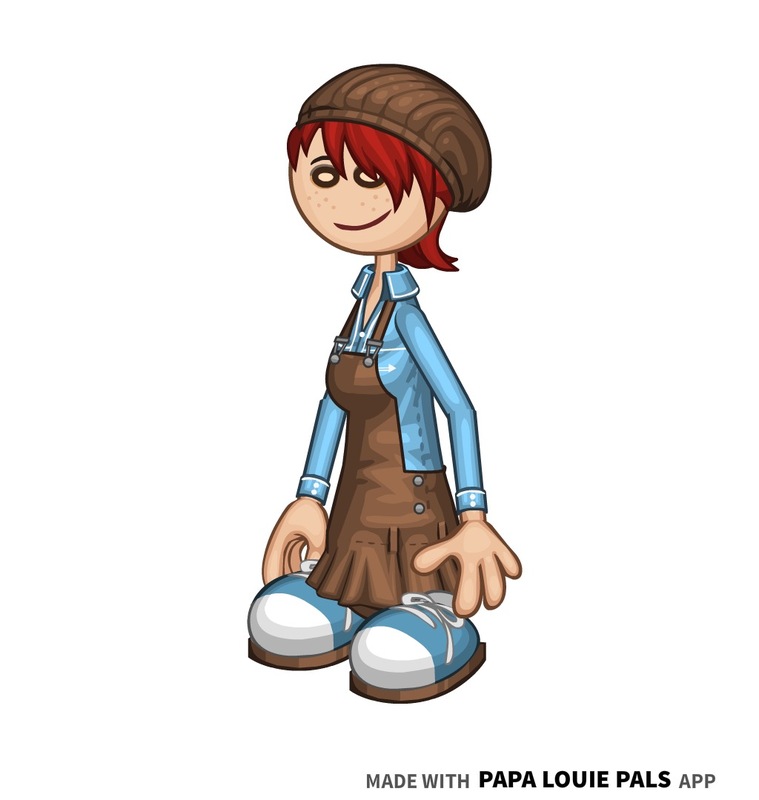 - So far, Black Feather is my only FC to have a Style C.
Flipdeck Info: Persimmon is a young woman trying to make a living as a cashier for the Oniontown Zoo gift shop. She applied for a summer job at the zoo at age 17, and after graduating college, she continued to work at the zoo because of its decent, above-average pay. 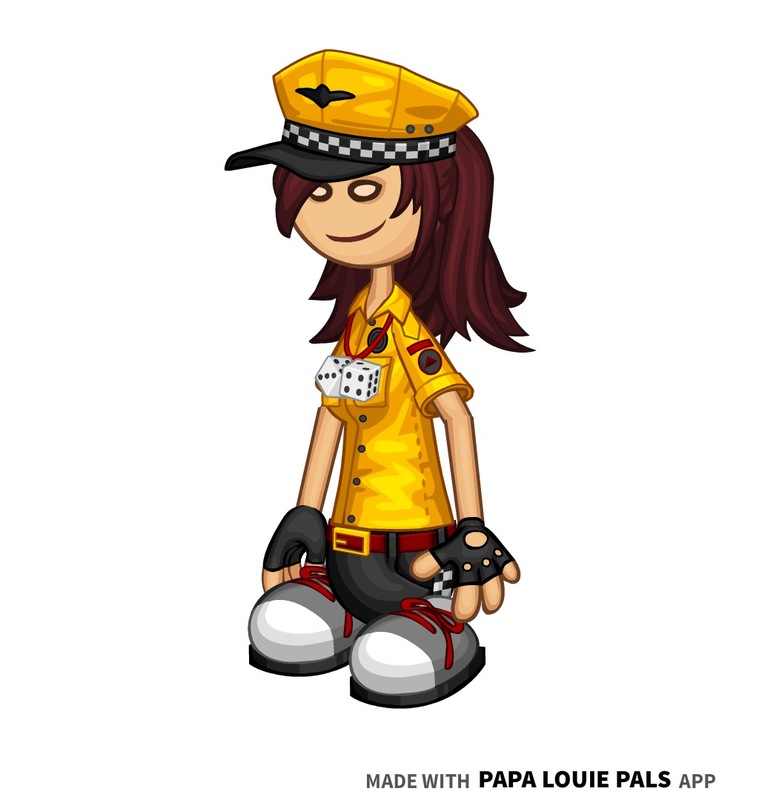 Although she loves animals, she didn't want to be a zookeeper because of her rather clumsy nature. 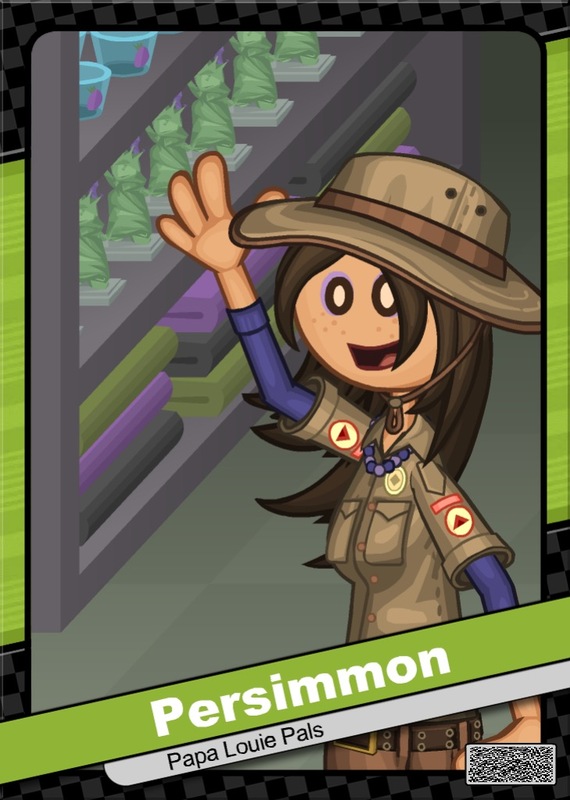 Another reason Persimmon works at the Oniontown Zoo is because she believes that they treat the animals with respect. Persimmon occasionally meets up with her cousin, Liezel, to protest against animal cruelty. She is of Cree descent, and always enjoys creating handcrafted Cree dreamcatchers to sell at the gift shop. 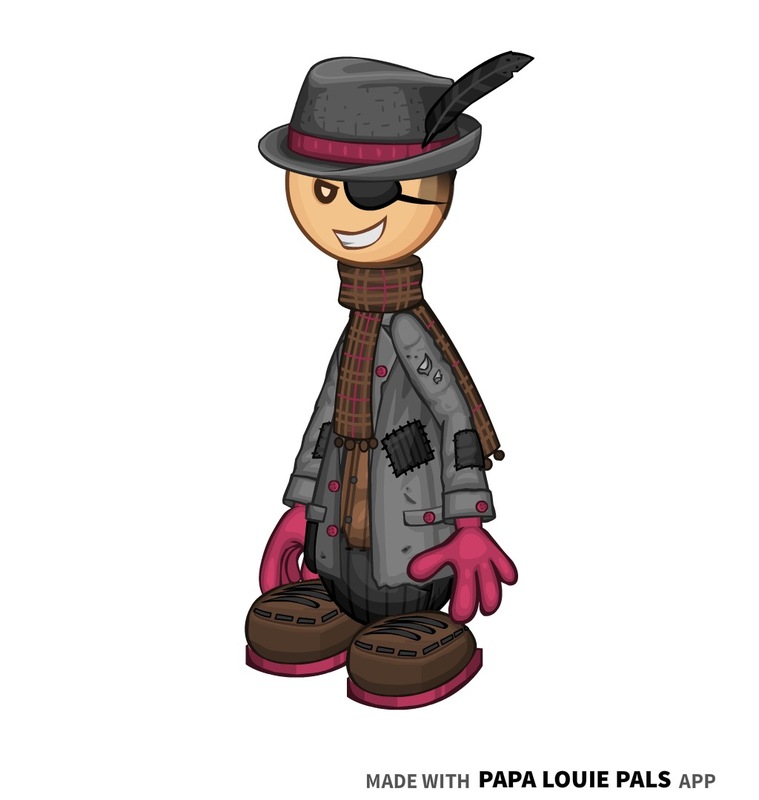 - Special thanks to YellowPenguins for helping me out with Persimmon's character info! Flipdeck Info: Luna Mercury is one of the mysterious students at Portallini High. She is classy and sophisticated, yet viewed as creepy and outlandish by her classmates. She earned this reputation by offering free palm readings to her friends. Most of these palm readings end up being negative, but Luna has trouble finding positivity in her world, so it's no easier to find positivity in everyone else's. 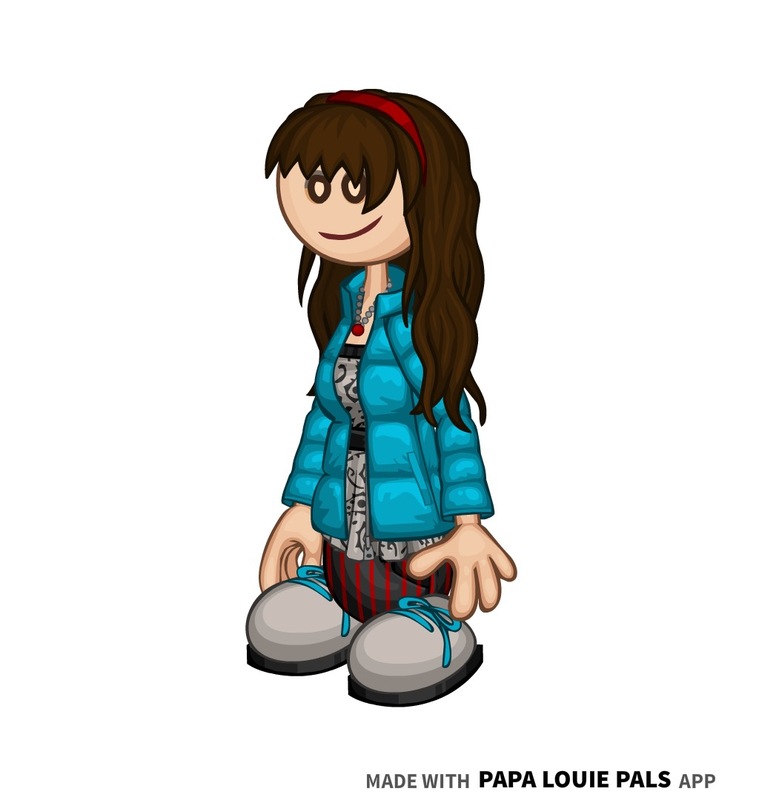 Luna can also see people's auras, which tells her who to avoid and who she should hang around. 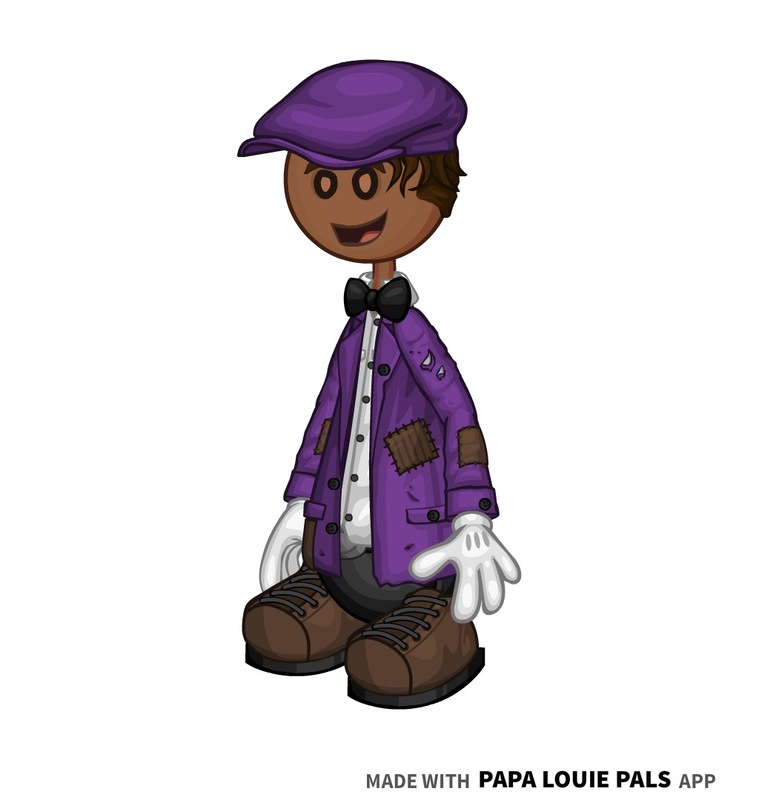 Luna's favorite color is purple, and she applies this color to most things in her life. 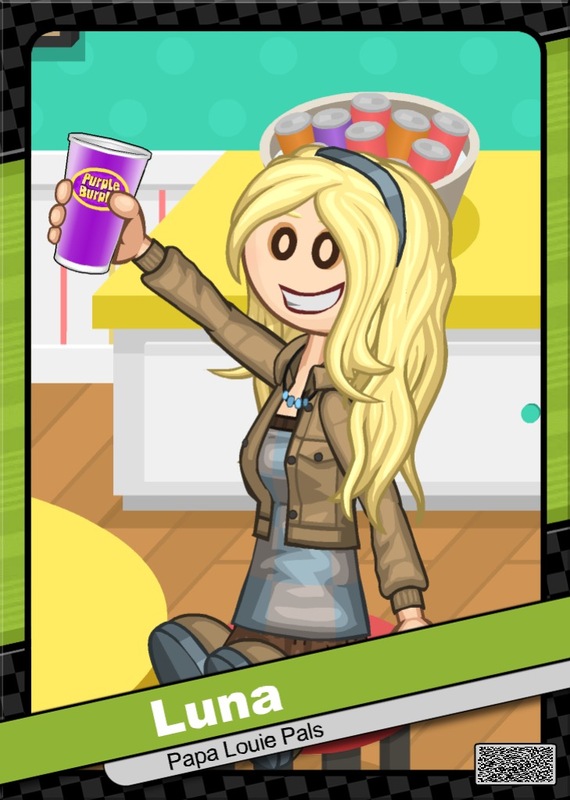 Her favorite drink is Purple Burple, her wallpaper is purple, and her phone case is purple. - Luna's name was originally Dahlia, but was changed because I felt like Luna suited her better. 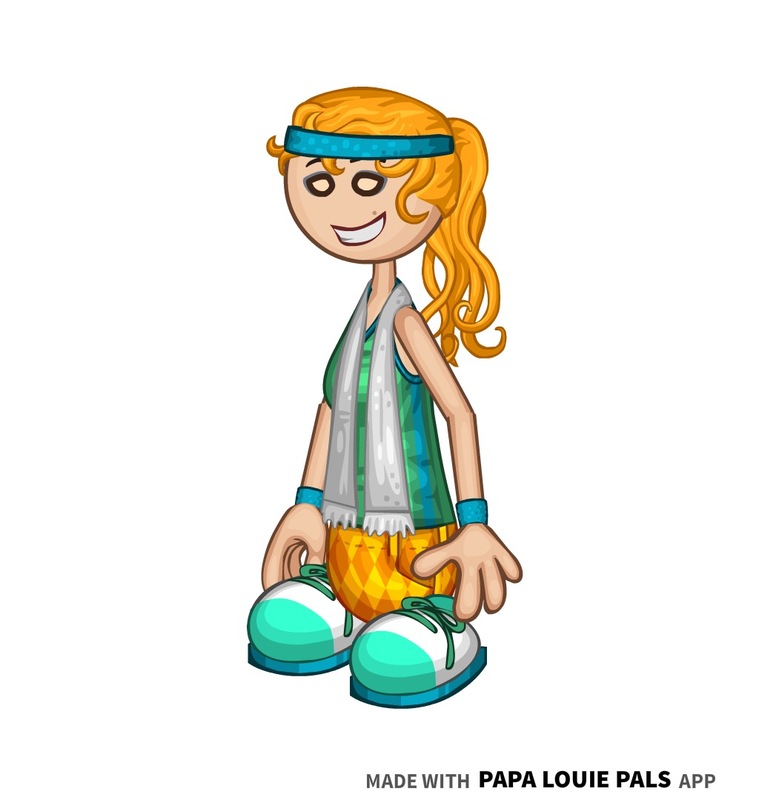 - Luna was based off of Luna Lovegood from Harry Potter, as well as Dawn from Total Drama: Revenge of the Island. 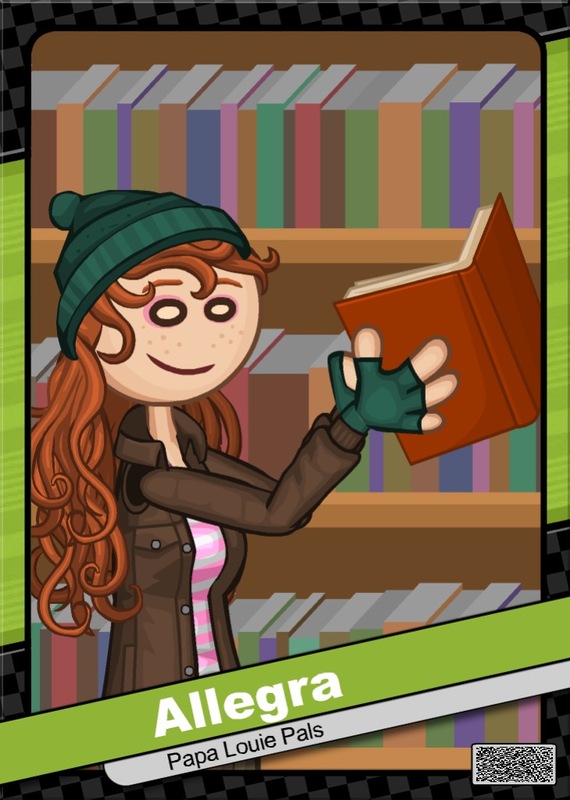 Flipdeck Info: Allegra is an exceptional young woman who works in the local library as an assistant librarian. Although she doesn't like to admit it, Allegra is one of the smartest people around. She has memorized the entire Dewey Decimal system, and has a very sharp photographic memory. With her parents away at work all the time, she has to take time to stay home and take care of the house. Allegra also has to cook meals for herself and for her younger sister, Ode, but thankfully, this is something that she enjoys doing. Allegra always makes sure to wake up early to get everything in order before Ode goes to school, and before she returns to the library. 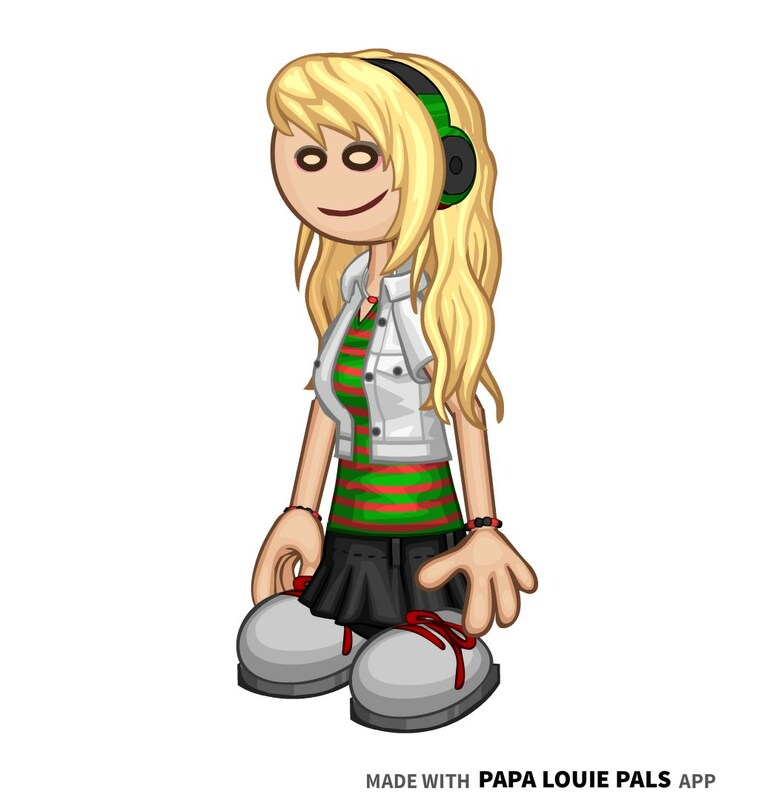 - Allegra was actually a FC I made in 2014, but forgot until early 2019. 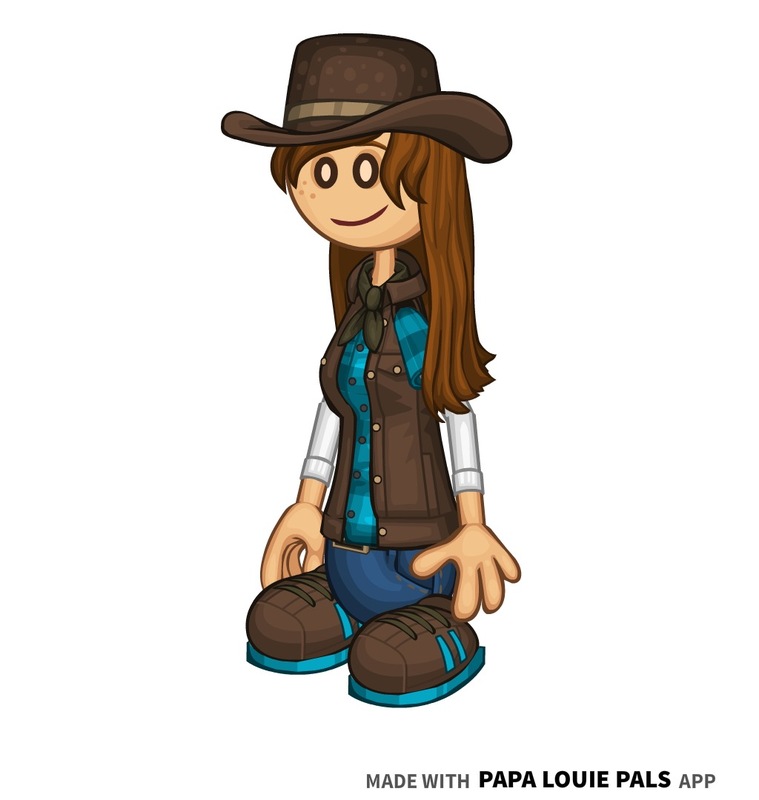 This is her 2019 redesign, and her 2014 design is in the beta design section below. 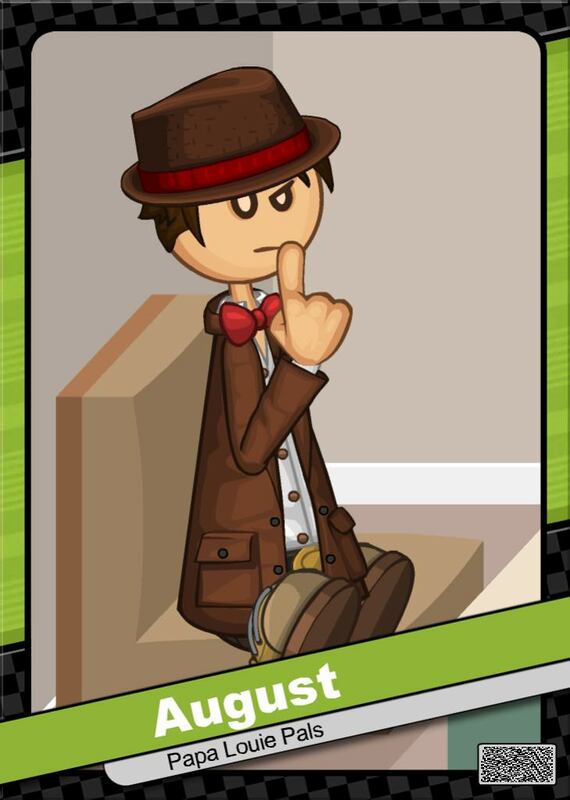 Flipdeck Info: Nigel is a polite, charming gentleman who owns a small house in the sandy plains of Toastwood. He makes a living by offering private dance lessons for both children and adults. 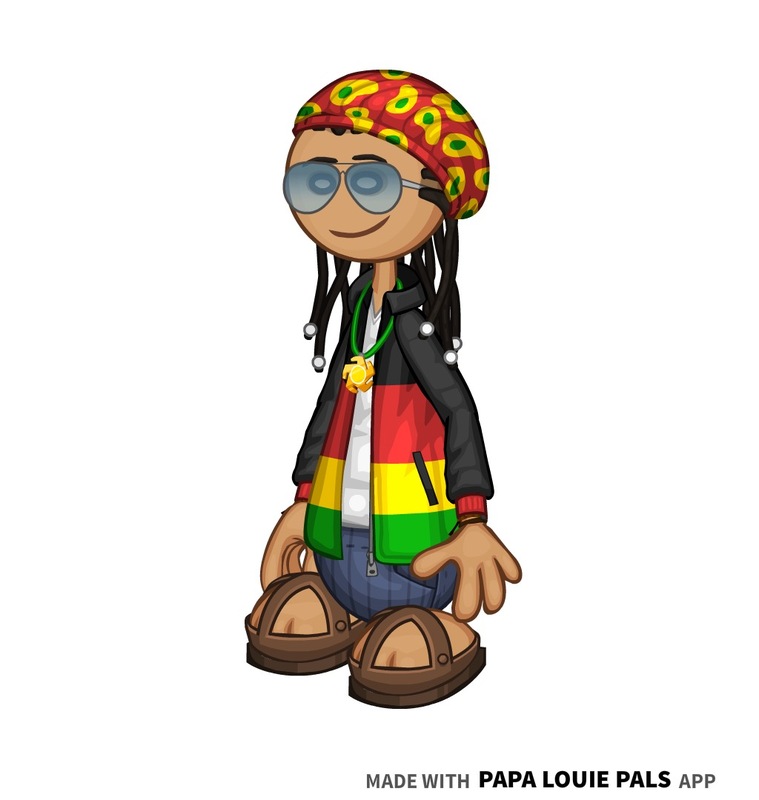 Because of his Latino background, Nigel's favorite styles of music are reggae, bossa nova, and merengue, but his all-time favorite music style is samba. 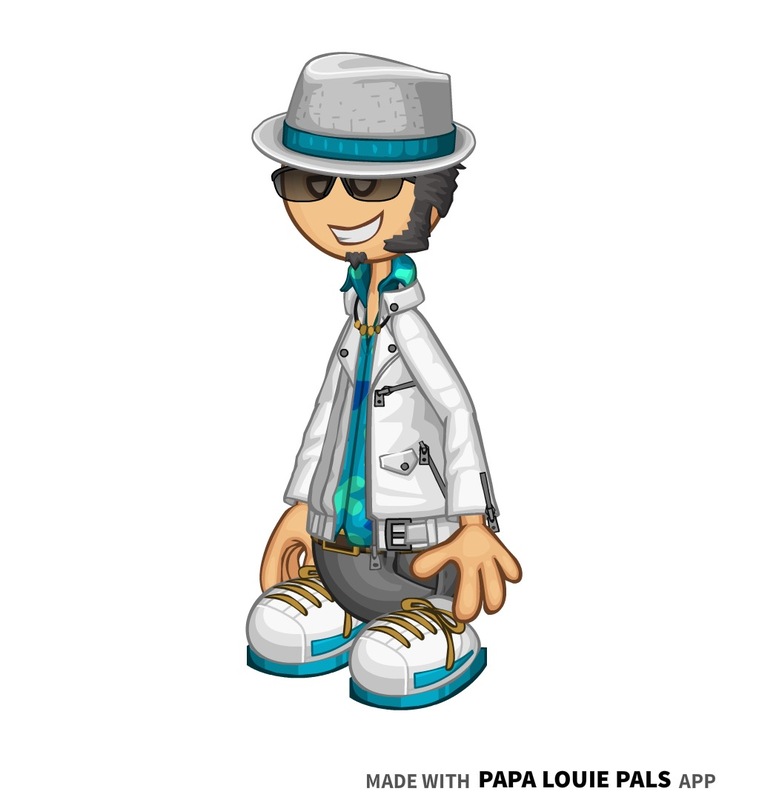 He has been dancing to samba music ever since he was a young boy, and wants to keep the style alive by teaching dance to his students. Three years ago, Nigel met a girl around his age who wanted to take dance lessons. Her name was Carmen, and in Nigel's eyes, Carmen was the best student that he's ever had. Nigel and Carmen became a couple, and Nigel is currently building up the courage to ask Carmen to marry him. 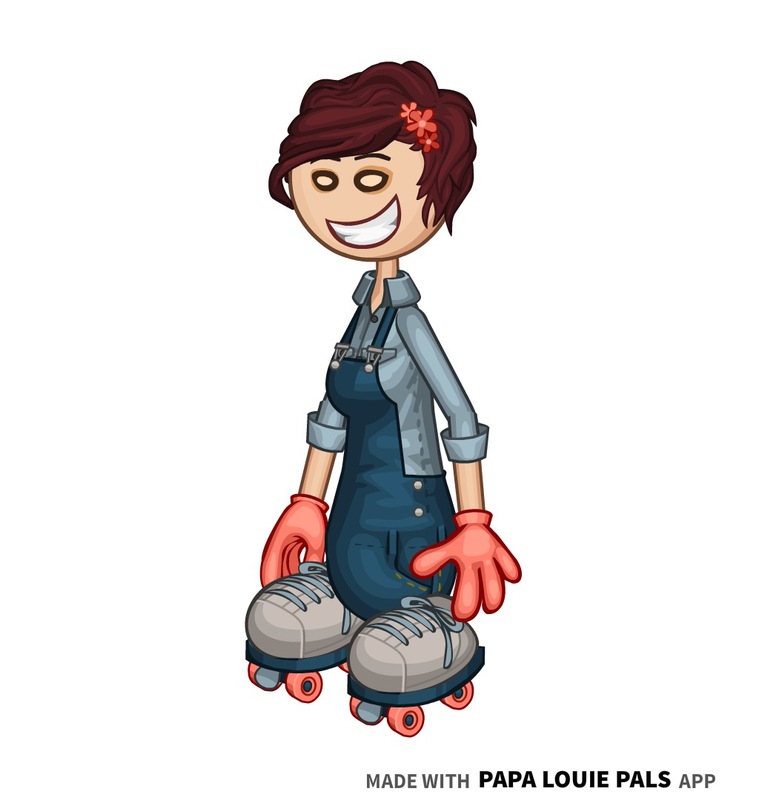 Flipdeck Info: Lauren is one of, if not the most, craftiest students at Tastyville High, and she's also one of the smartest in her class. Now that she has all of her credits in order to graduate high school, Lauren can take any class she wants for her senior year, which gives her time to take both art and band. She has been playing violin since she was a kid, and in her spare time, she creates her own scented candles of different fruits and desserts. She also likes ASMR videos, but doesn't like to tell anyone. - I am considering entering Lauren in Kingsley's Customerpalooza 2019. 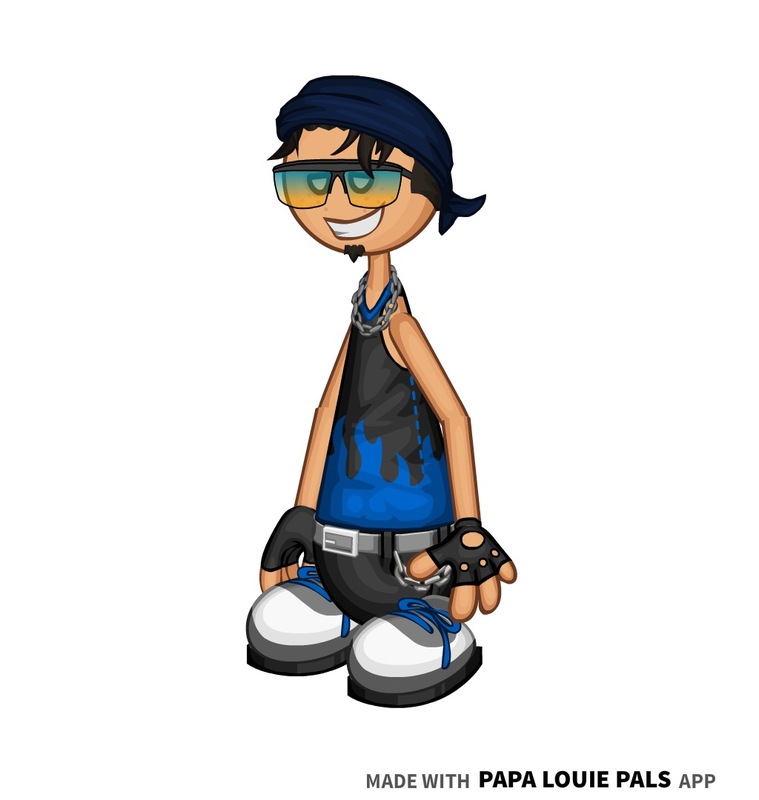 Flipdeck Info: Rocco Stanley is a name everyone across the Flipverse recognizes. He is considered as the best movie director of the century, with larger-than-life ambitions and imagination. Rocco can be a caring and understanding man, but most of the time, he is a perfectionist who is blinded by money and fame. Most people don't know this about Rocco, but he was actually born with a rare condition that made his hair grey for all of his life. 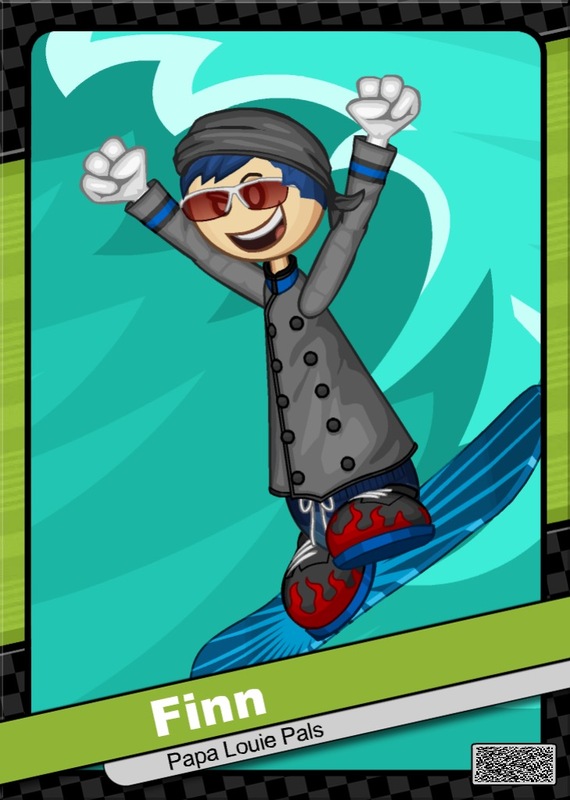 To prevent any excessive questioning, Rocco simply tells everyone that he dyed his hair grey ever since he was a kid. Of course there were bulies throughout Rocco's school years, but they toughened him up and made him a stronger person inside and out. He is good friends with actress Stephanie King-Byers, and has worked with her in several blockbuster movies. - Rocco's last name, Stanley, is meant to reference Stan Lee. 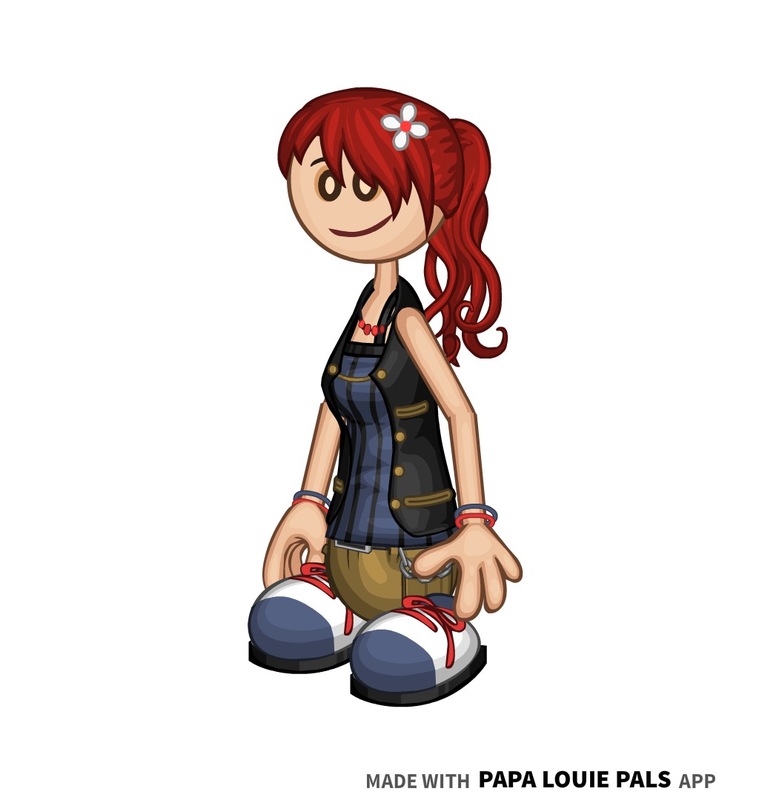 Completed Dakota's FC info, and added her new Style B. The poll has been reset to decide who will get the next update. 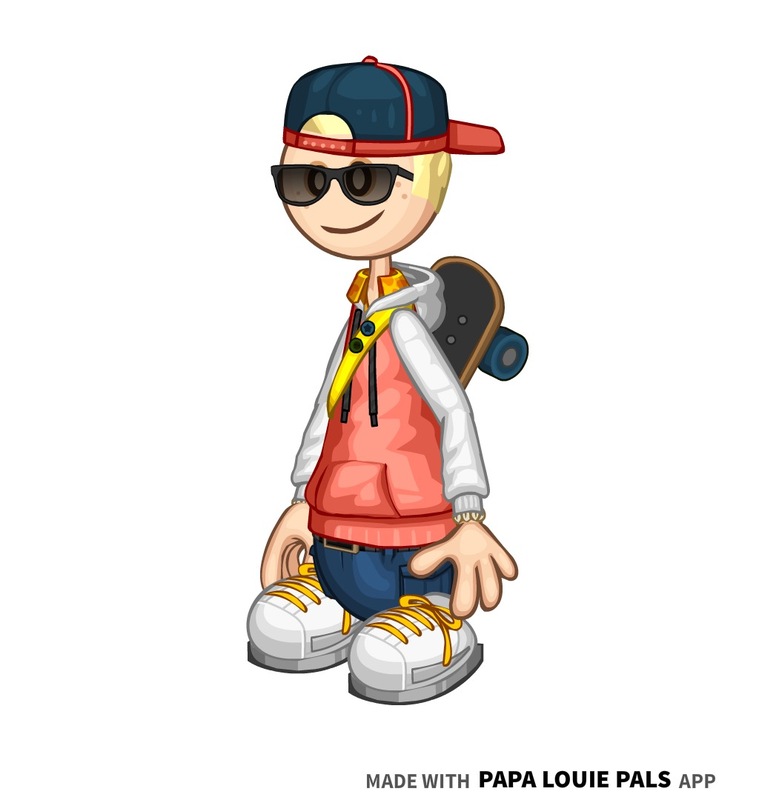 Completed Lela's entire profile. 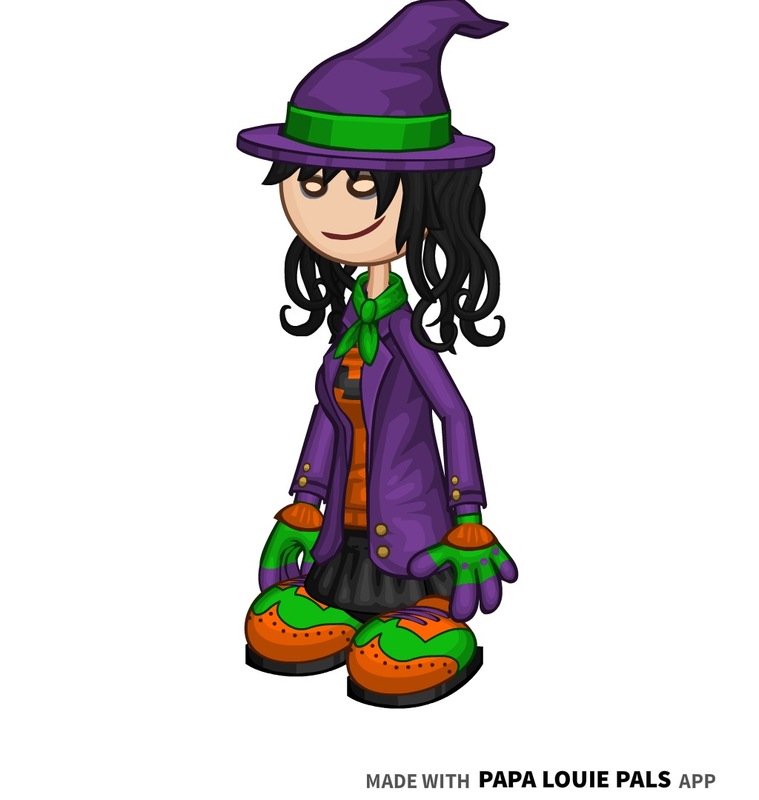 Here are her four styles: A, B, H, and Halloween. Deville, Margot, and Heidi added to the poll.